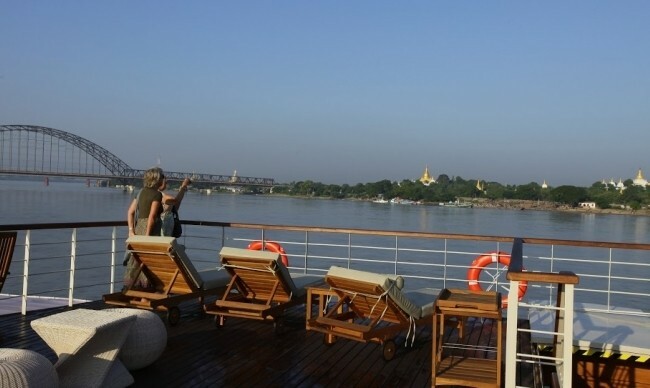 A new mixture of land excursion and river cruising in 8 days will offer you a welcome opportunity to experience all the best Myanmar. 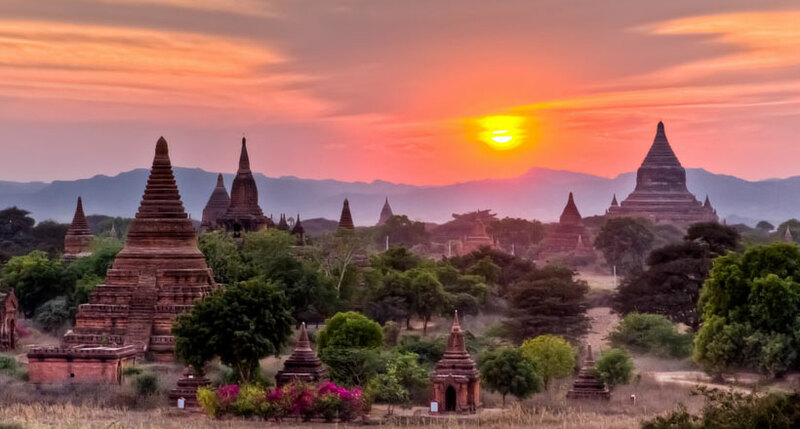 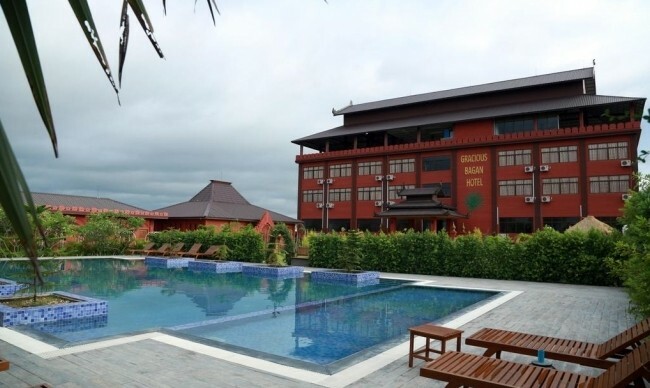 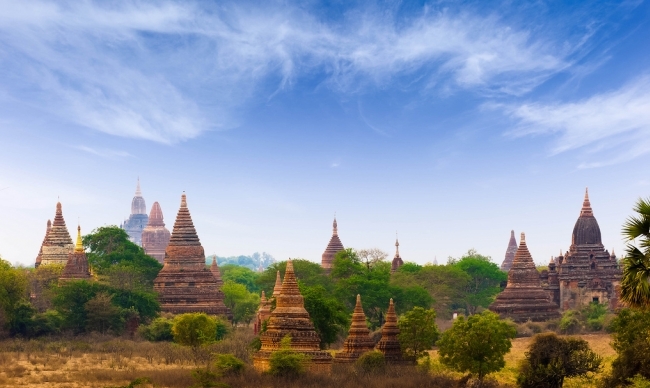 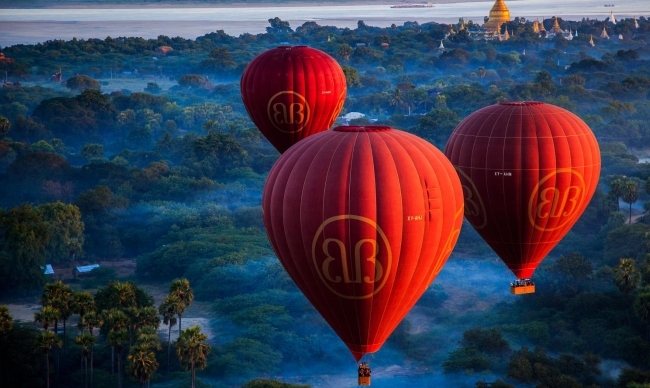 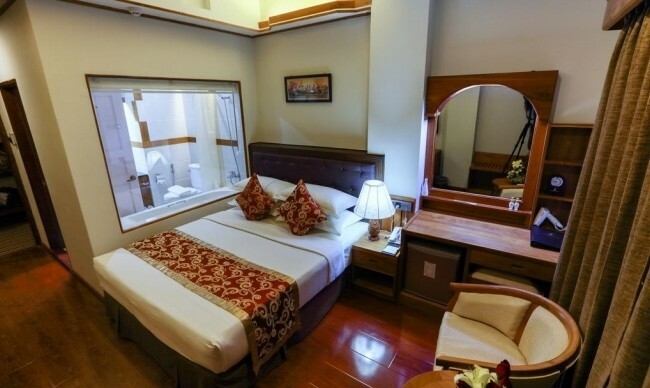 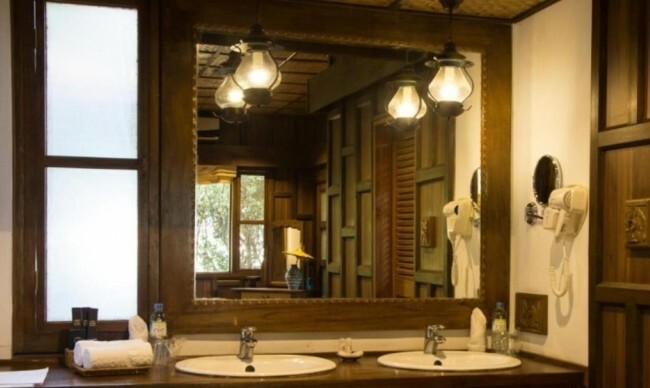 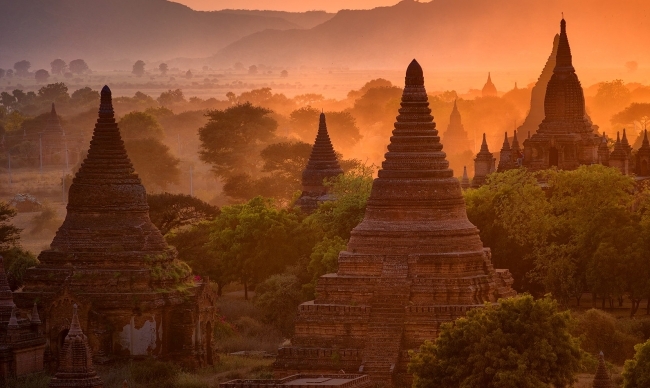 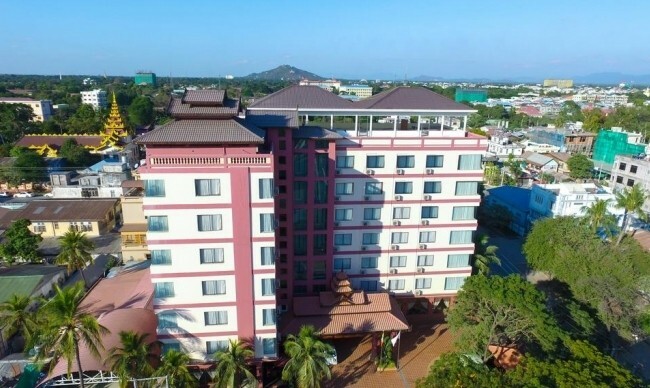 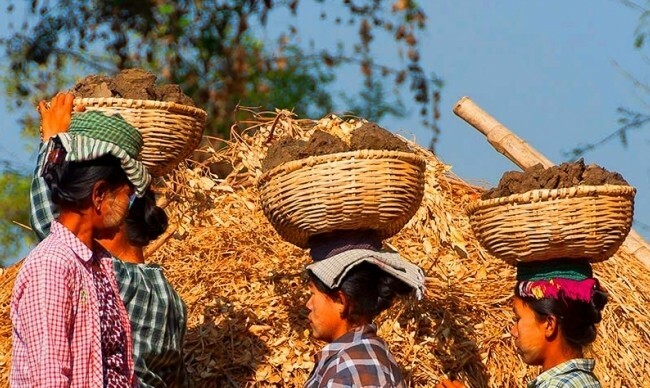 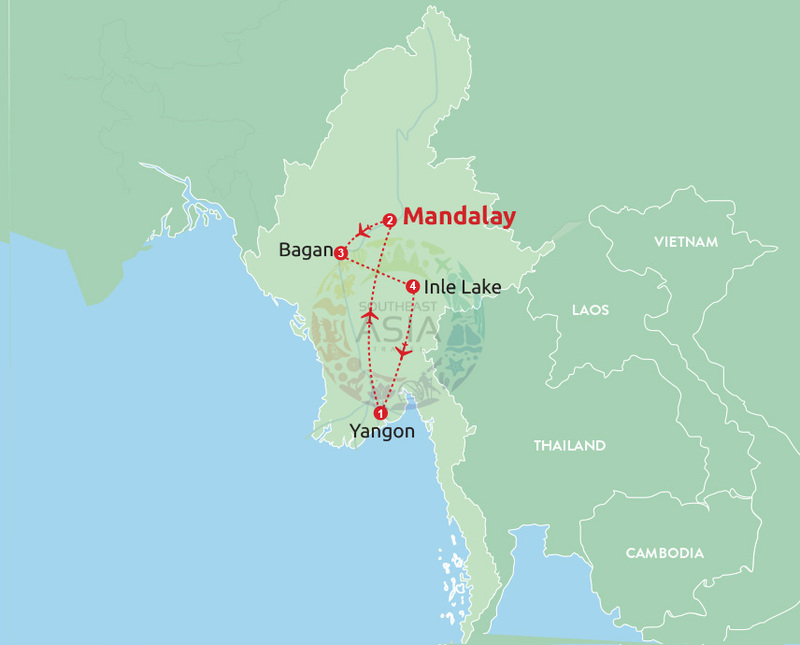 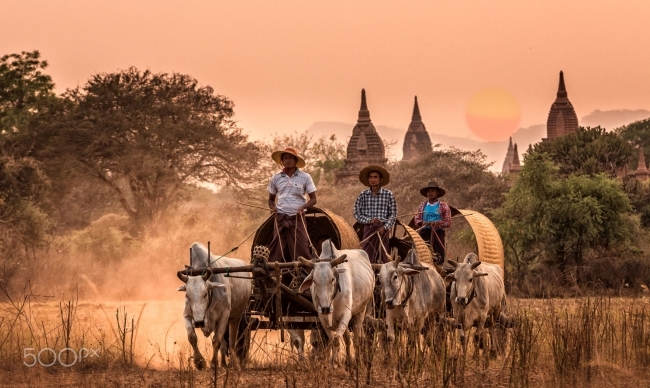 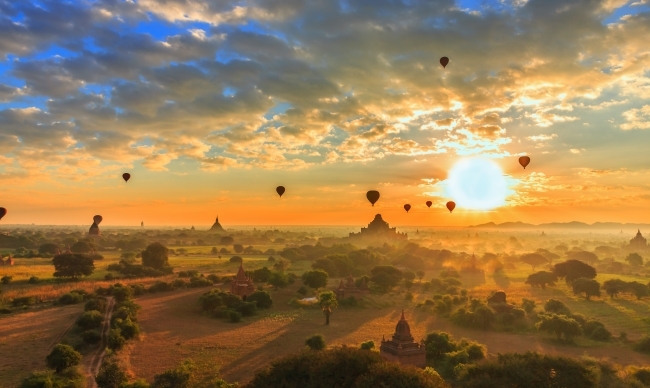 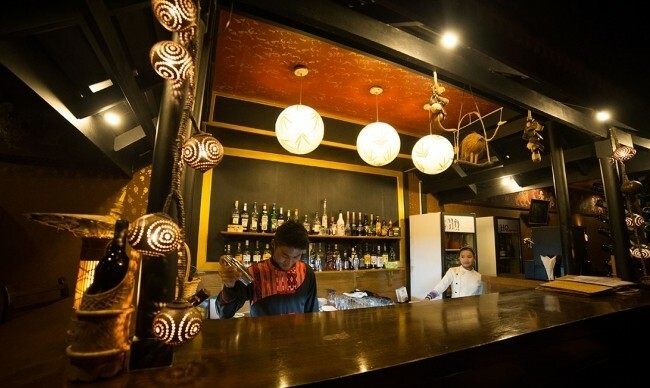 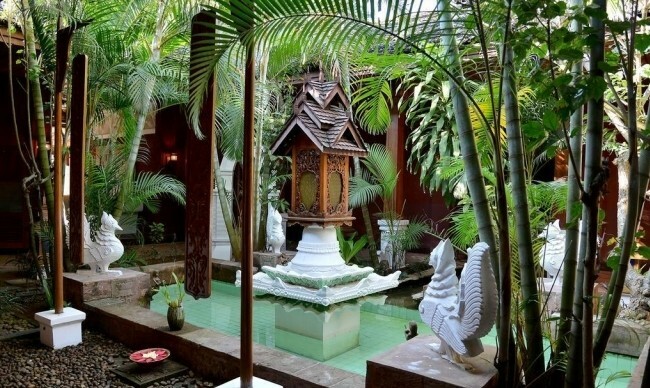 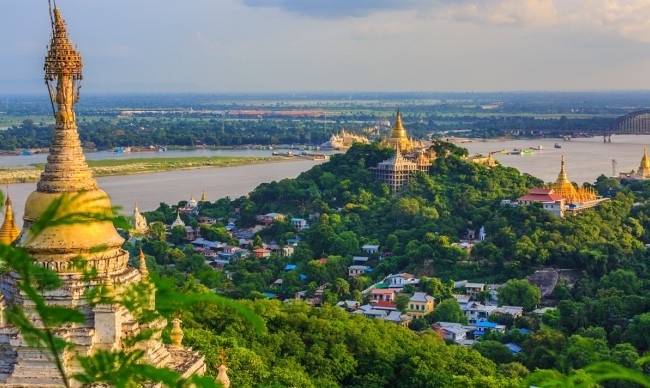 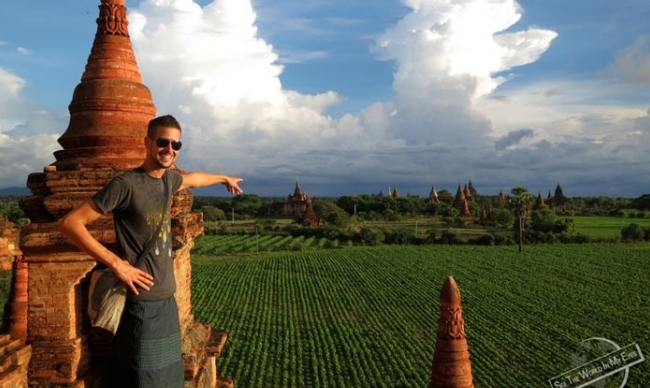 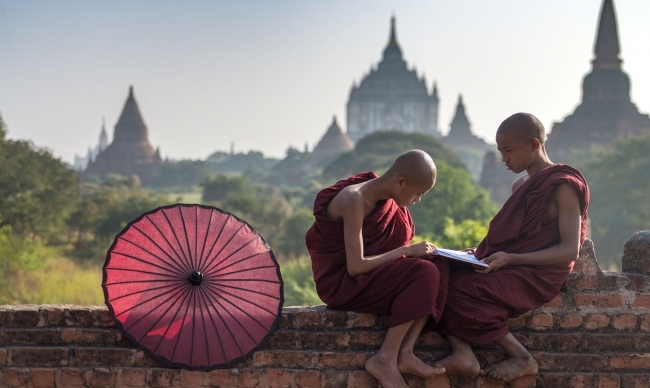 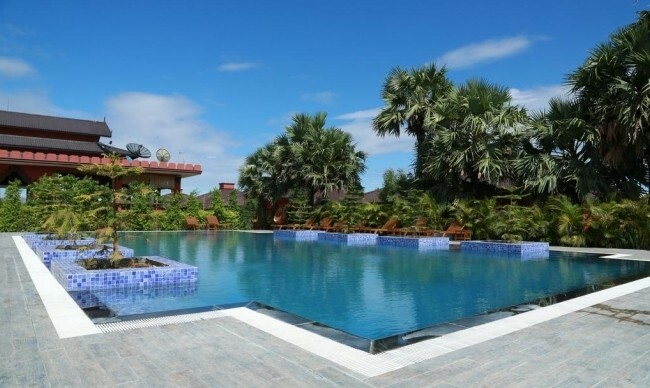 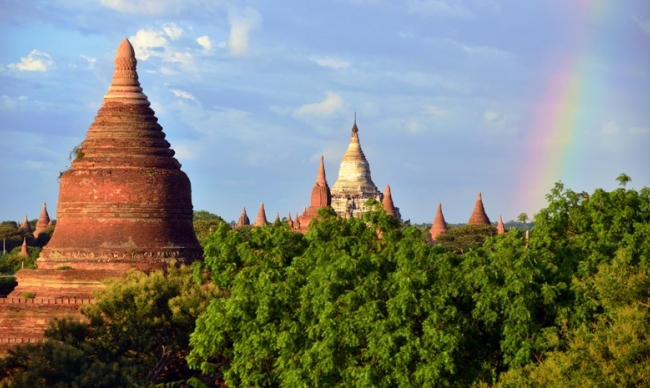 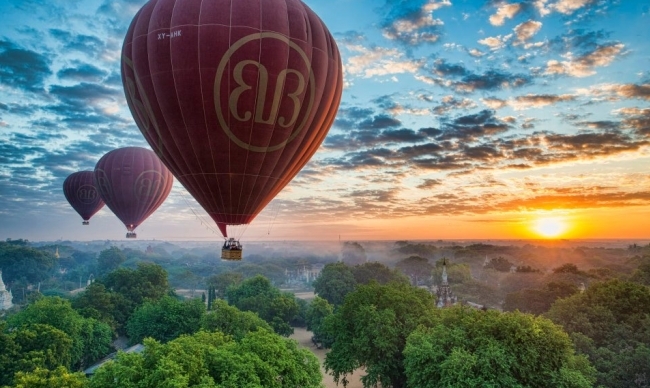 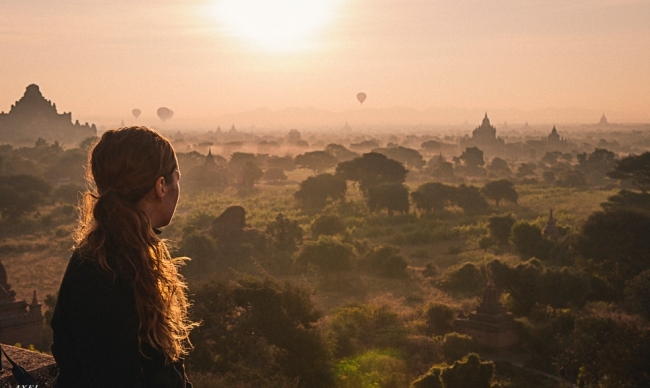 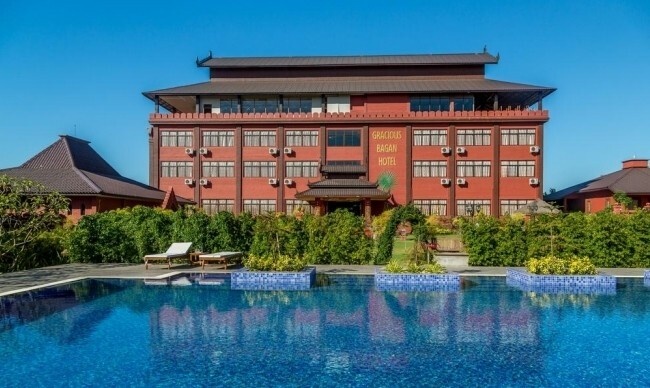 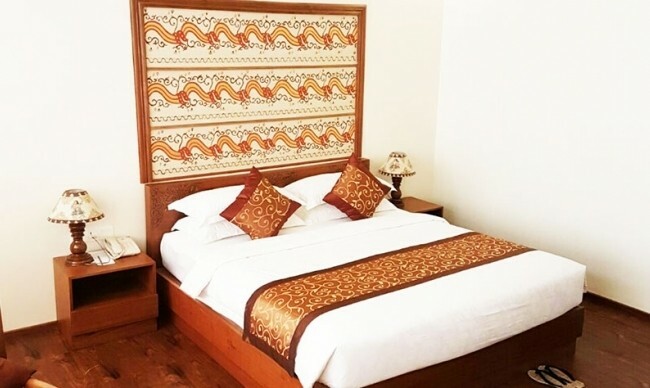 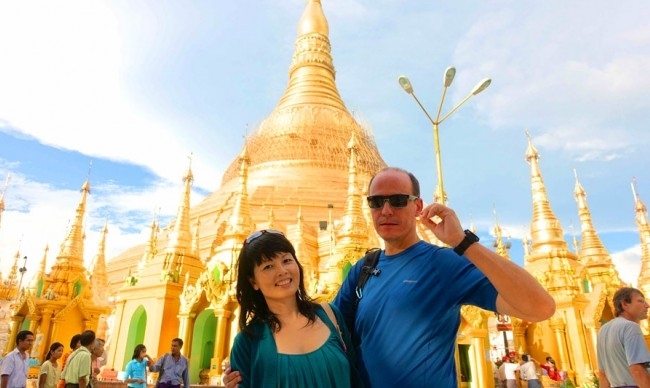 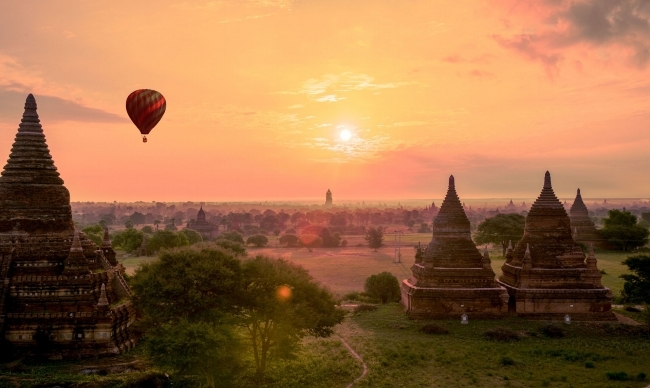 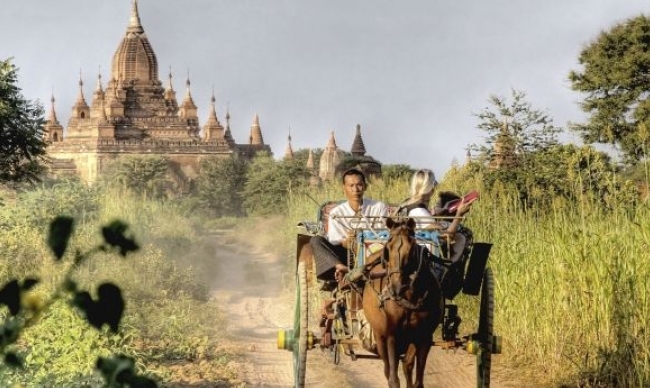 From the hustle life in vibrant Yangon to a dry plain full of palm trees and pagodas in Bagan, idyllic villages along Irrawaddy river and all-year-green floating gardens in Inle Lake. 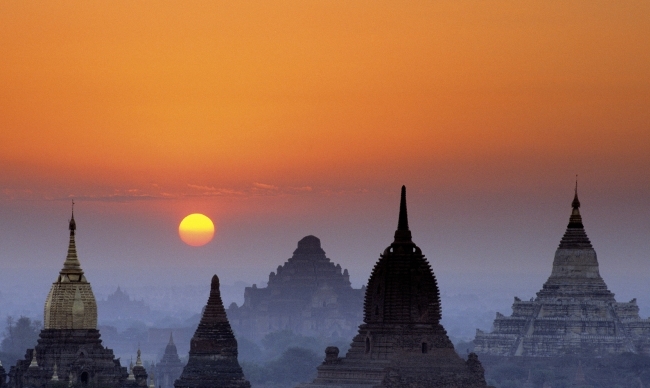 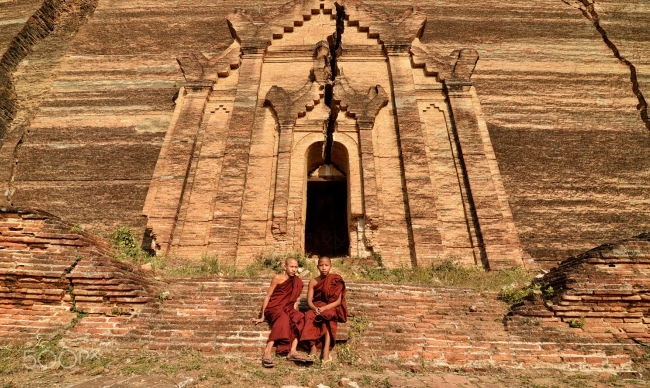 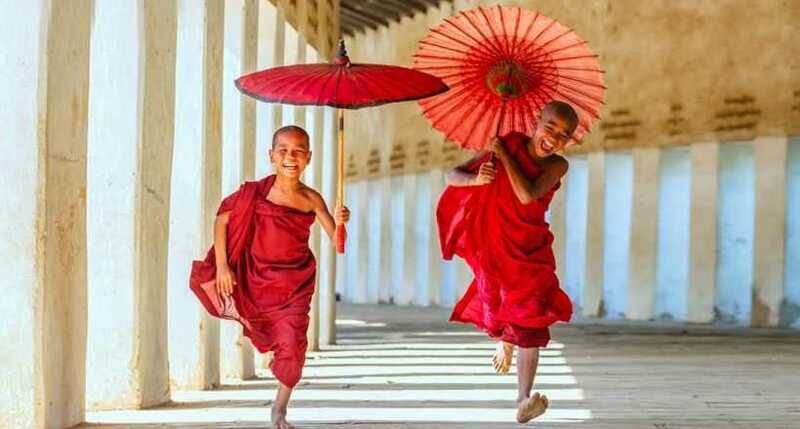 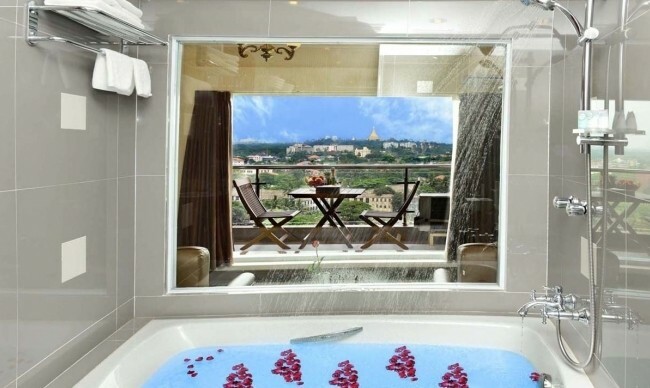 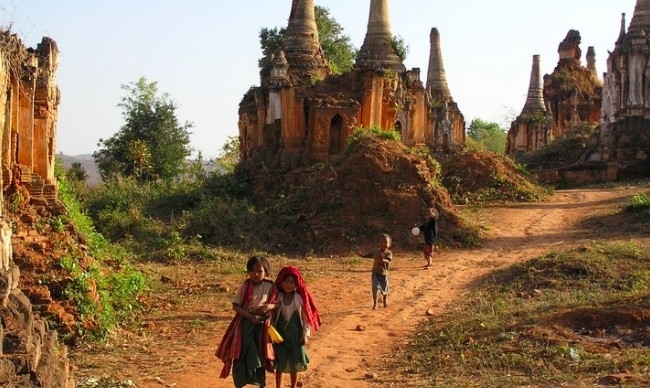 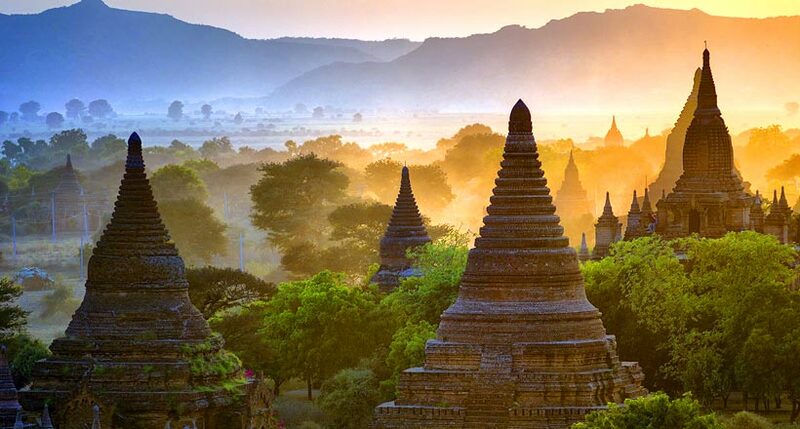 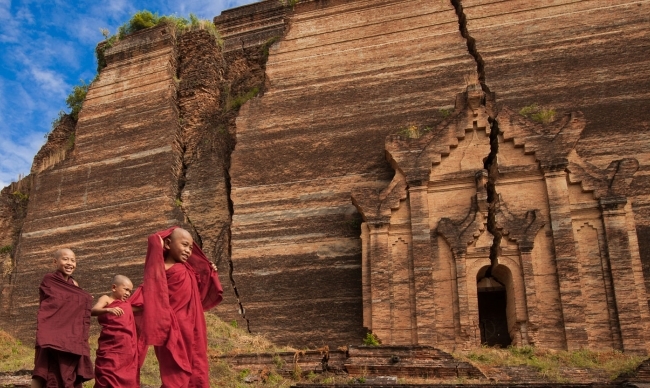 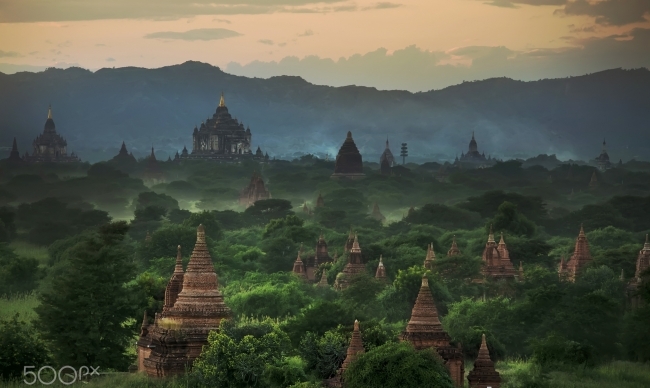 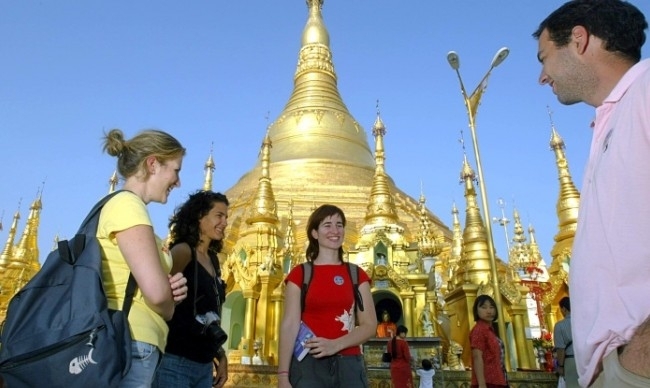 The whole picture of Myanmar will amazingly open out gradually along your steps. 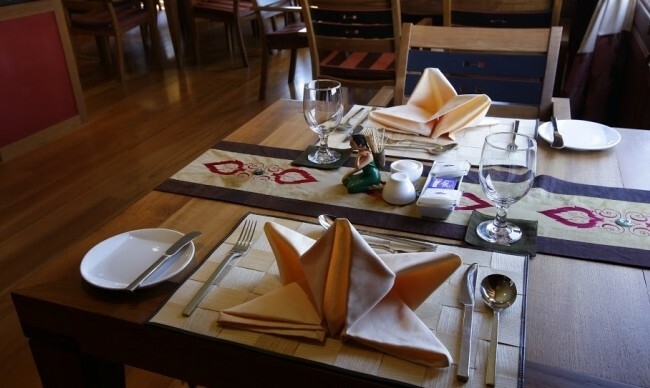 Let's join us and discover all the real surprises behind the words. 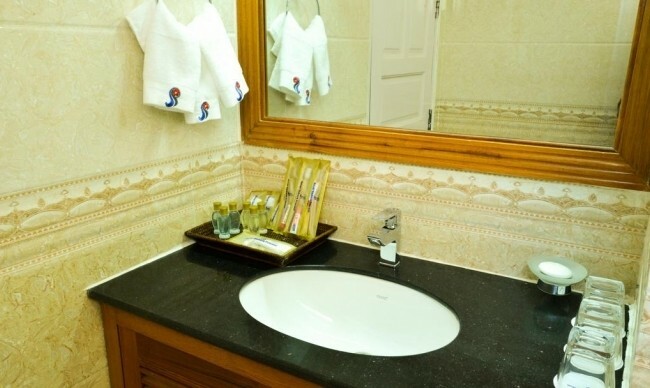 Purified water 0.5 ml (1) bottle & (1) wet towels on sightseeing day only. 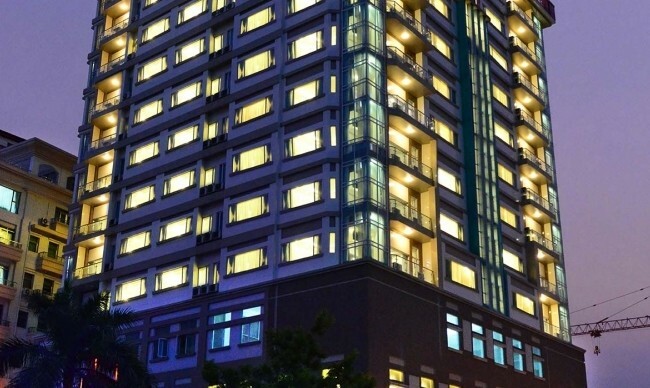 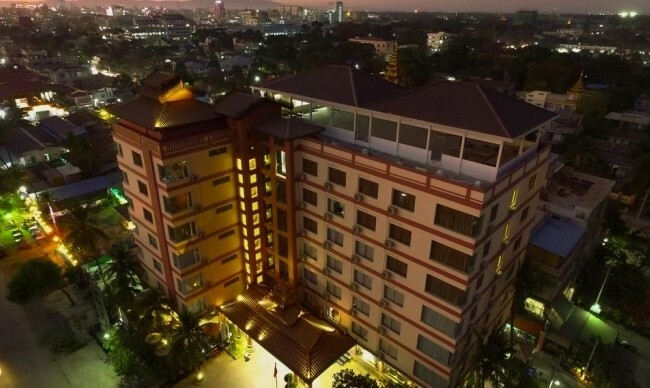 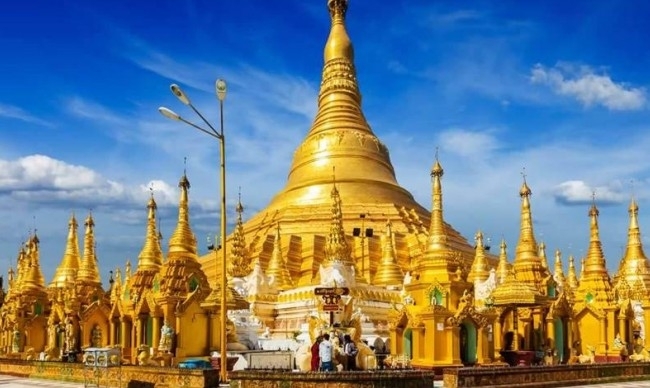 Welcome to Yangon - the biggest and most bustling city in Myanmar, a unique city in Southeast Asia with all nostalgic colors of time and culture reserved over centuries. 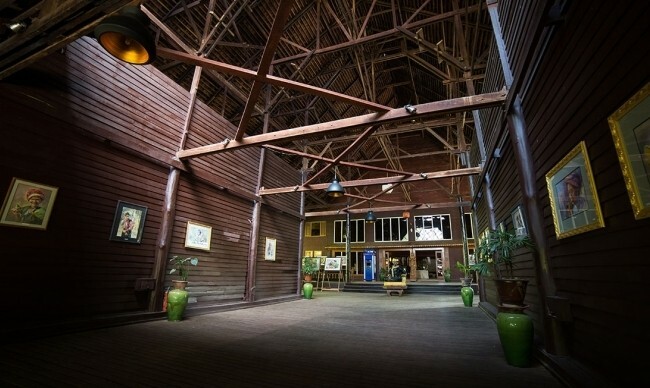 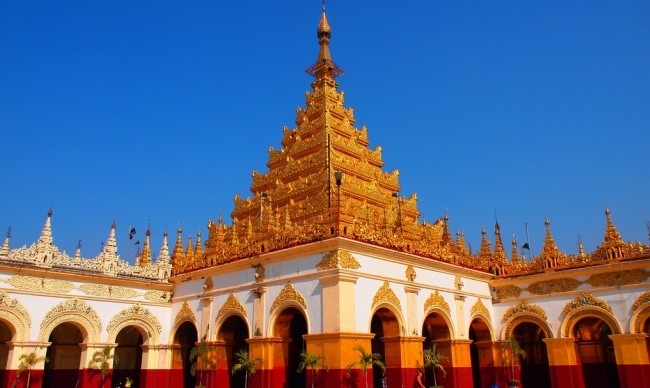 If you are interested in colonial era architecture, a stroll down Yangon's colonial buildings will definitely blow you away by well-reserved images from the 20th century, with decaying facades filled with old paint and small trees squeezing through those little cracks. 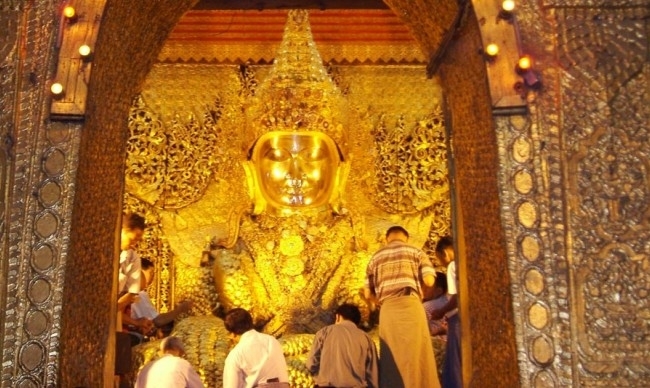 Moreover, proud of rich cultural tradition, Yangon will amaze you with plenty of spiritual relics where you can experience the importance of Buddhism to the Burmese’s lives: tranquil Chaukhtatgyi Temple containing an over-200-feet-long reclining Buddha, the octagonal-shaped 2500 year old pagoda Sule Pagoda located in the heart of the city, and especially the legendary Shwedagon Pagoda - the massive 99 meter high gold plated pagoda with the diamond studded spire on top of a small hill in downtown Yangon. 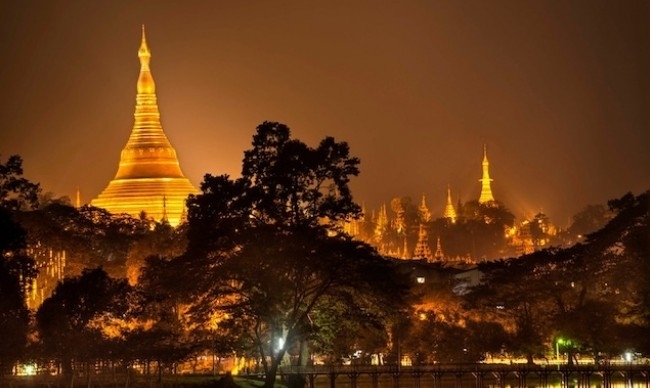 And don’t miss chance to meditate in pagoda’s mystical atmosphere beautifully lit up after dark. 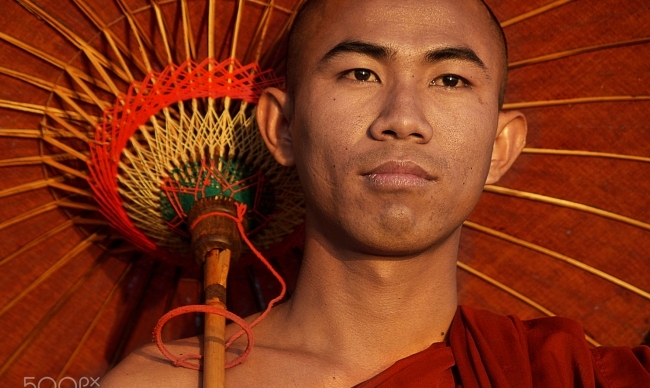 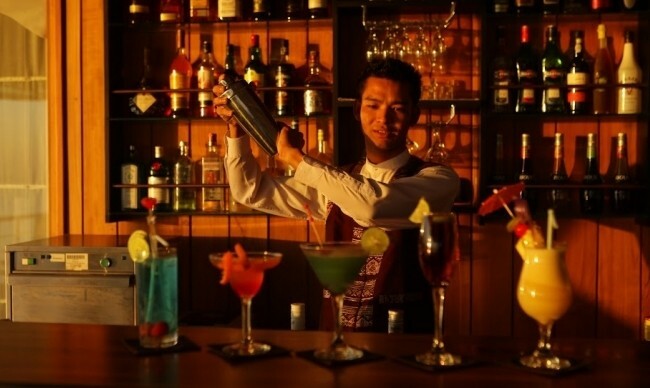 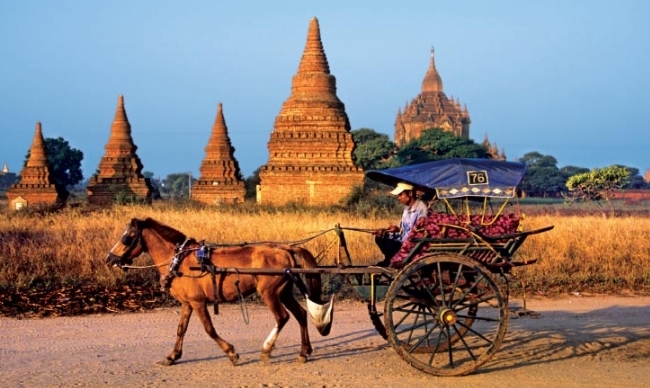 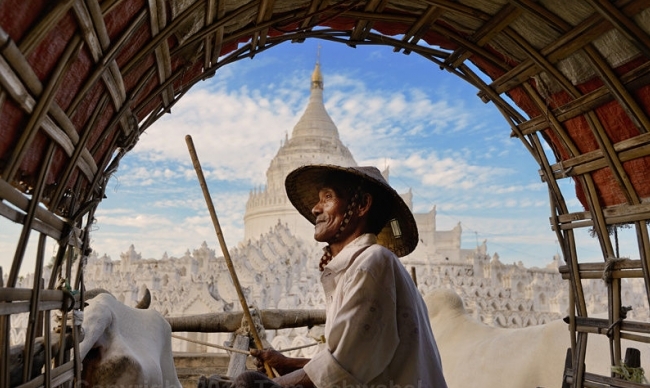 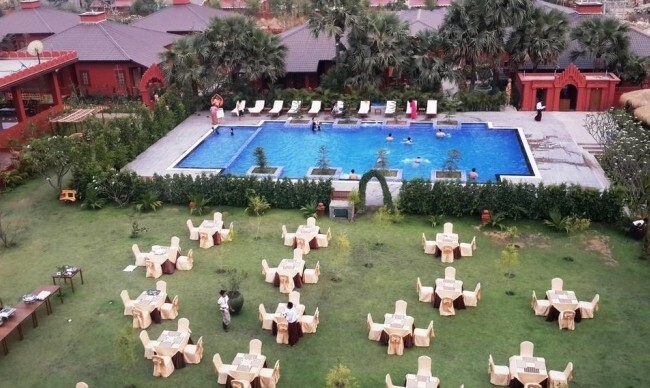 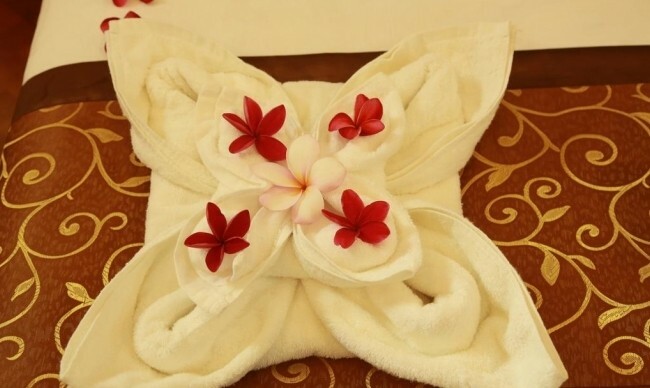 Welcome to Mandalay – the city of culture located in the right heart of Myanmar. 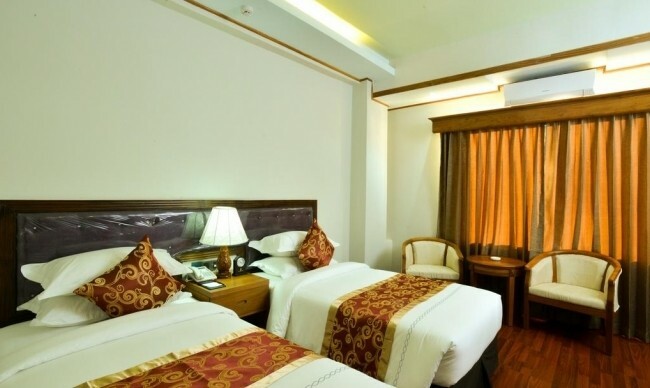 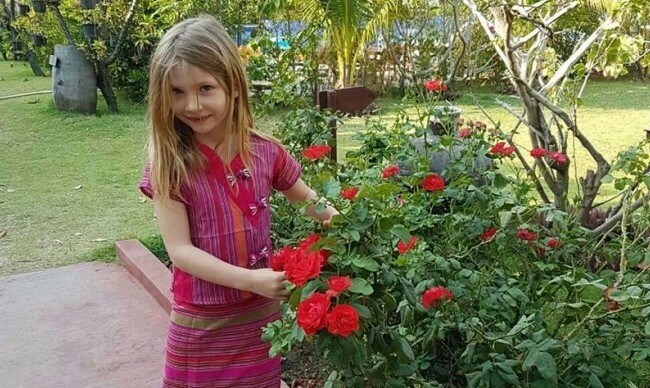 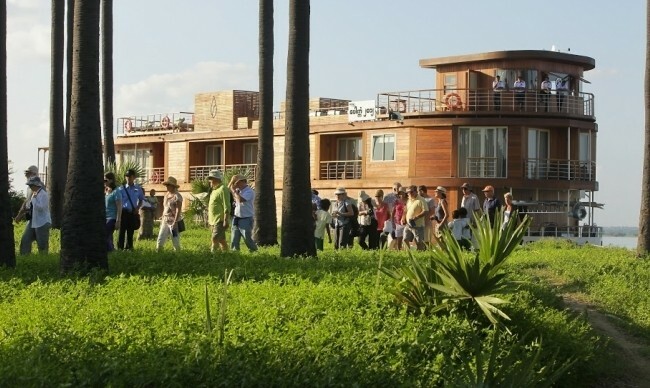 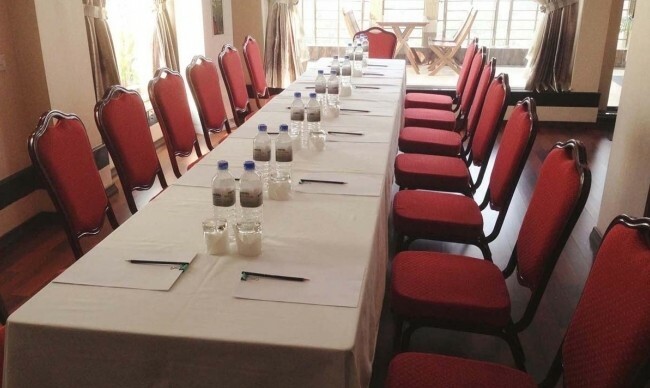 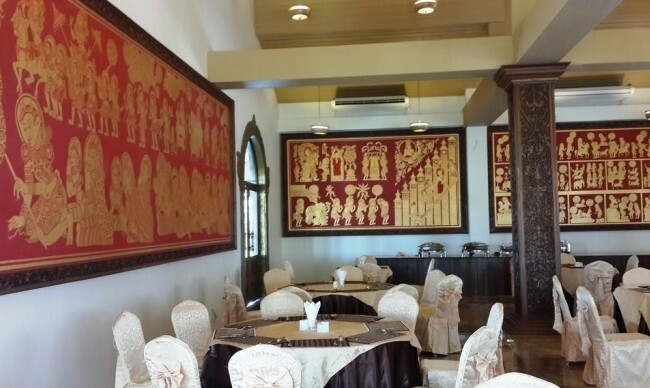 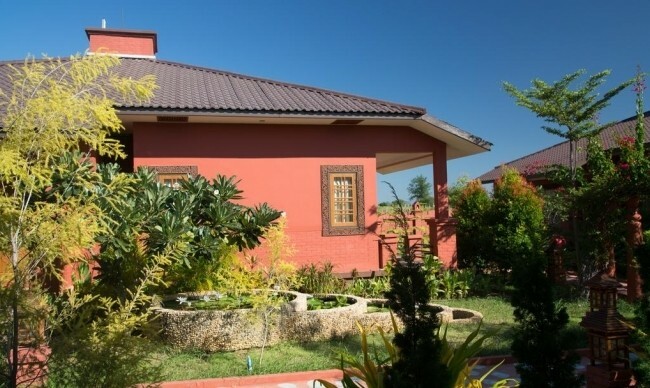 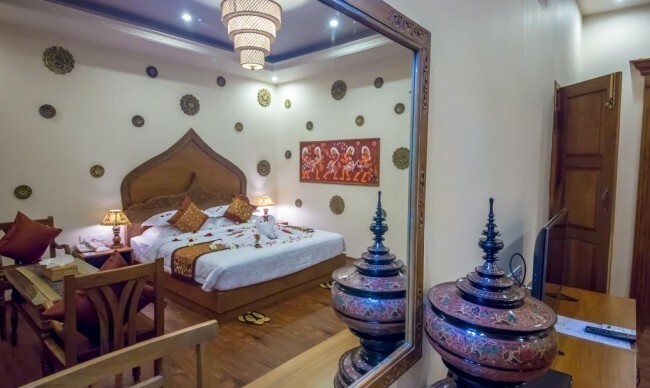 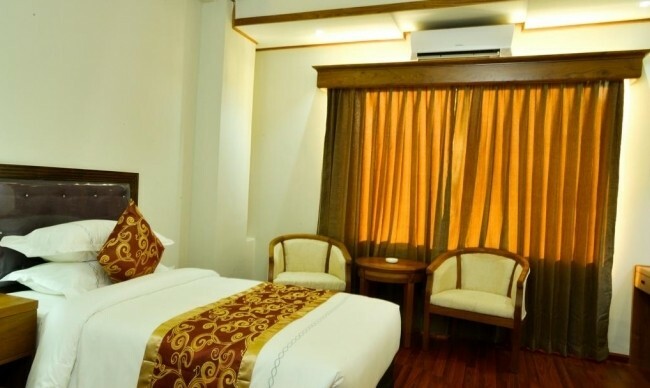 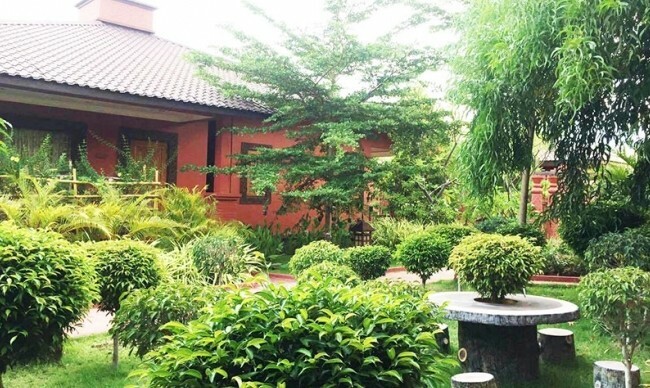 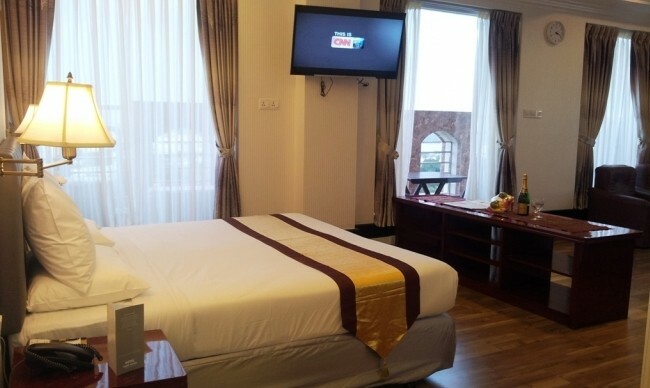 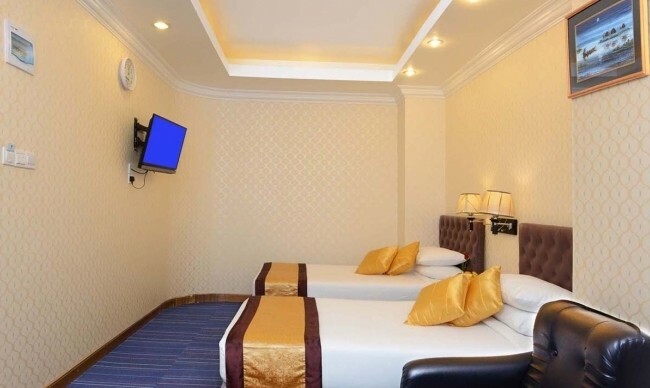 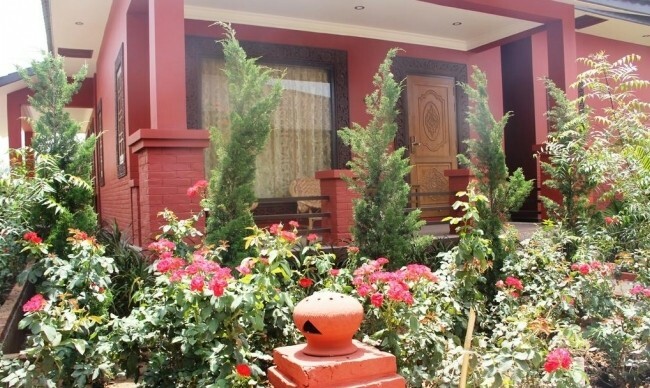 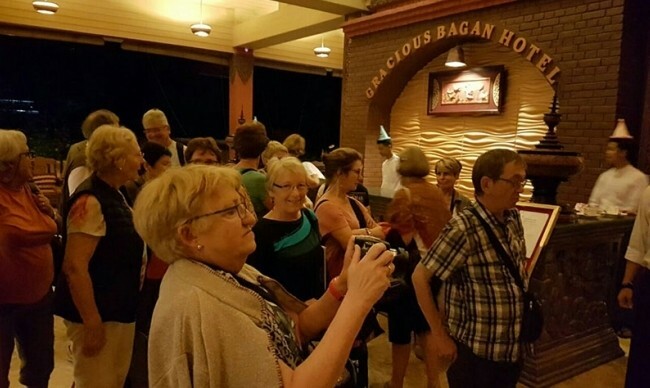 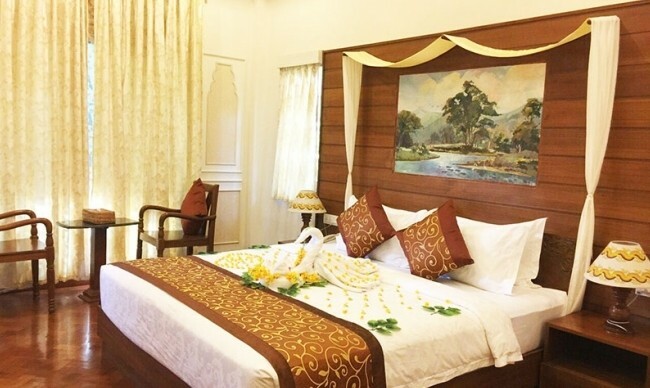 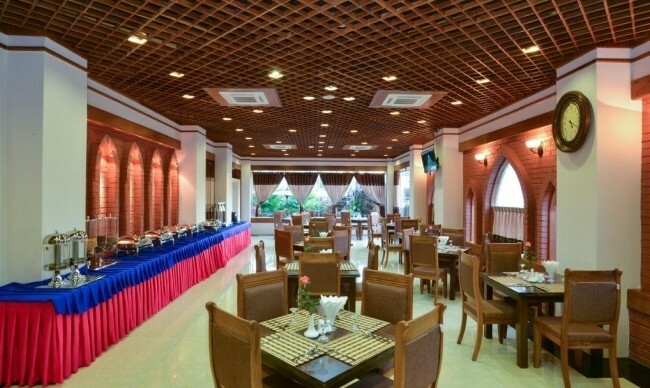 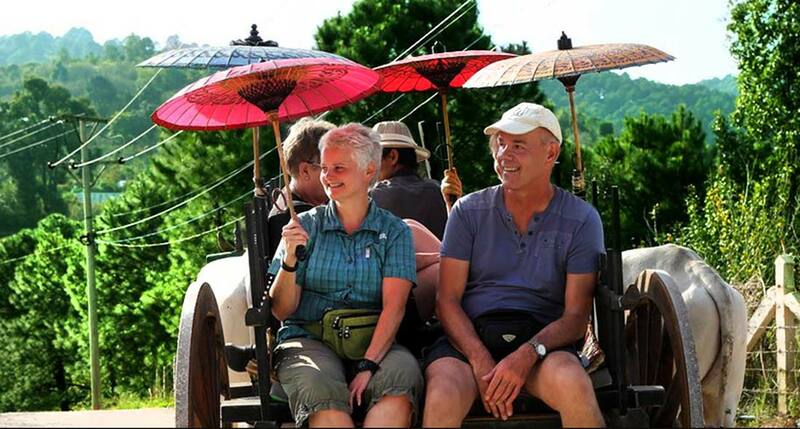 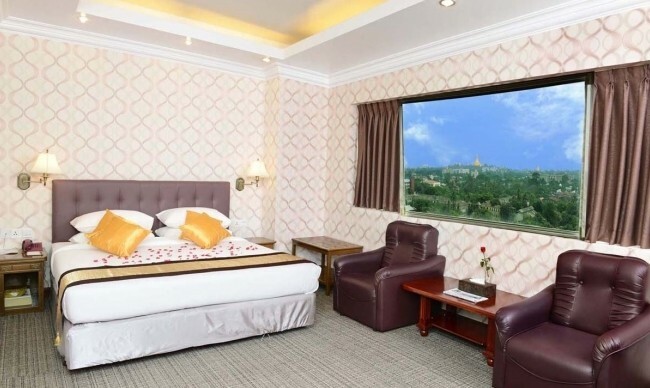 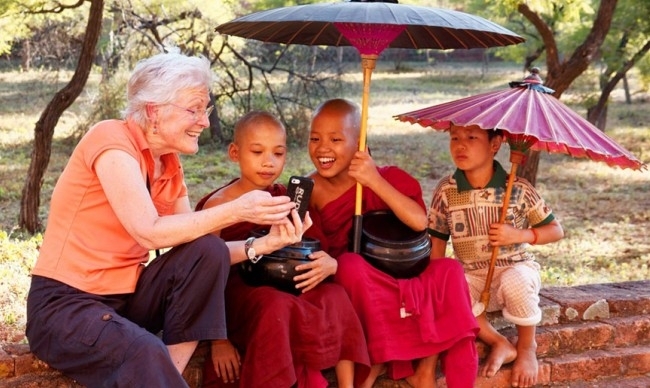 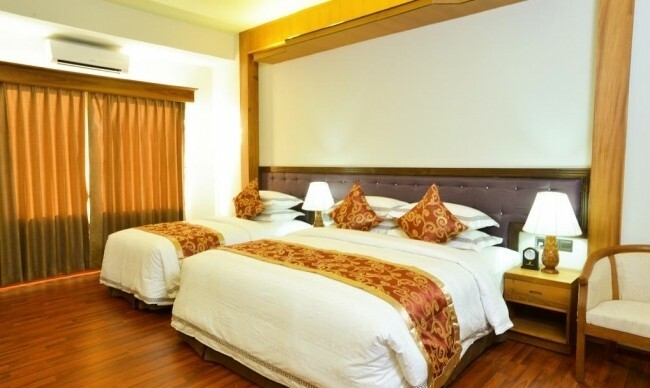 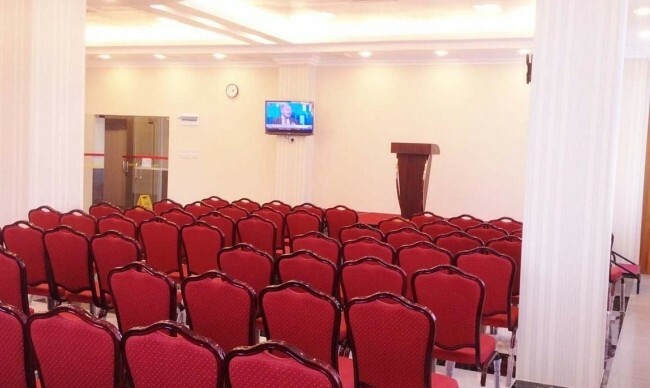 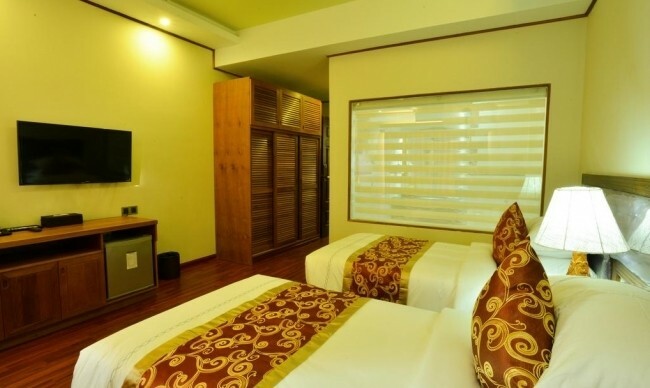 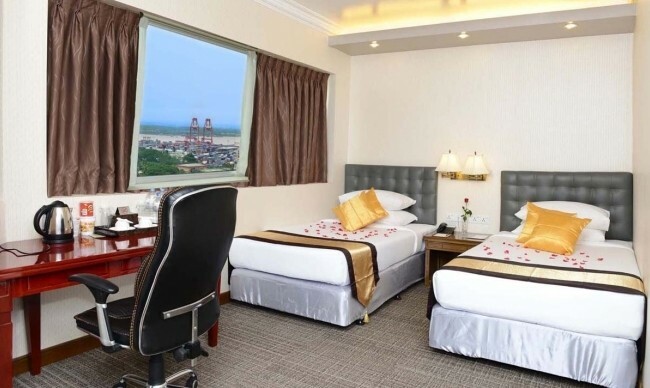 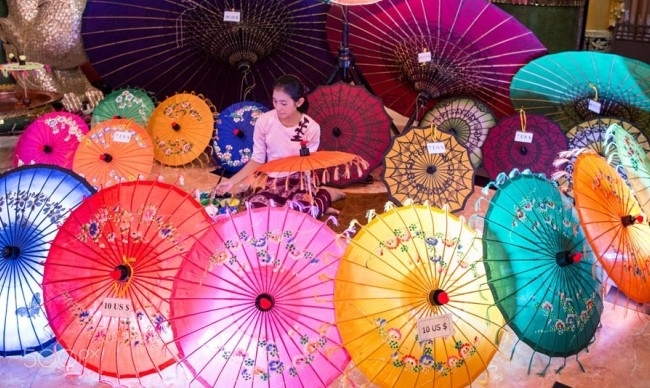 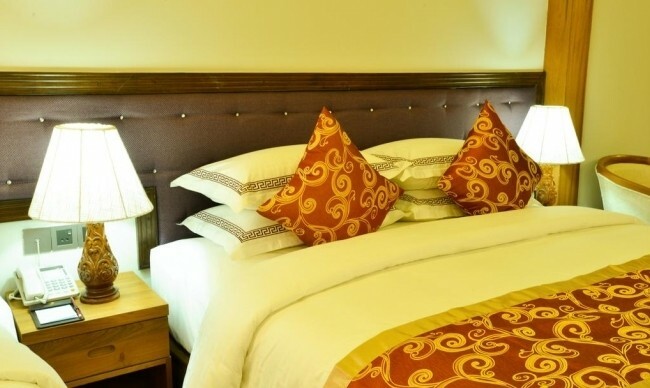 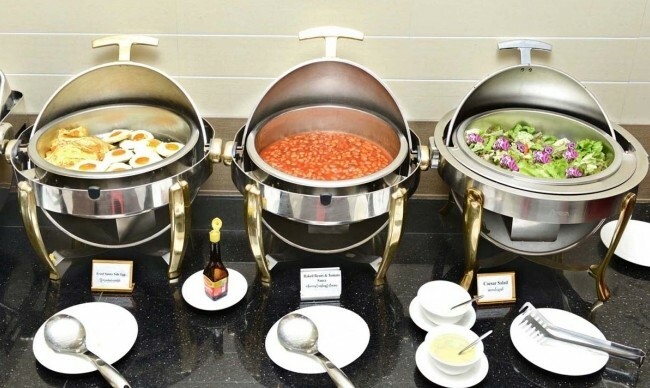 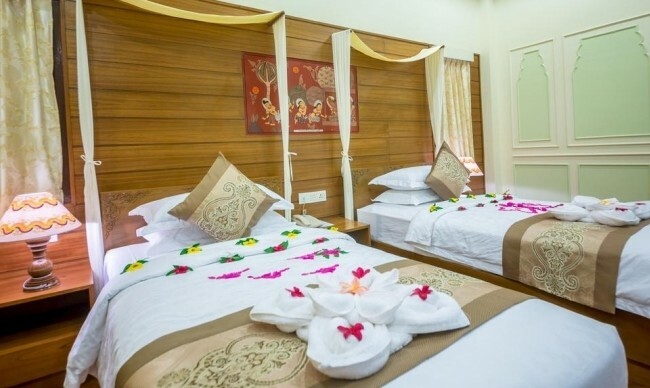 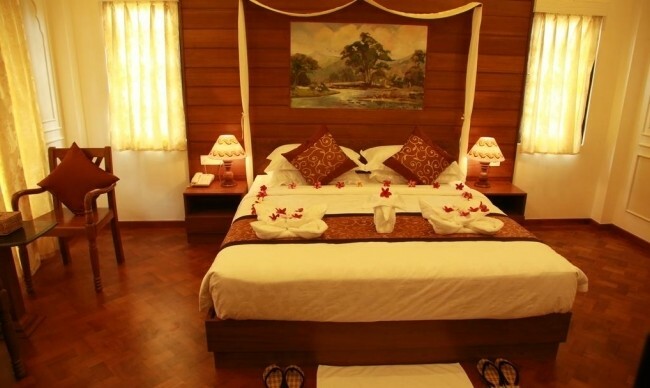 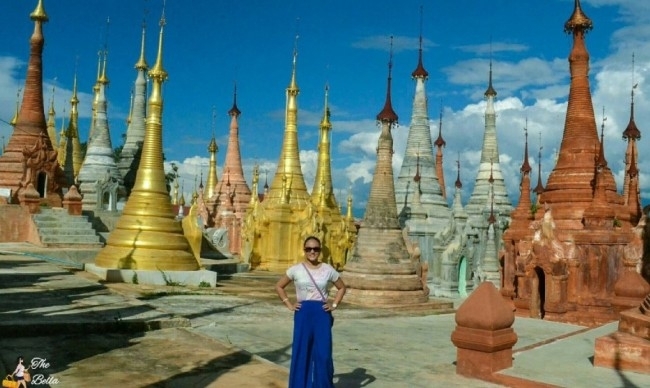 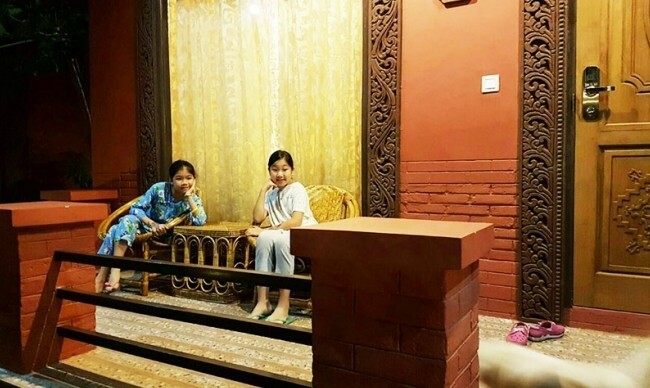 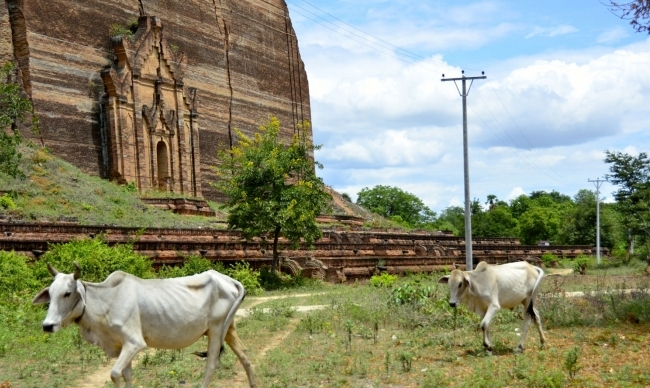 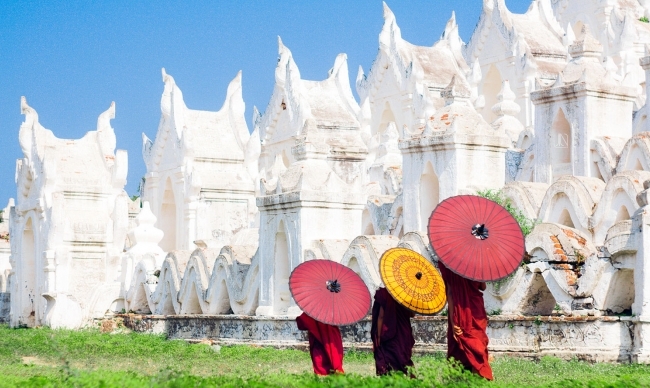 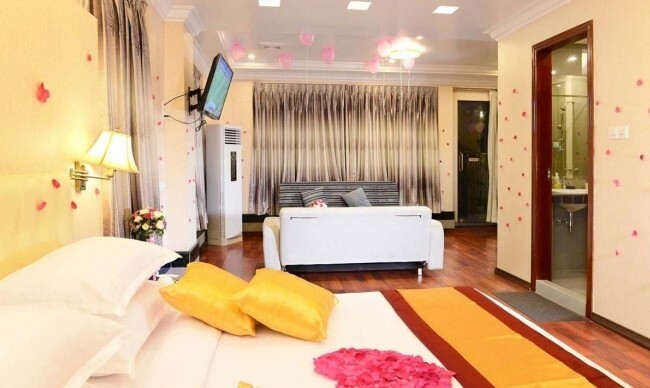 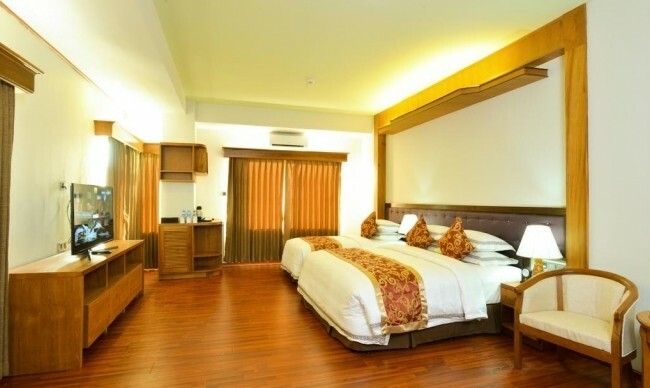 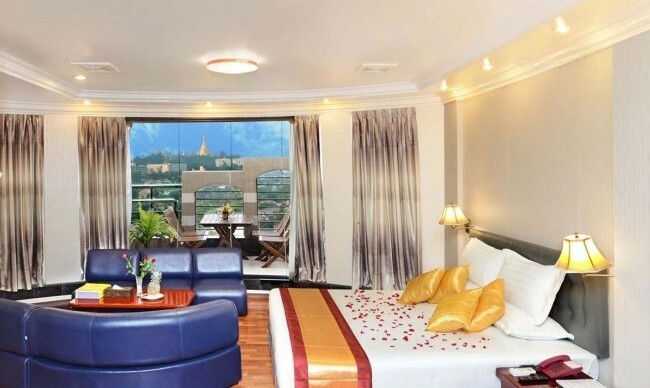 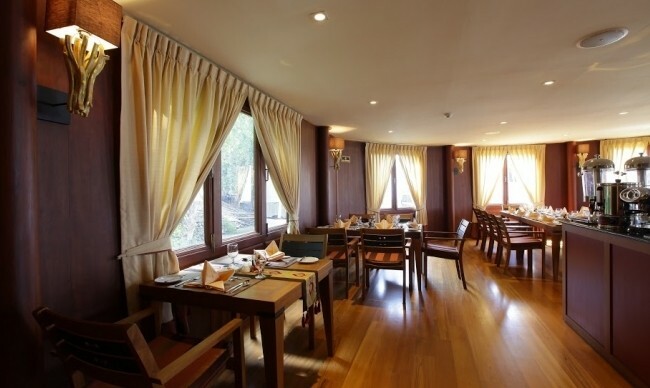 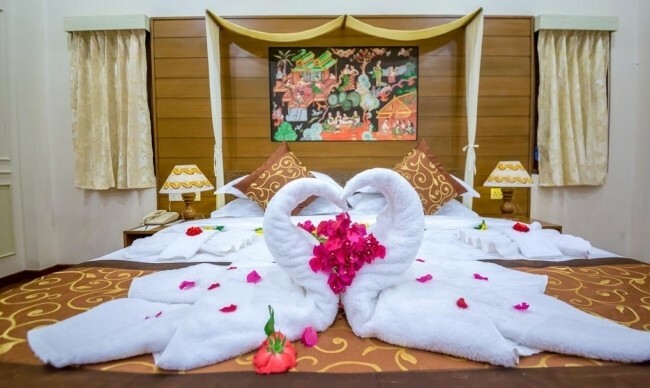 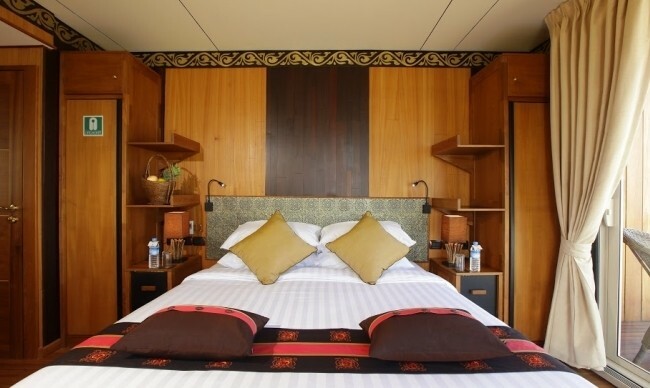 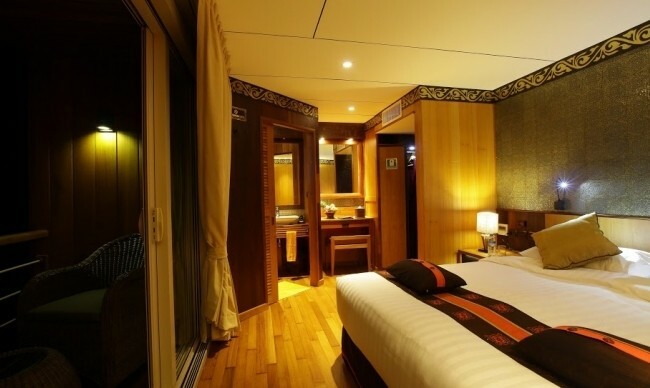 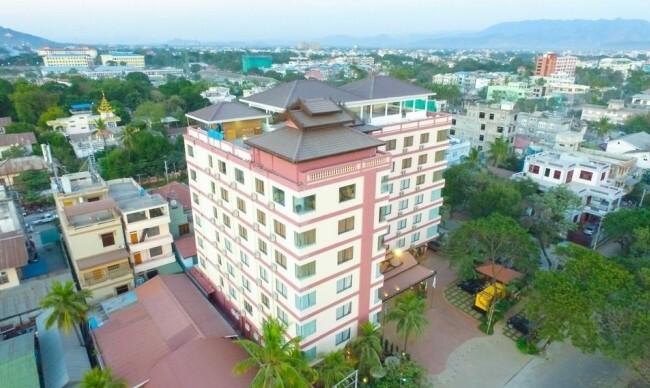 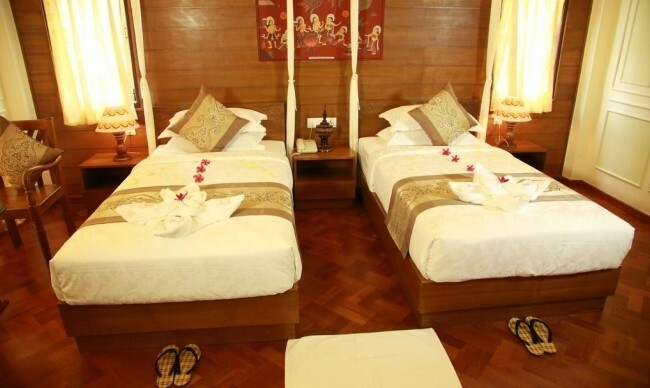 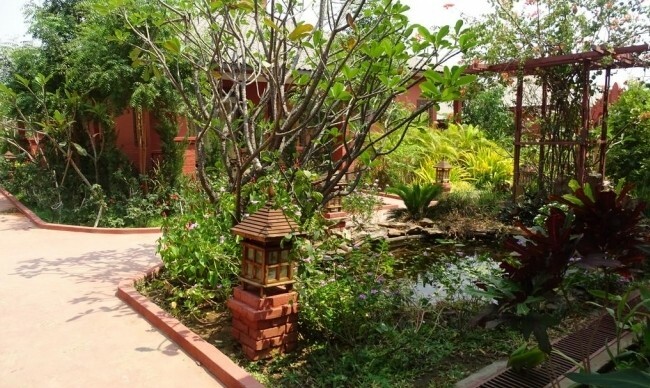 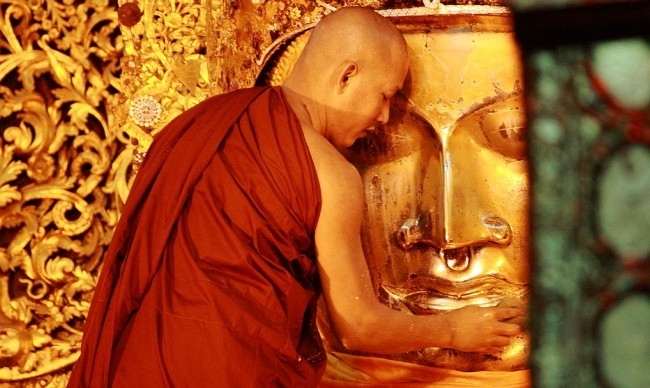 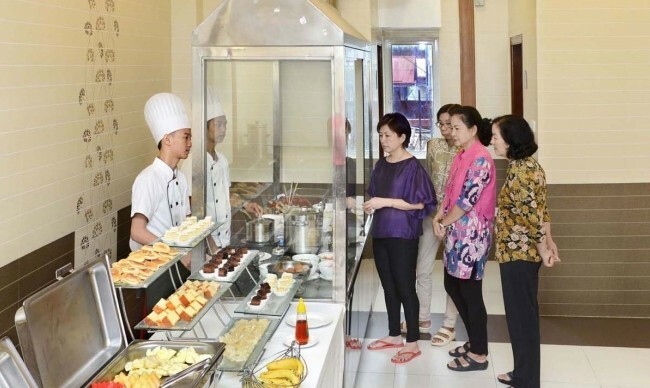 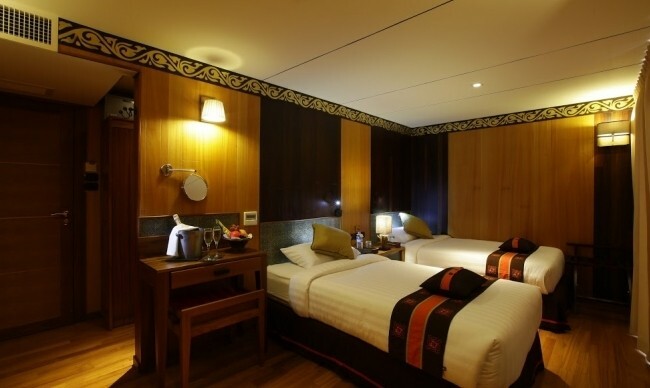 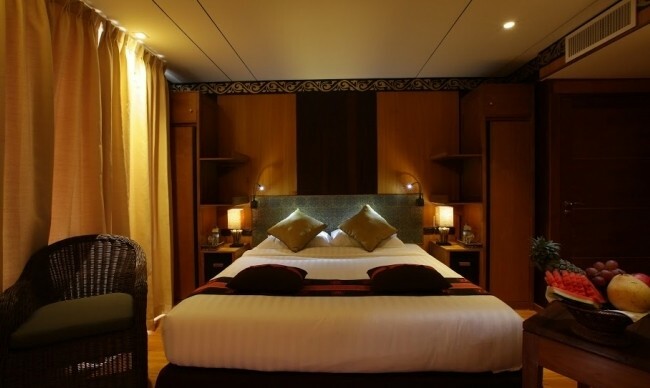 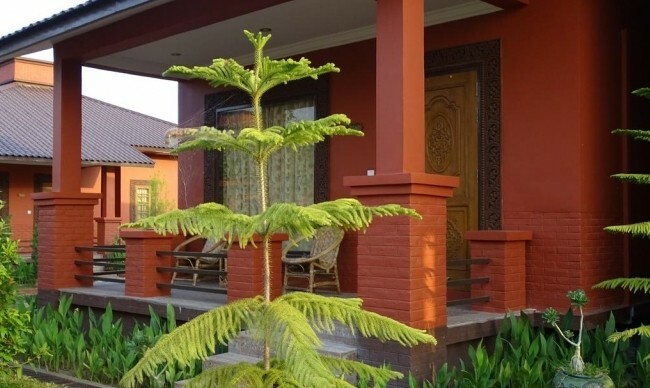 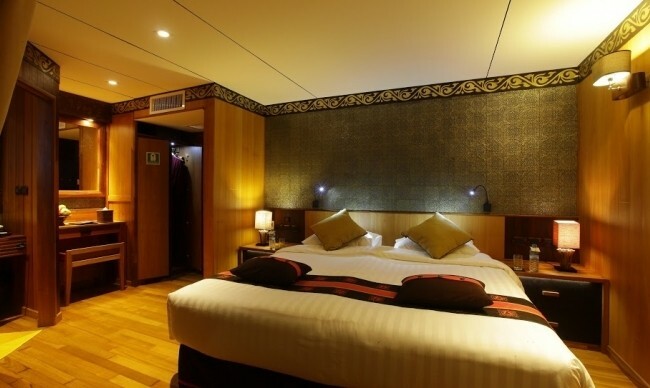 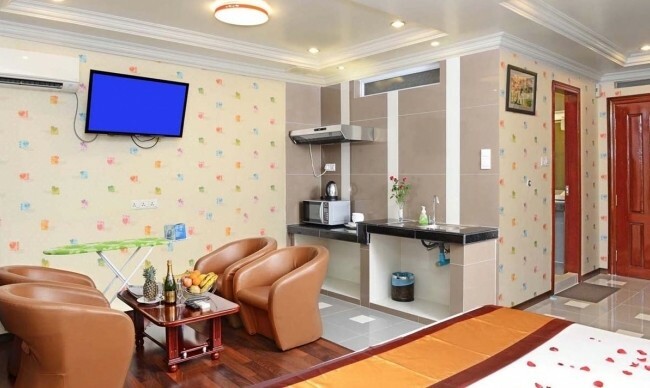 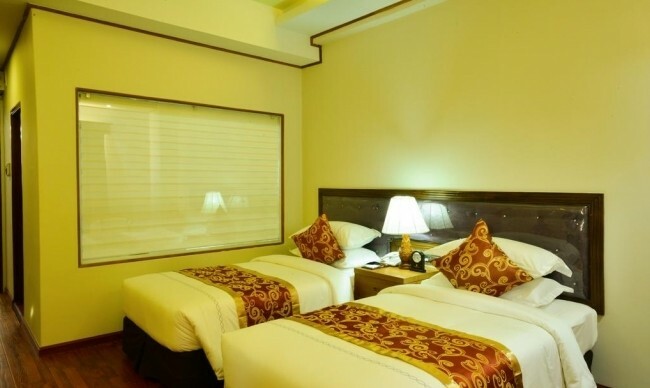 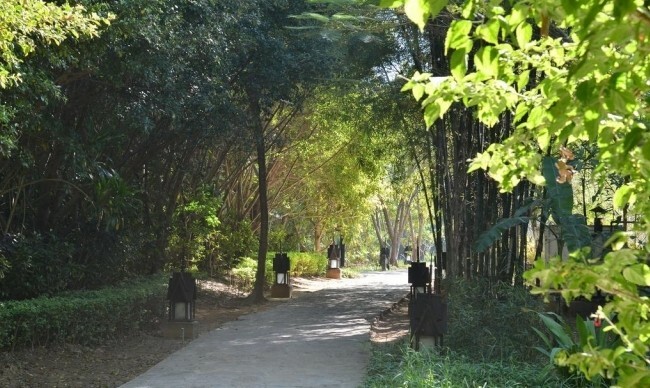 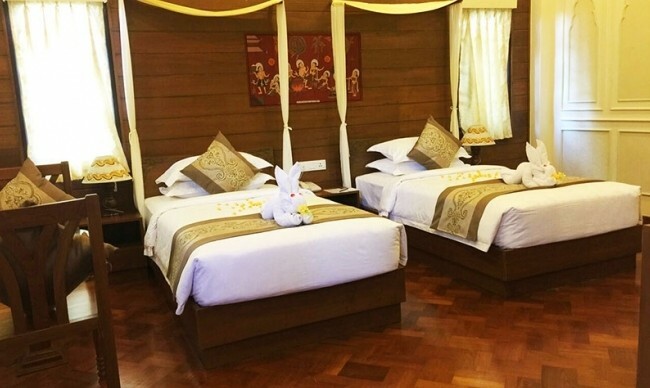 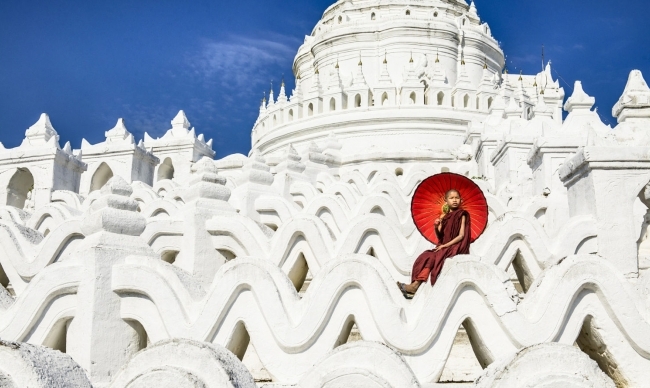 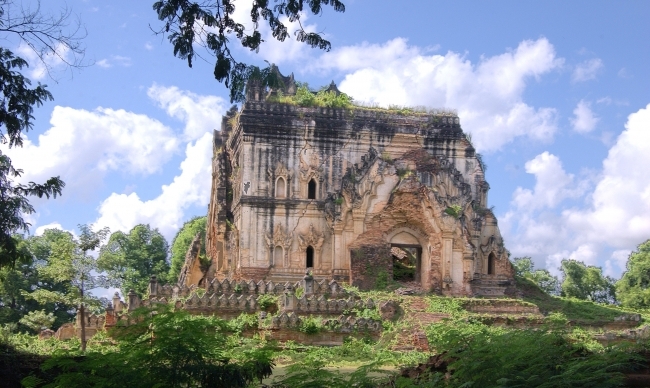 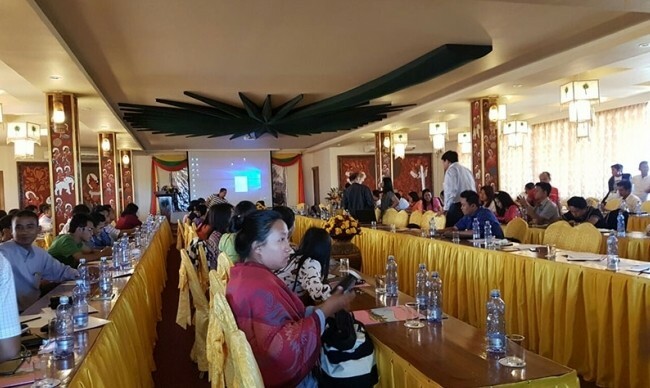 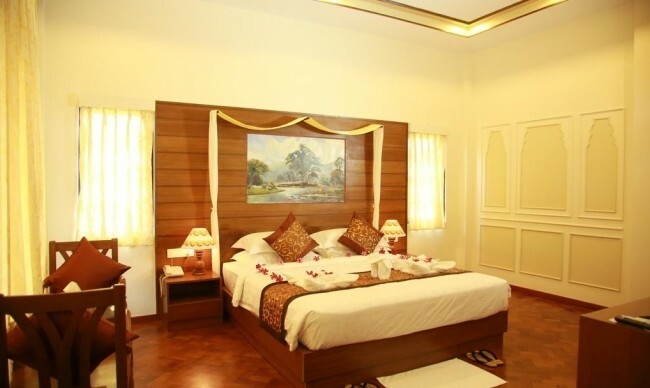 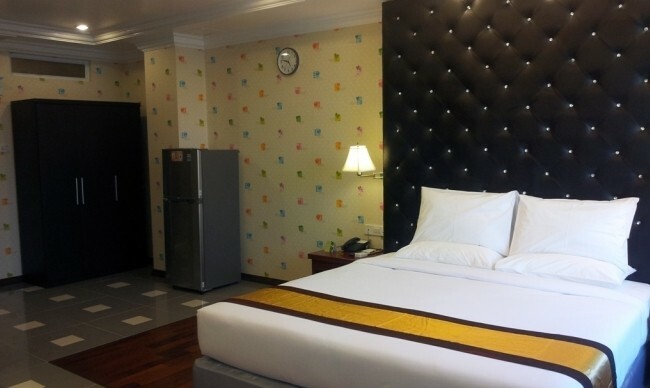 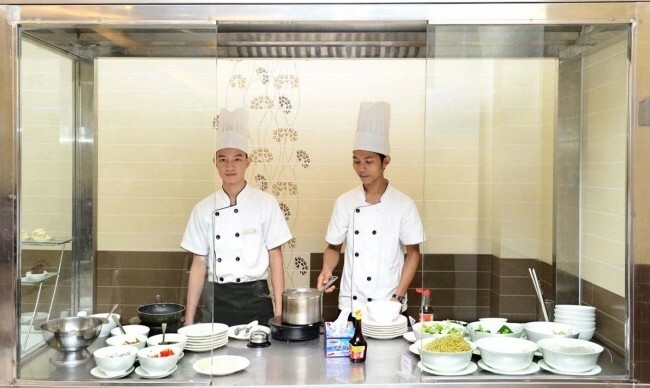 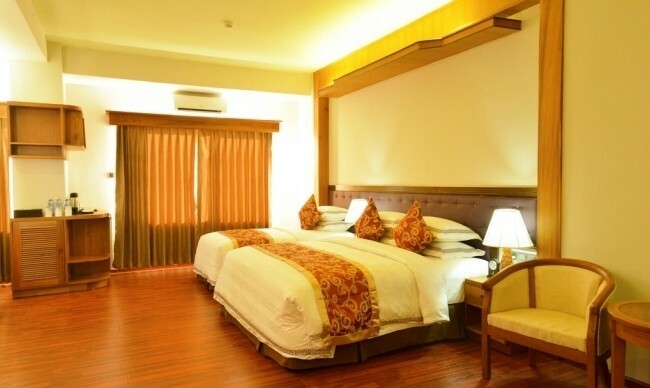 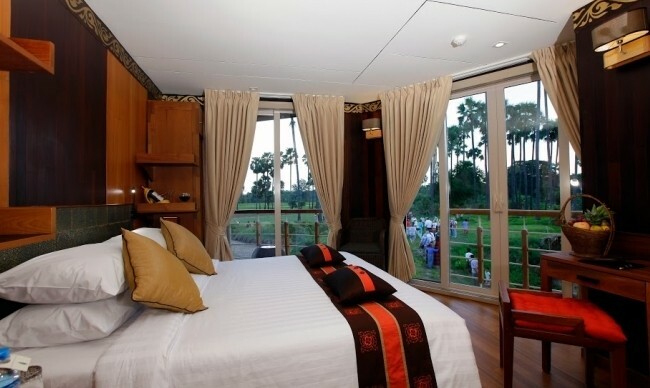 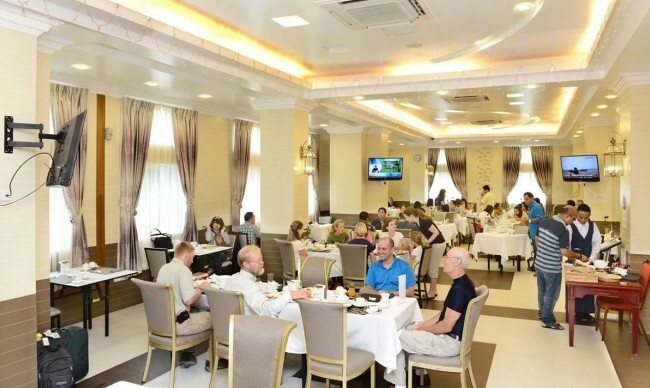 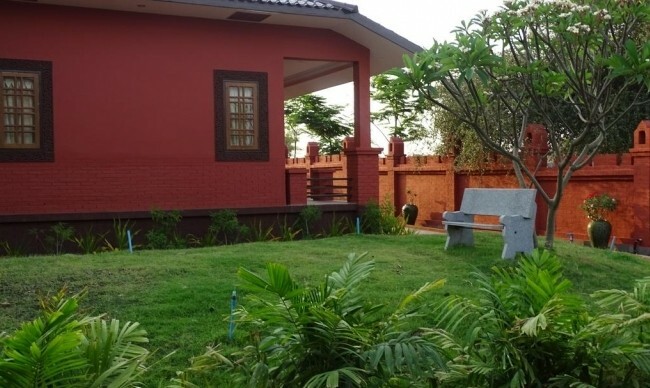 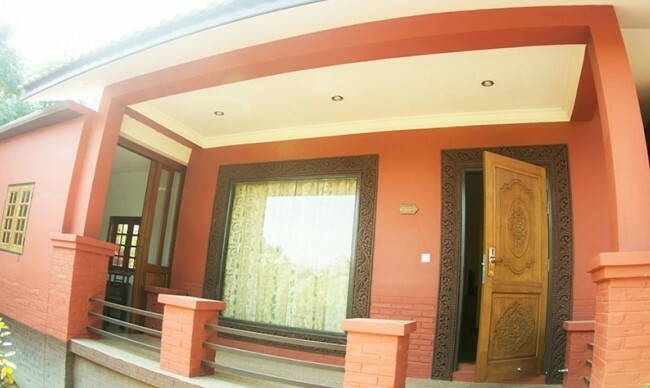 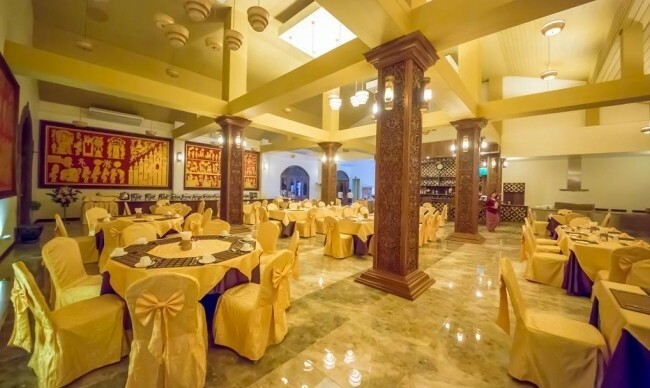 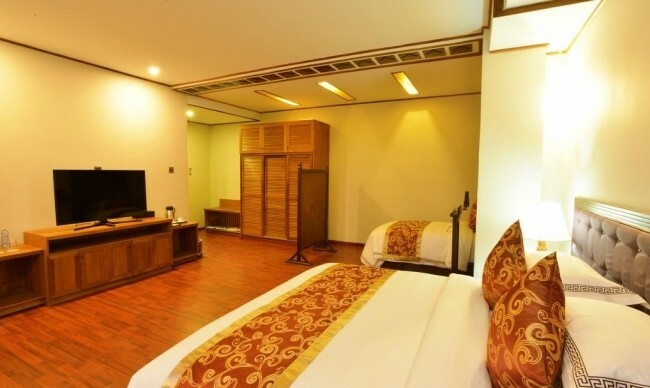 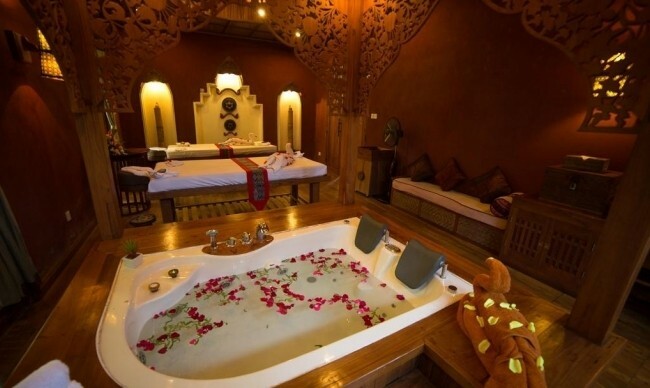 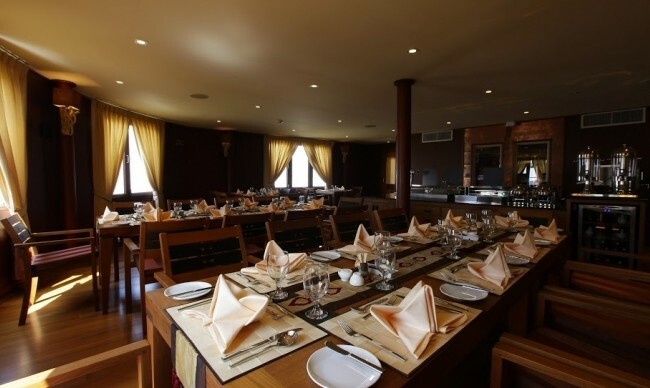 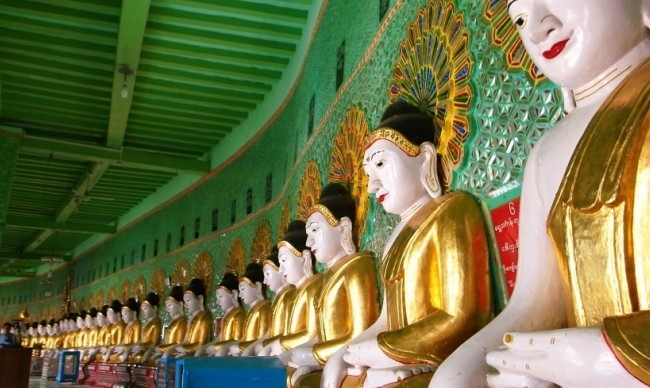 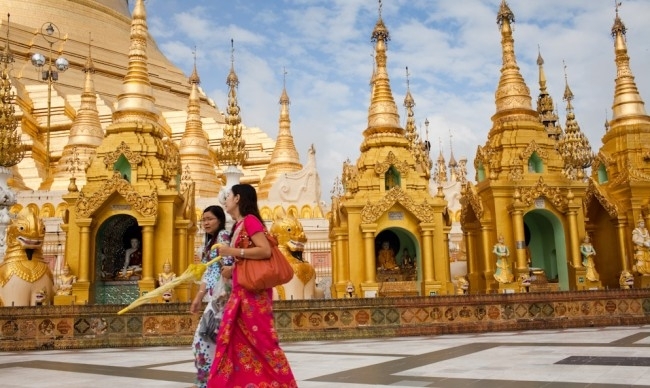 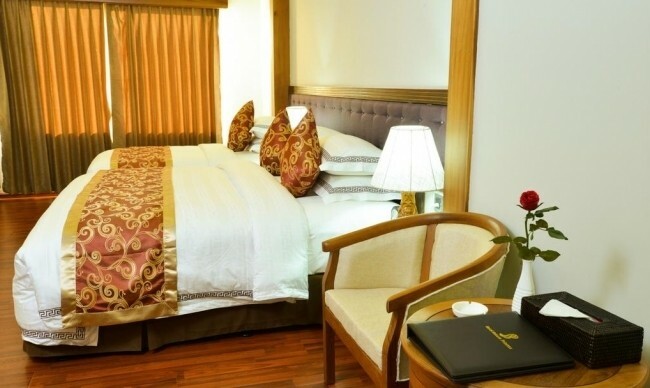 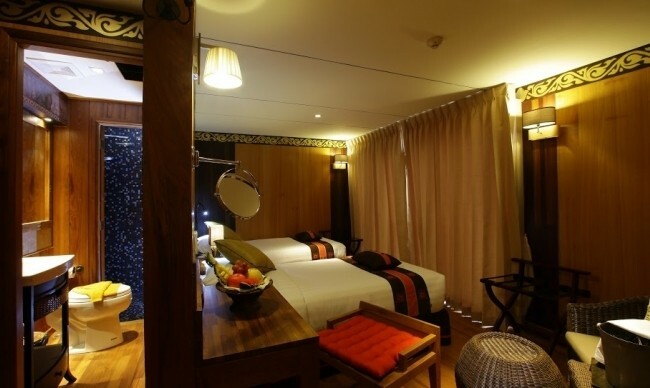 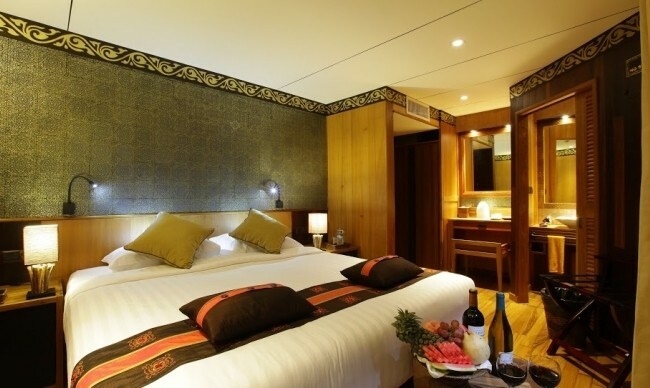 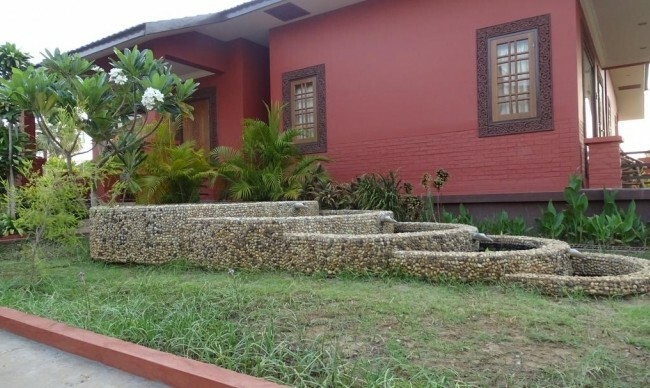 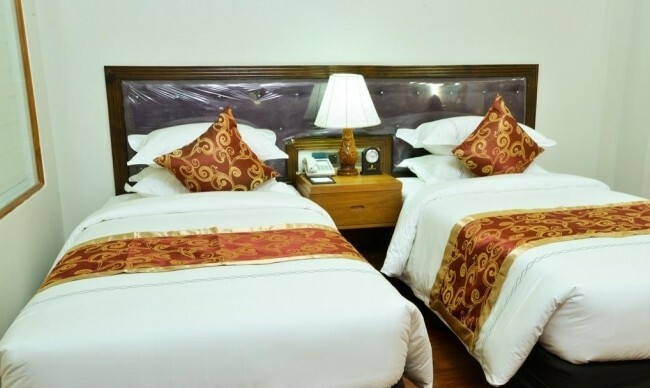 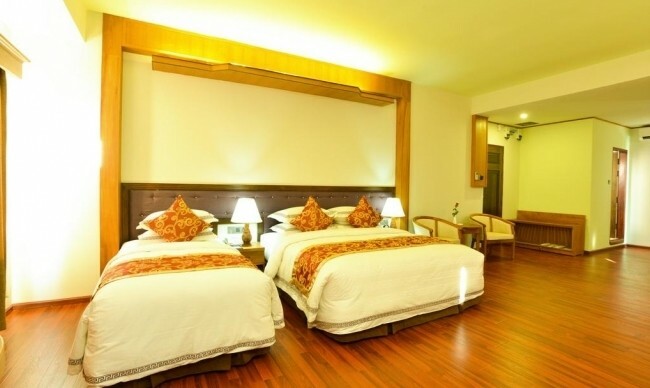 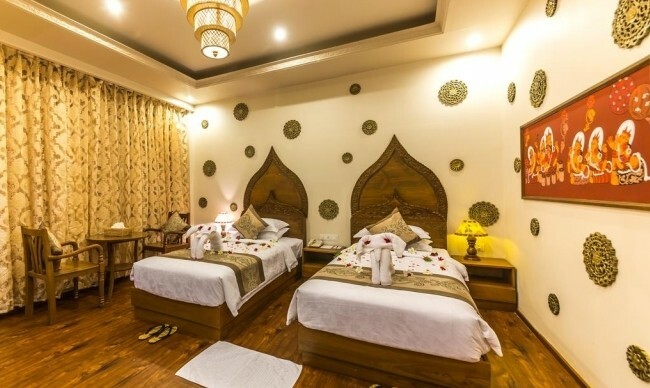 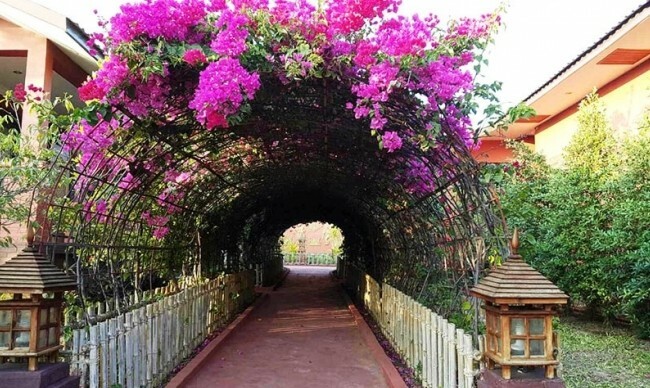 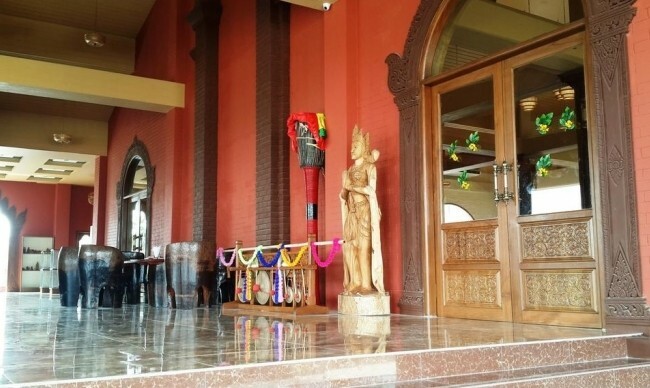 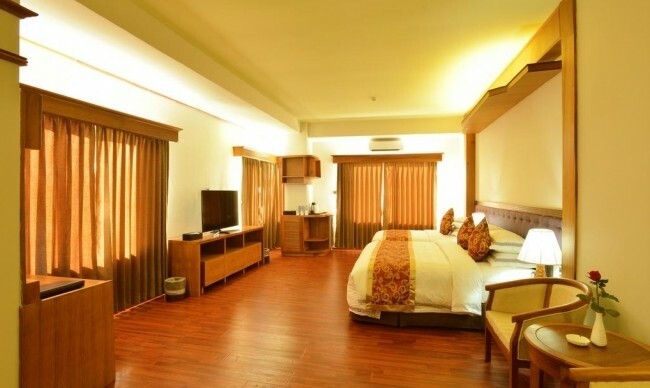 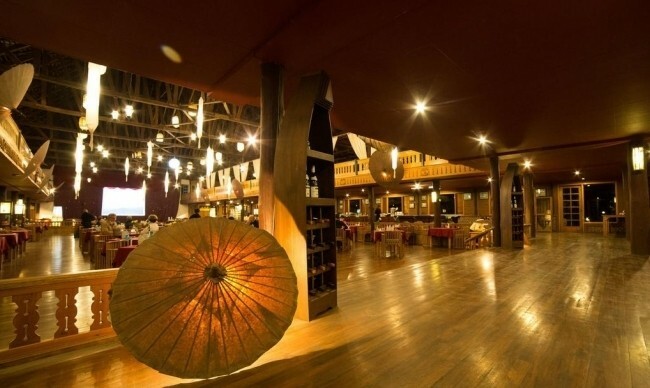 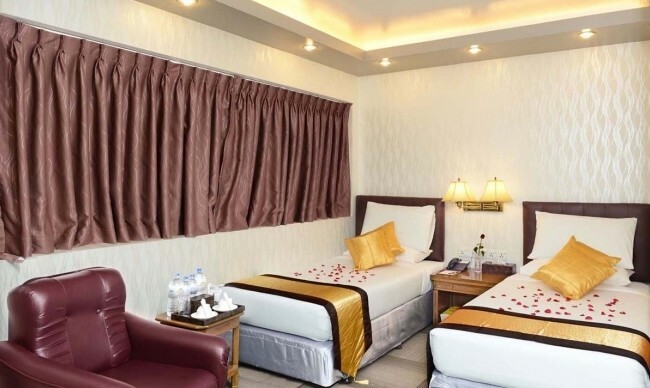 Unlike other lively tours in modern cities, your excursion in Mandalay will take you to the outlying areas with fantastic mixture of nature and culture: Riverside hills dotted by gold stupas and pagodas named Sagaing, incredible view over Manday across Ayeyarwaddy River from the hill top, brilliant U Min Thonze Cave Temple and Soon U Ponya Shin Pagoda, amazing golden Buddha statue at Mahamuni Buddha Temple. 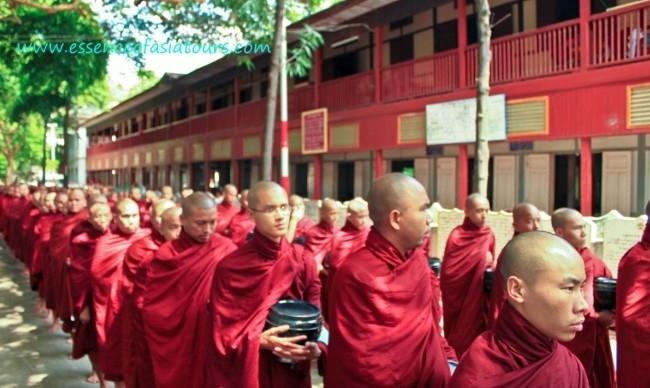 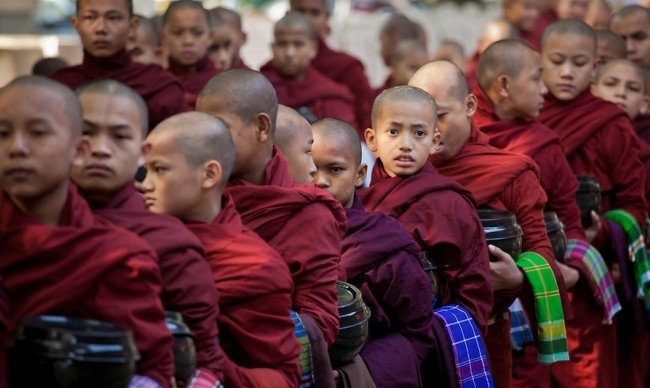 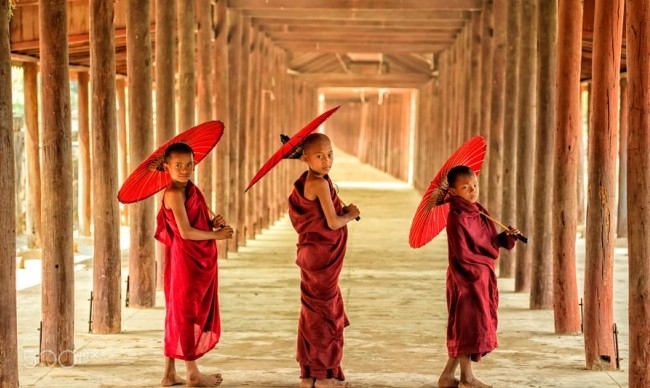 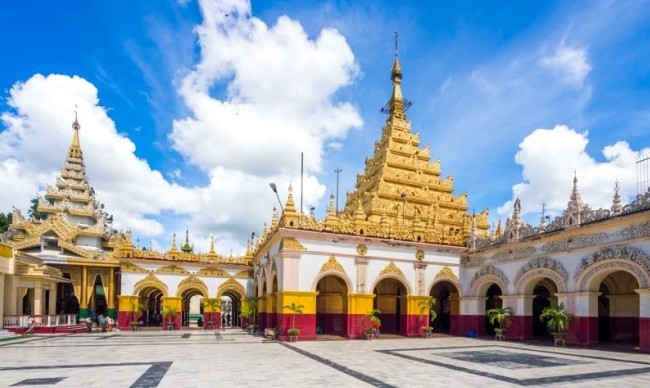 Moreover, a stop at Mahagandayon Monastery is truly worth your time in Mandalay, impressing you by the calm atmosphere when humble monks in red robes lining up silently for lunch ceremony. 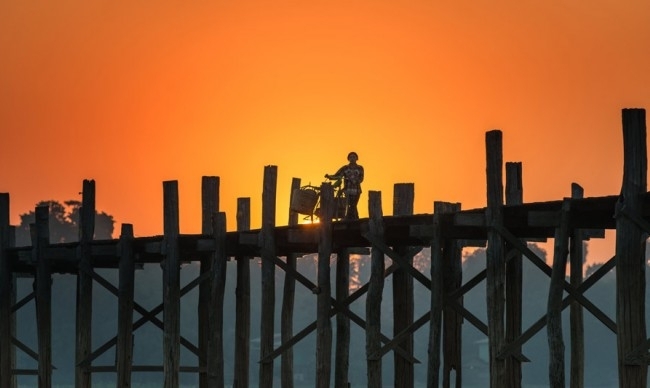 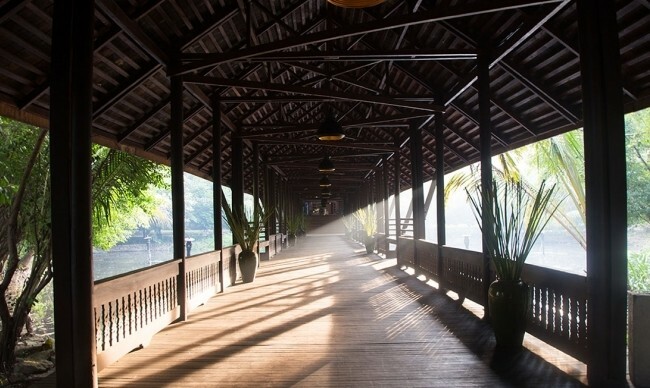 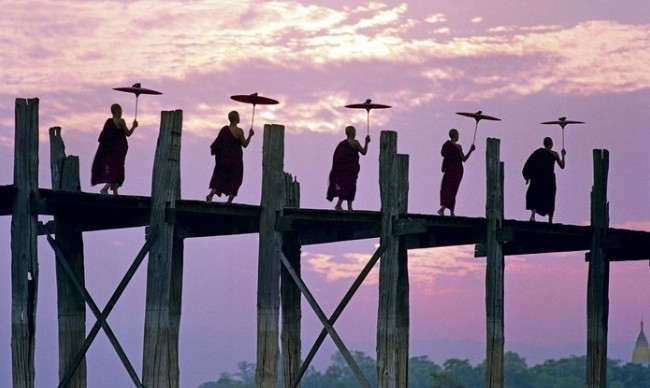 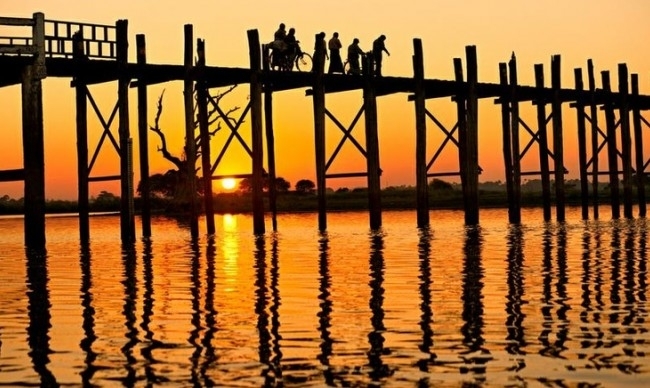 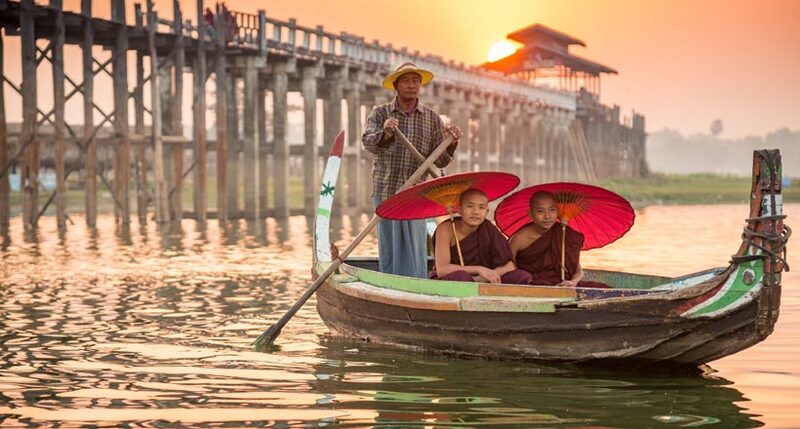 After all, a stunning sunset over the iconic U Bein Bridge will definitly blow you away after a long day tour. 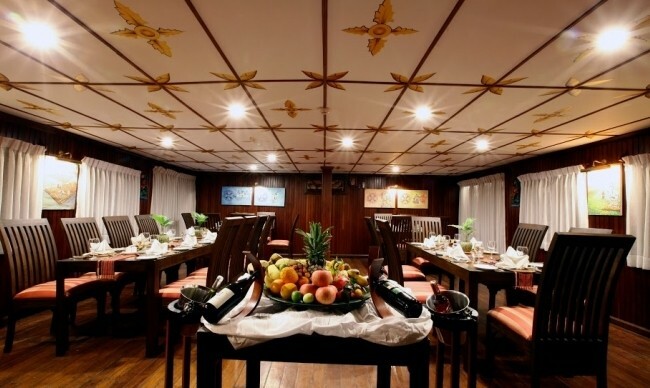 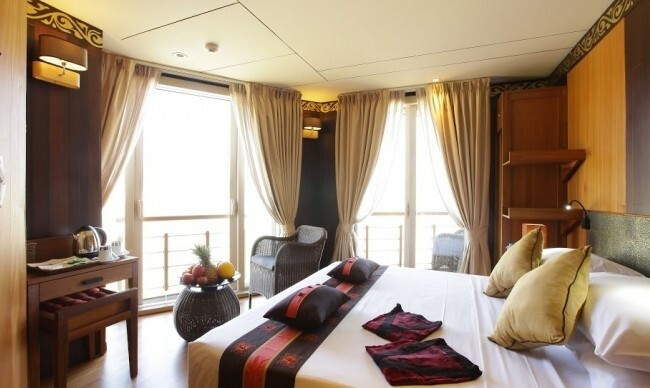 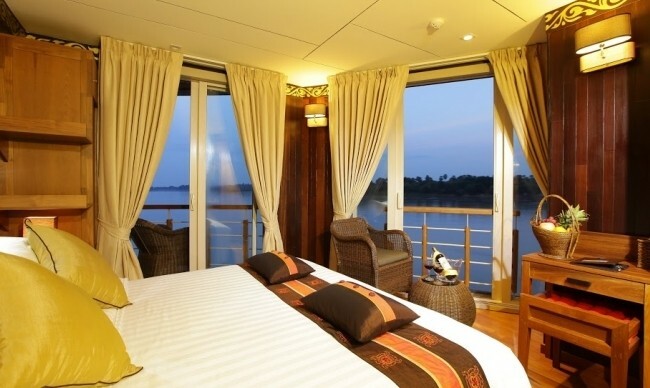 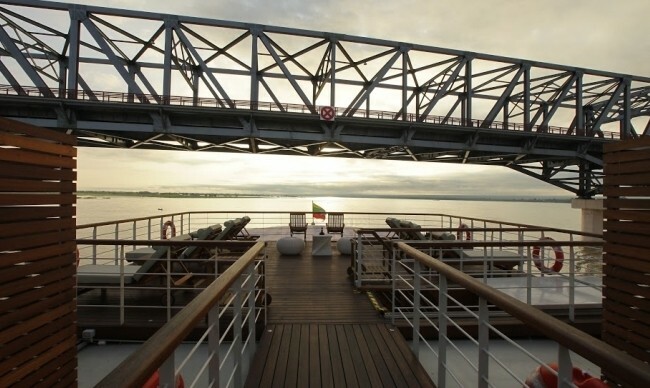 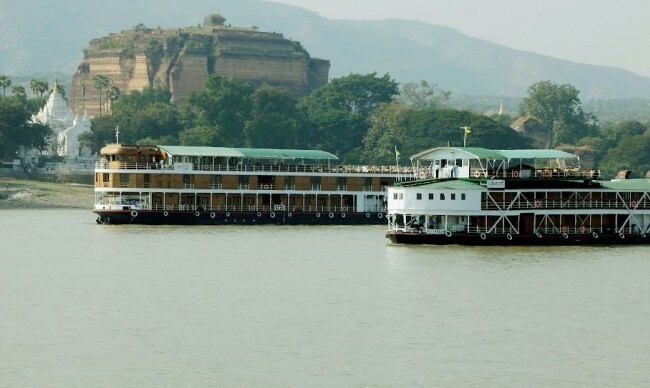 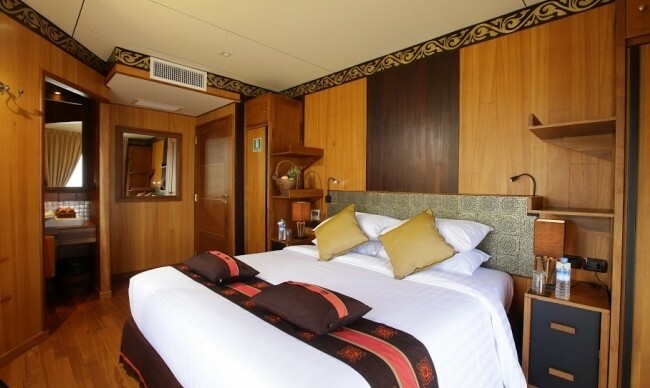 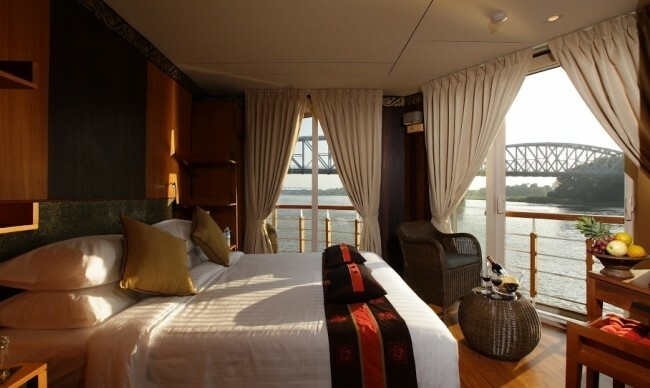 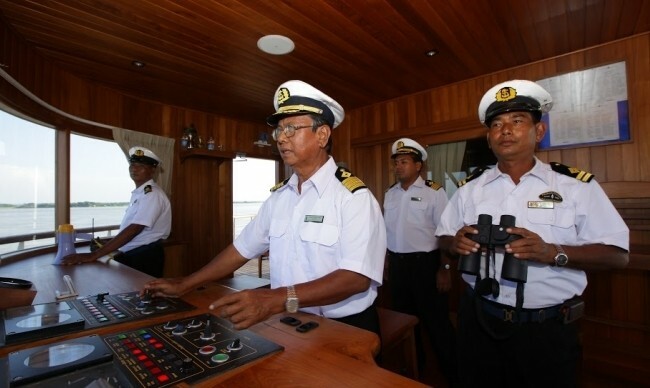 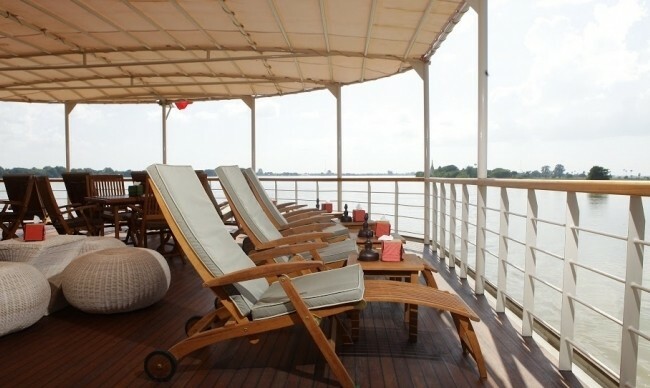 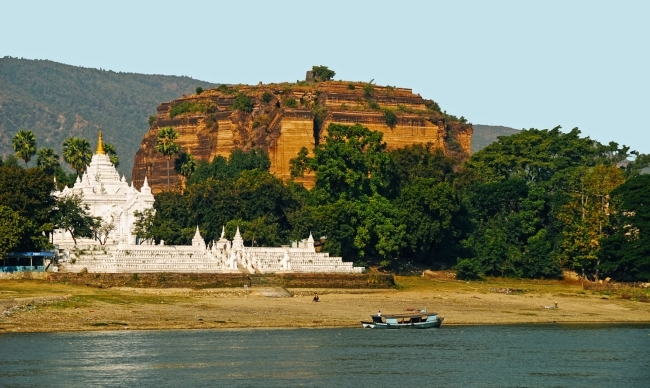 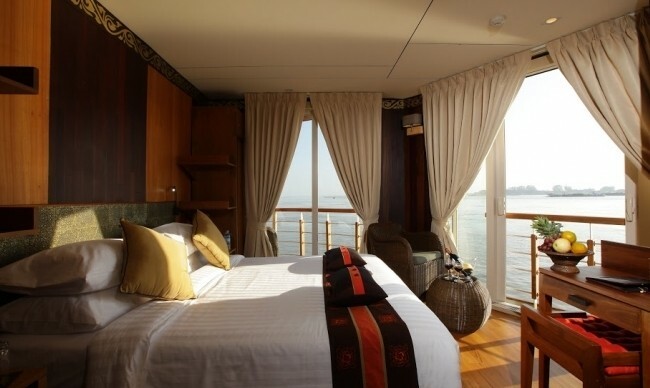 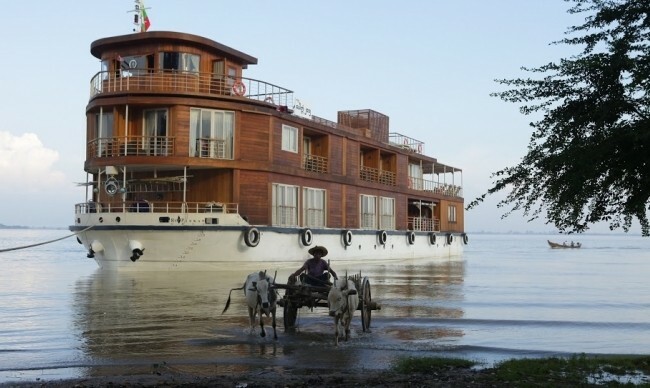 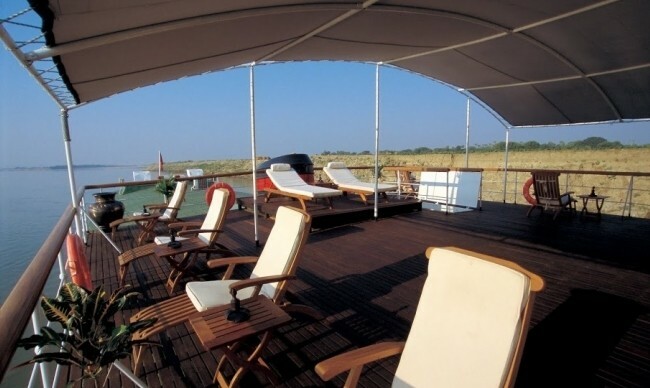 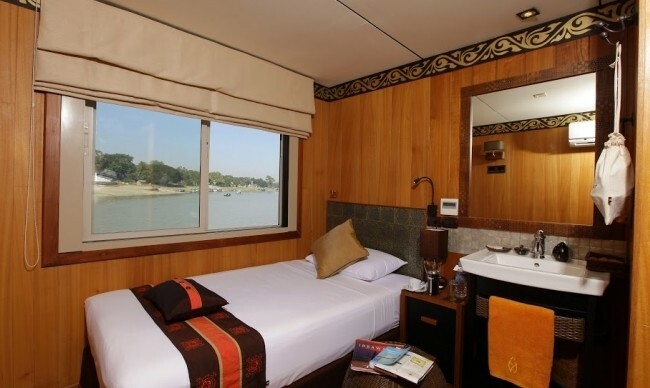 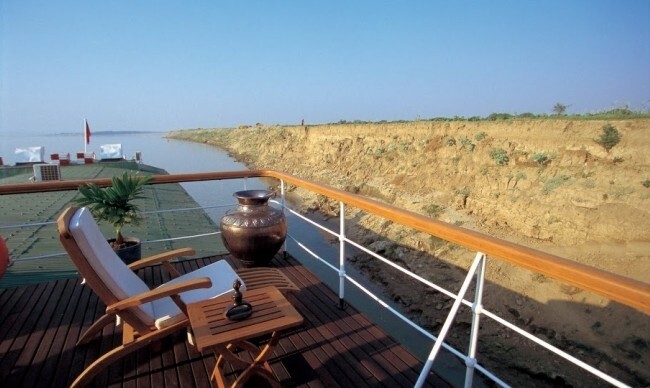 As a perfect relaxing interlude during your journey through Myanmar, a short river navigation with Paukan cruise will offer you an excellent chance to fully experience the authentic floating life along the Irrawaddy river with privileged visit to unusually beautiful villages off the regular tourist trails. 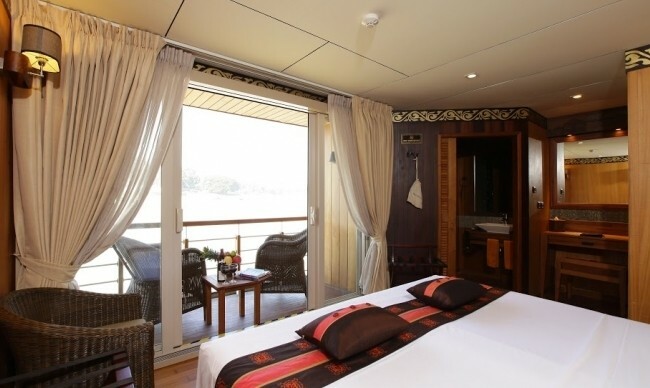 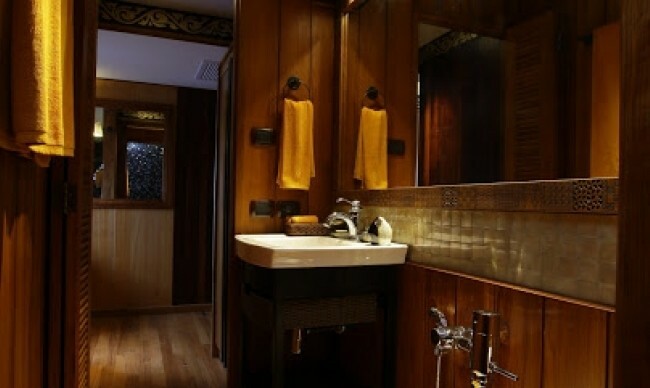 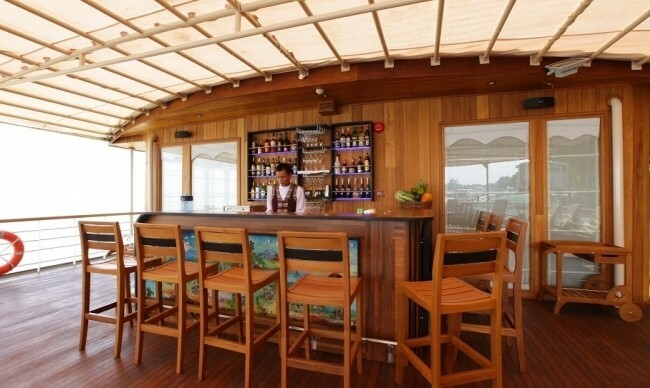 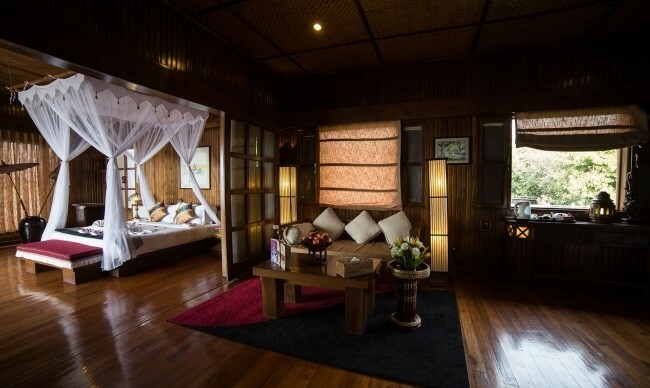 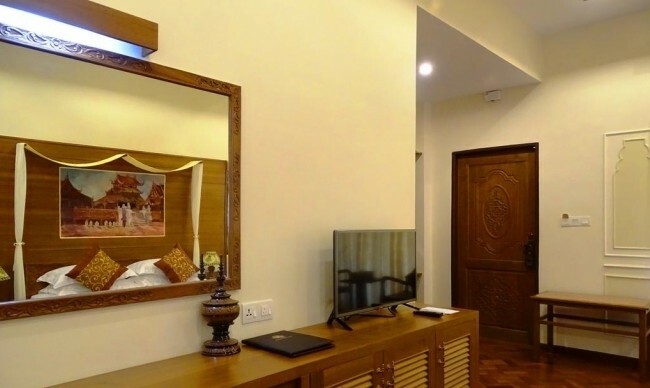 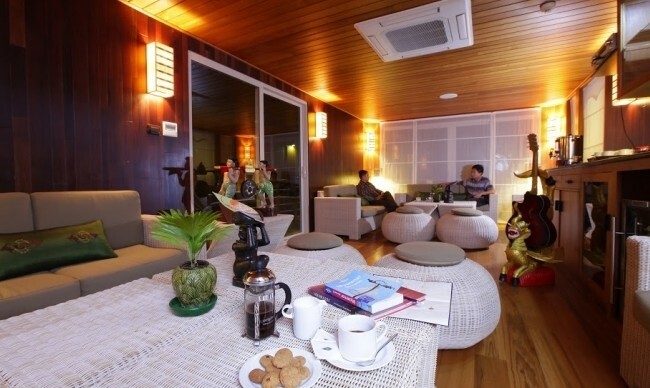 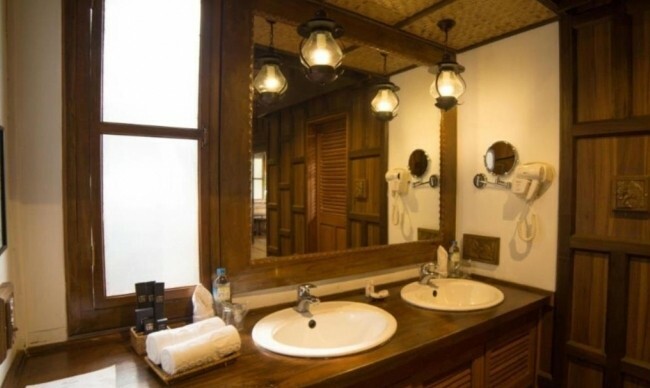 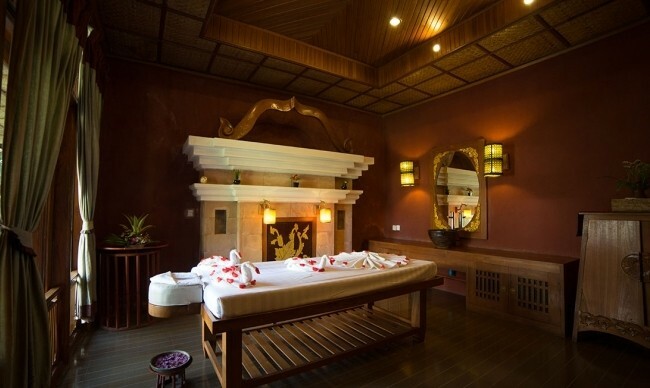 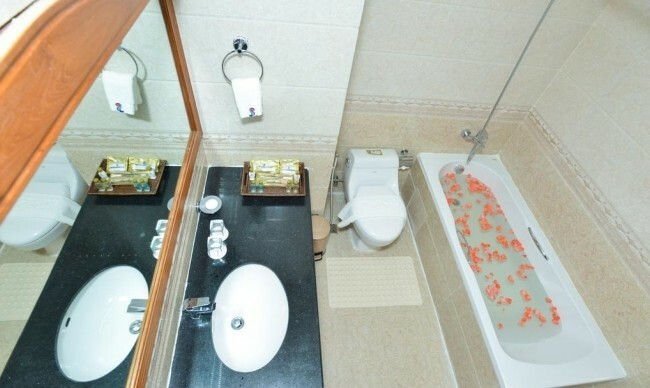 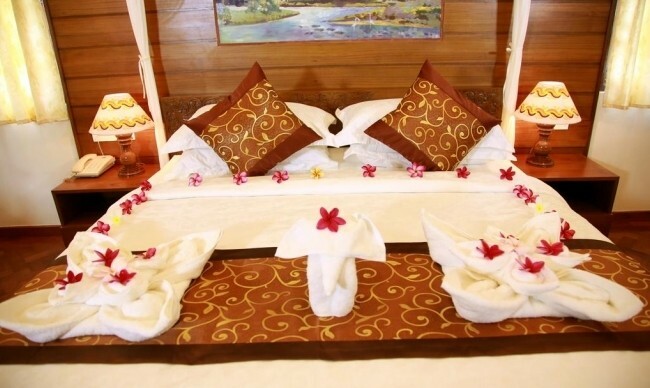 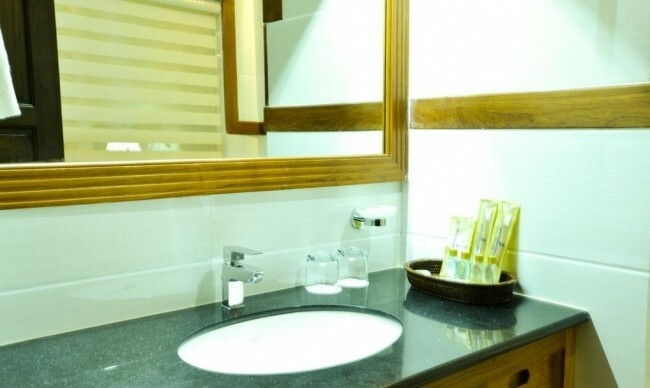 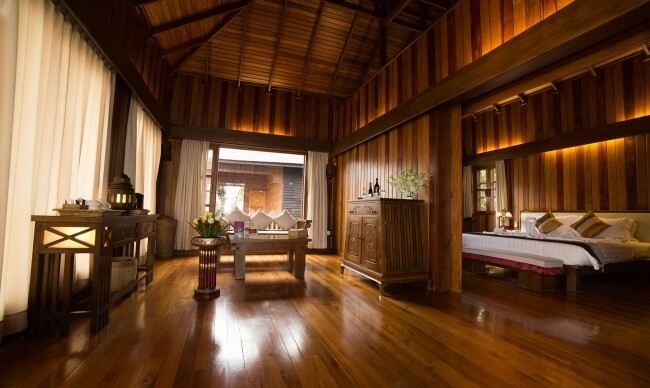 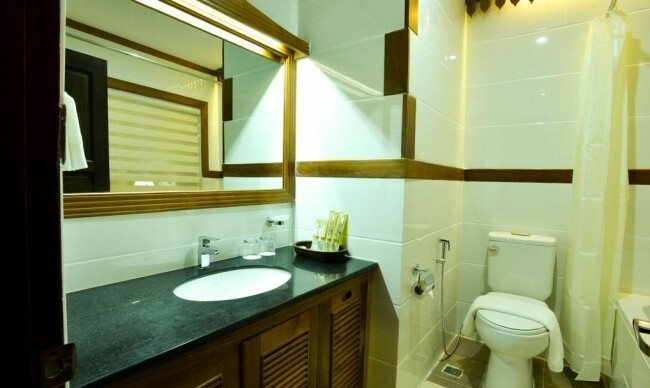 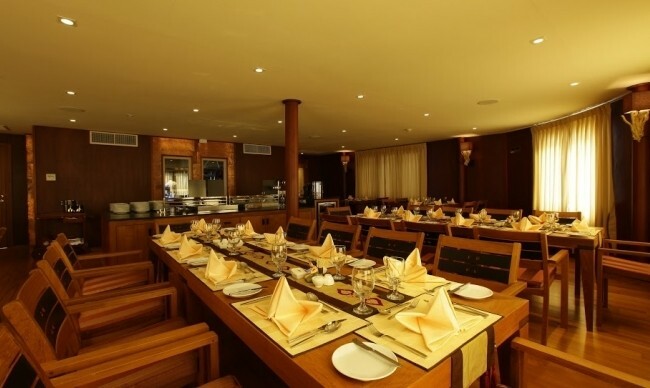 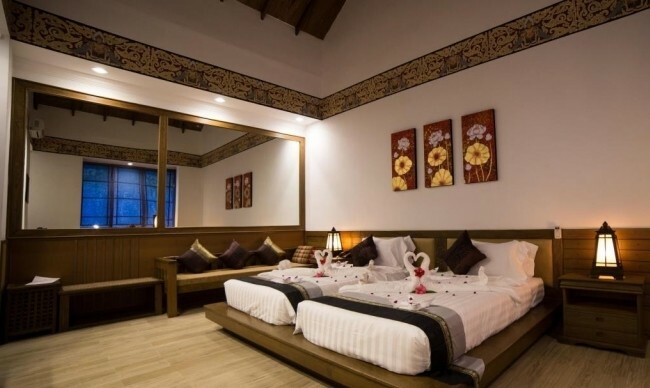 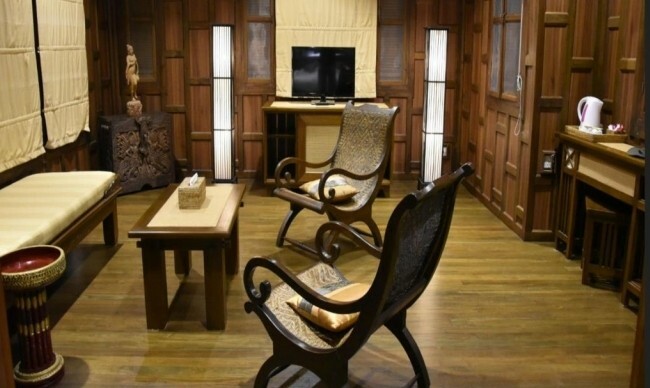 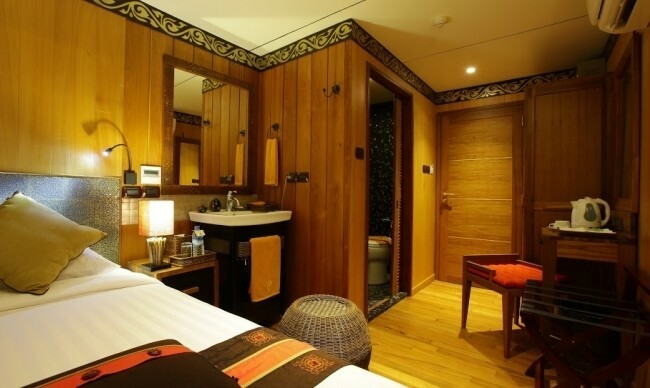 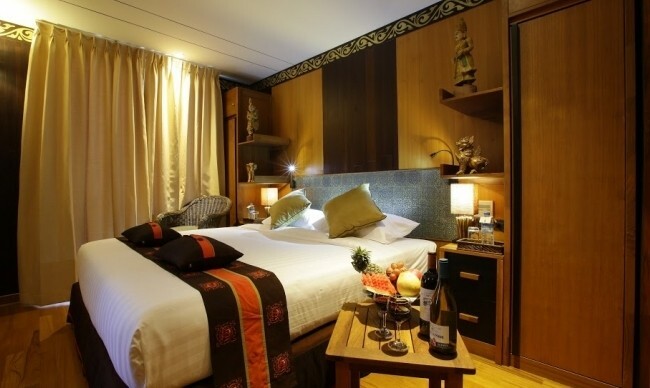 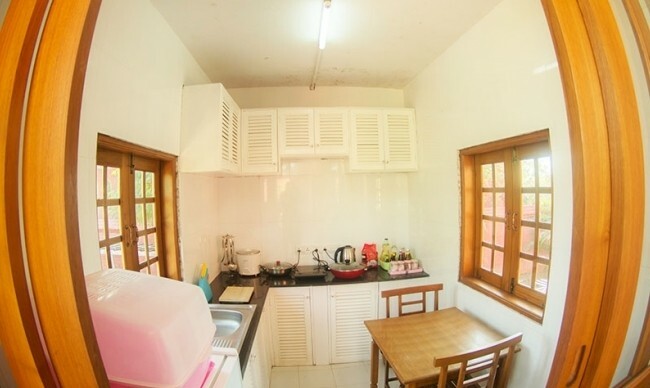 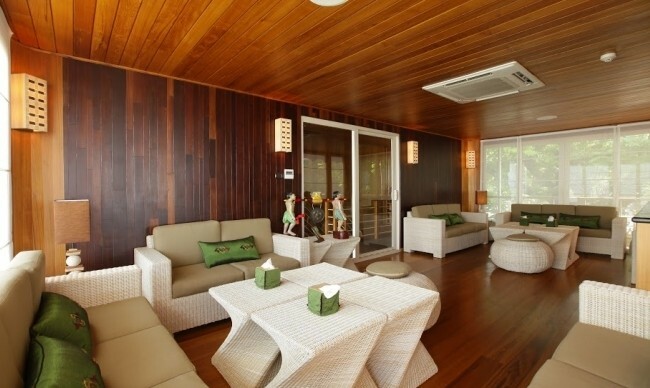 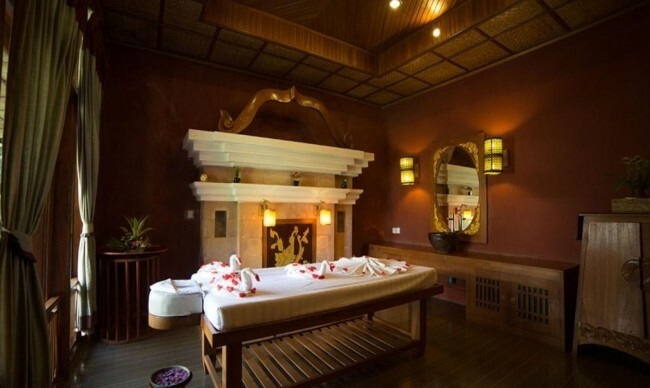 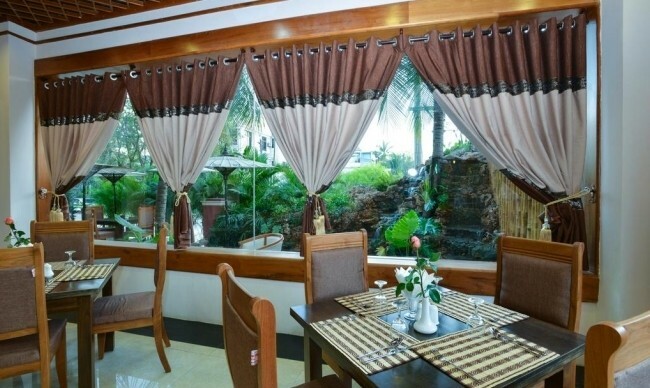 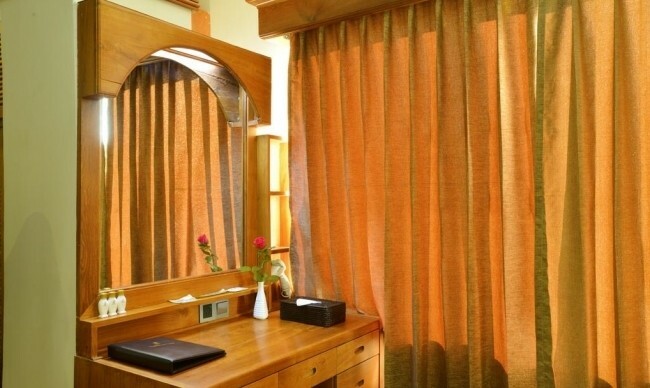 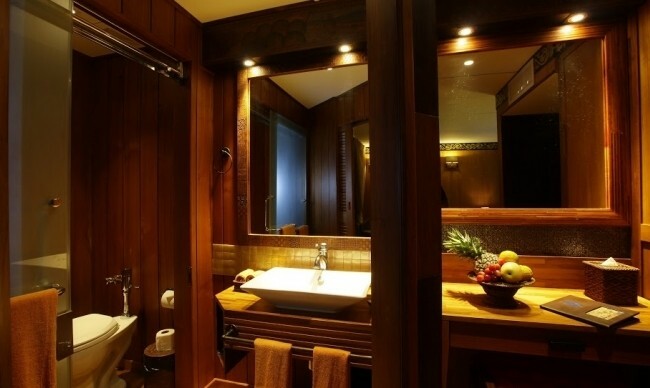 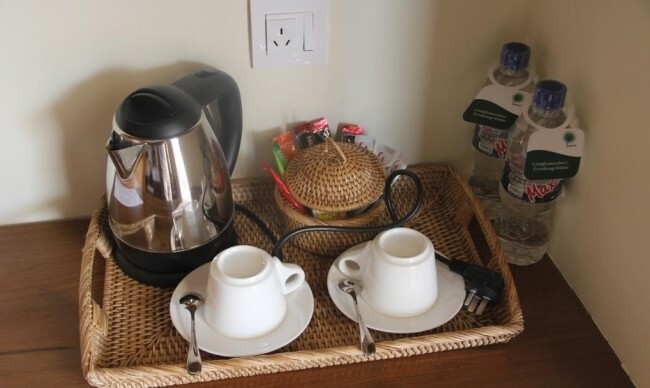 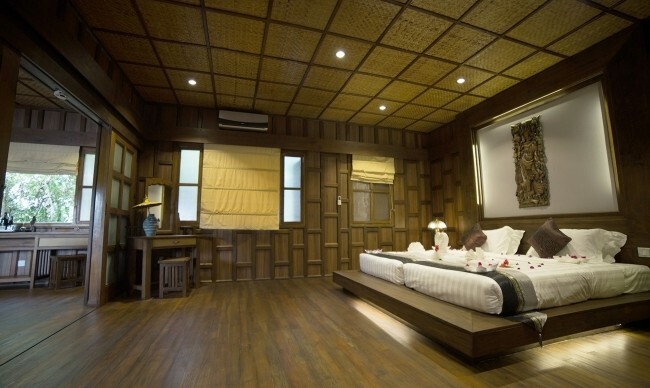 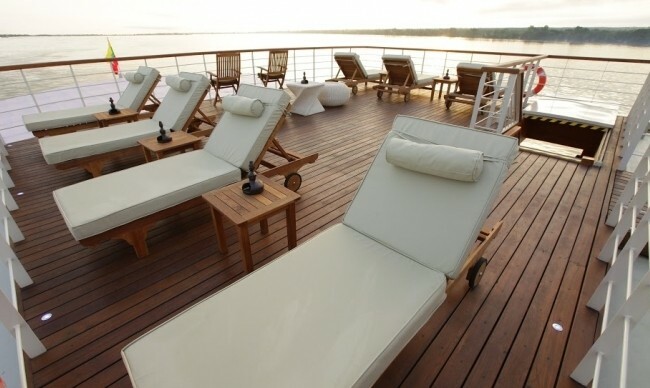 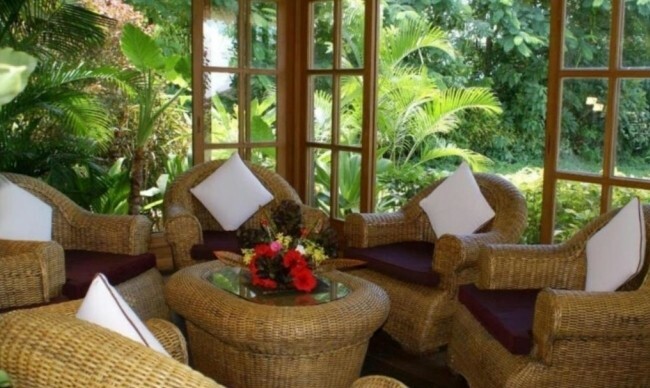 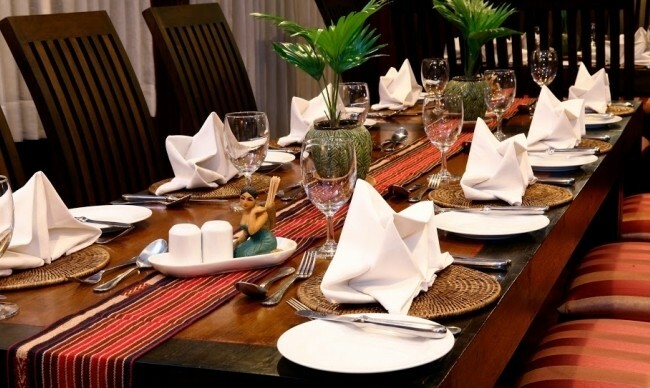 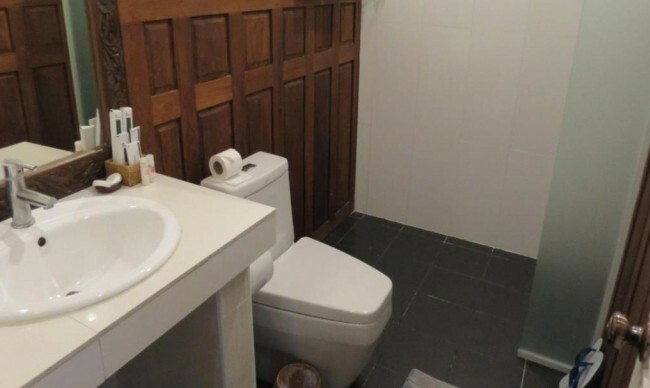 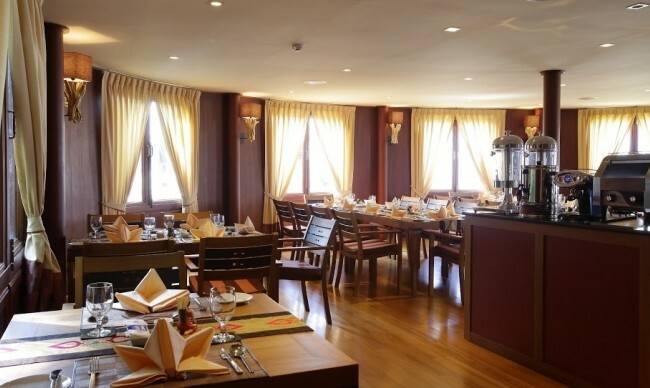 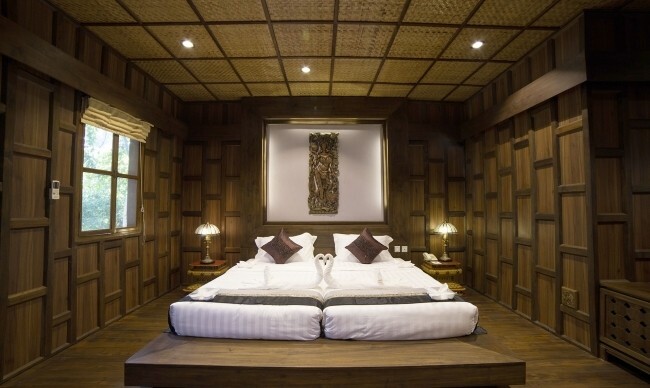 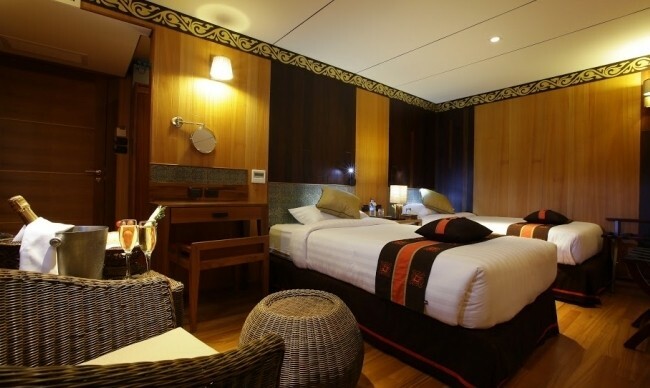 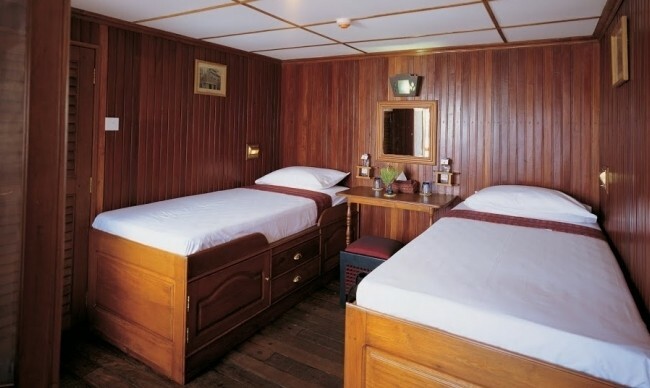 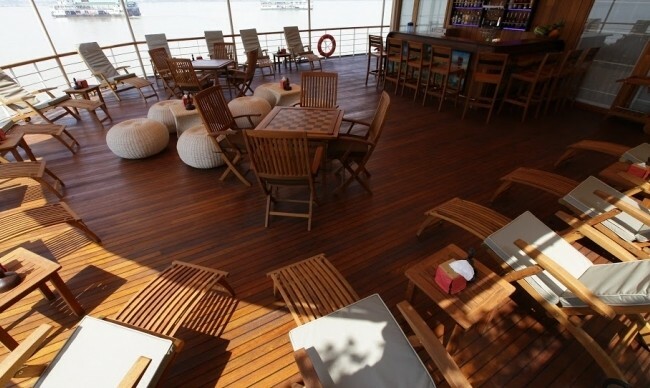 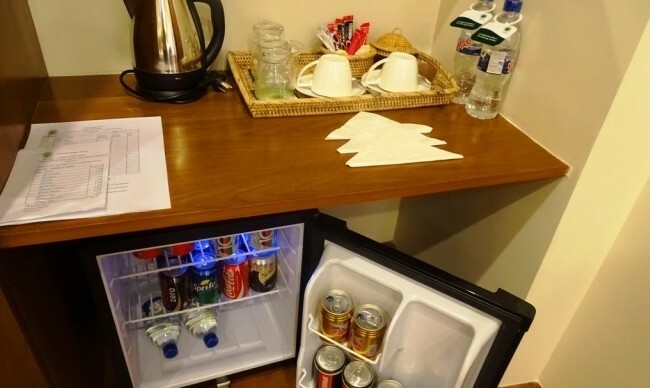 After a long meaningful day full of sightseeing, it is your private time for relaxing in your well-equipped comfy cabin or calmly catching the sunset on sundeck with a cool tropical drink before having sumptuous dinner in a luxury attached restaurant served by dedicated attendants. 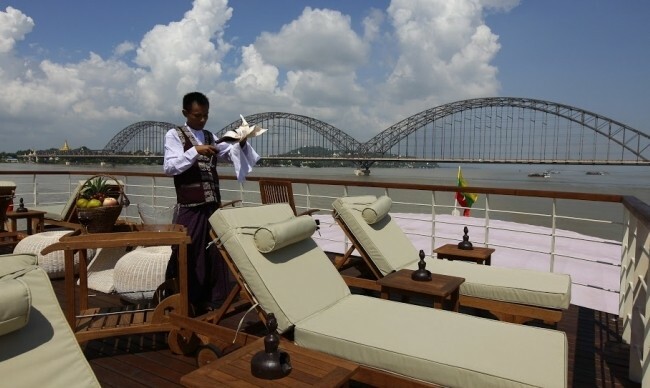 After dinner, it is time to enjoy a traditional dance and drama performance by the Mandalay Arts School on the sundeck (if available). 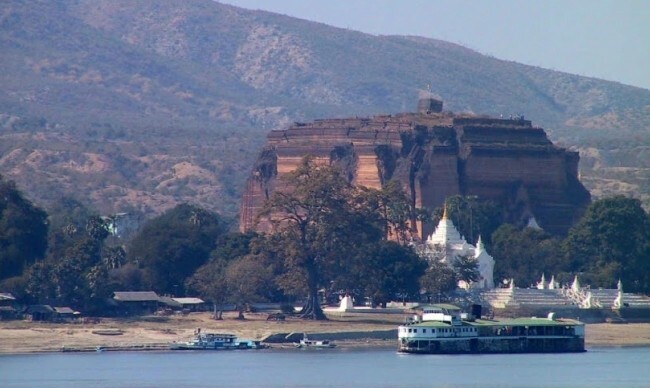 Sailing upwards the mighty Irrawaddy river from Mandalay, Mingun unfinished pagoda will soon catch your eyes in with its massive compound setting near the riverbank. 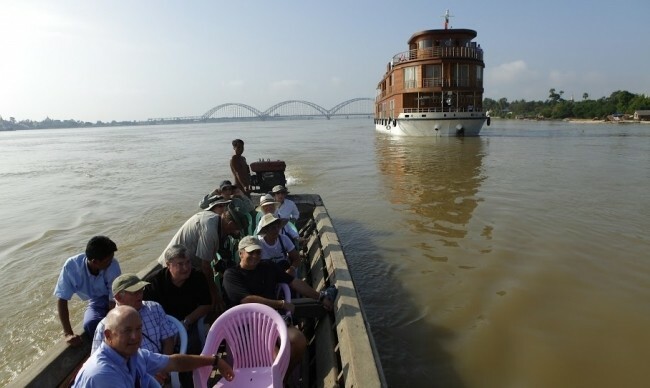 Get off the boat, we will take you to discover all secrets behind the largest pagoda in the country and probably in the world if finished, the overriding ambition of King Bodawpaya, the reason why it was eventually left abandoned, the great architecture from finest brick works and the largest working giant bell inside. 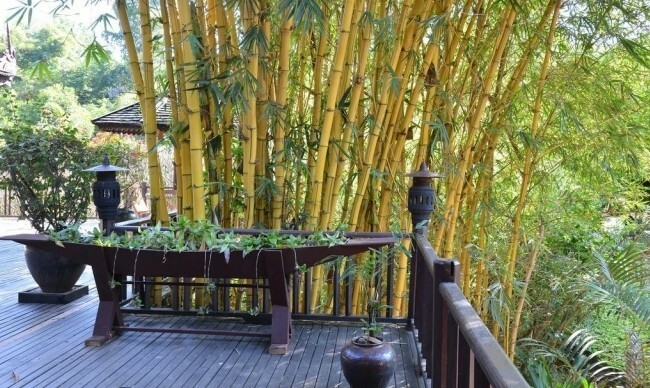 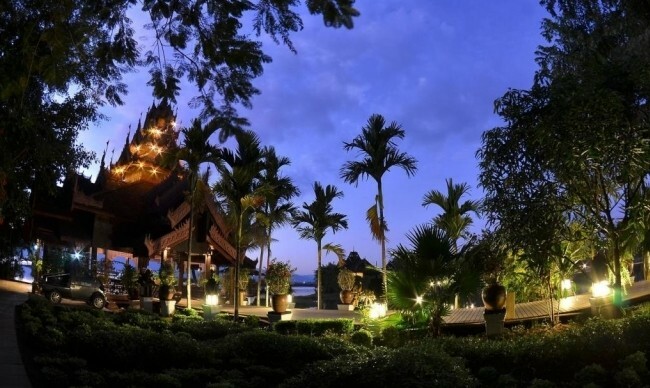 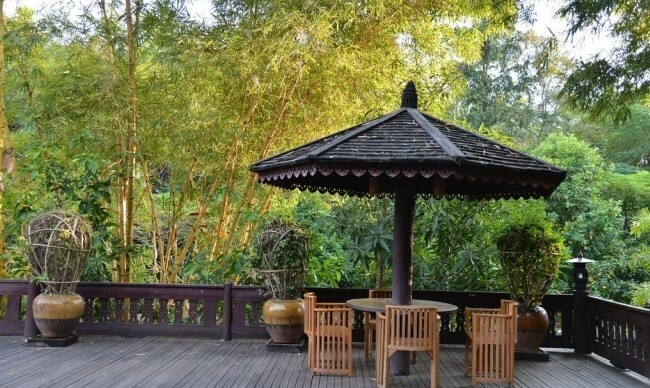 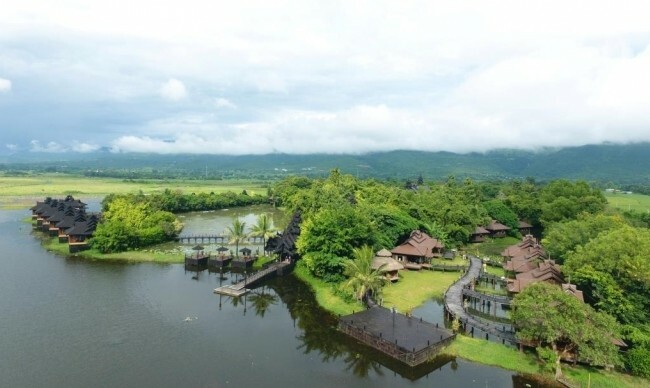 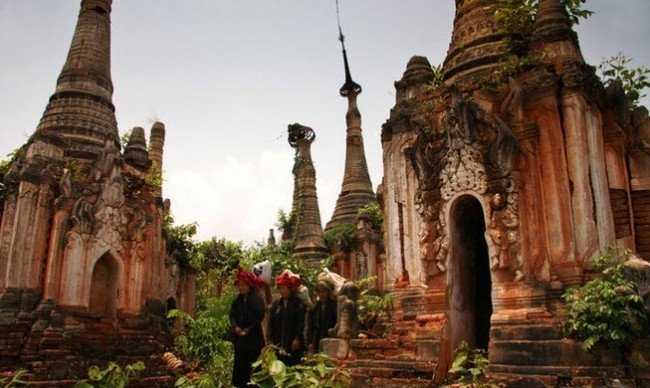 If you wish, it is also possible to climb to the top of pagoda and have splendid views of surrounding landscape. 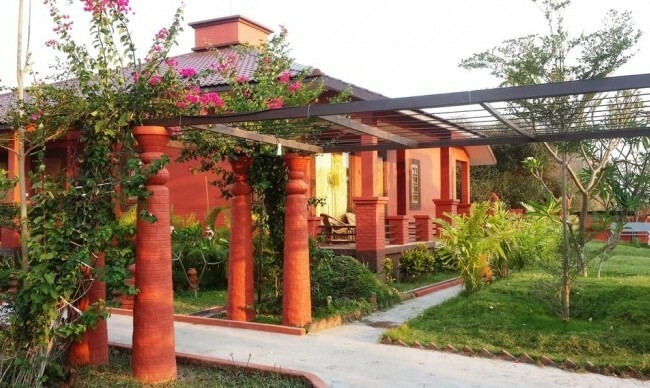 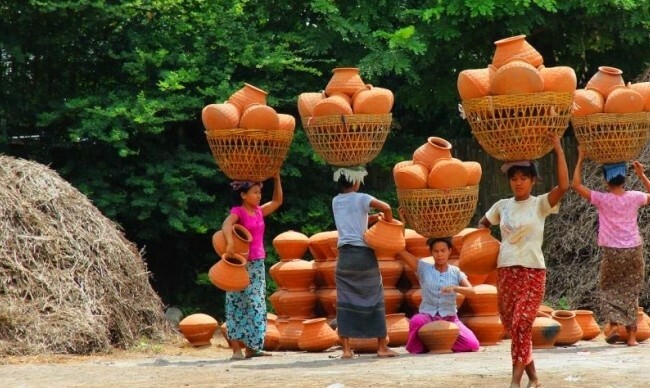 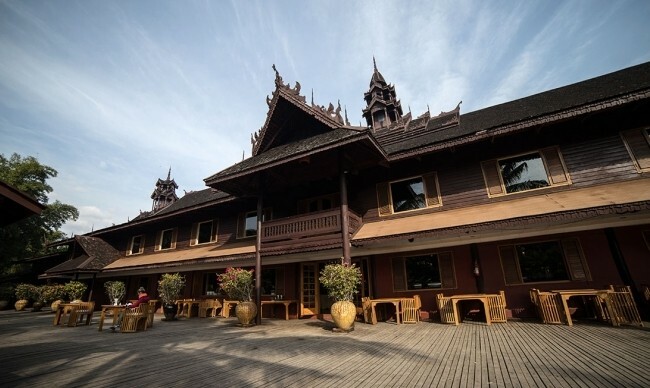 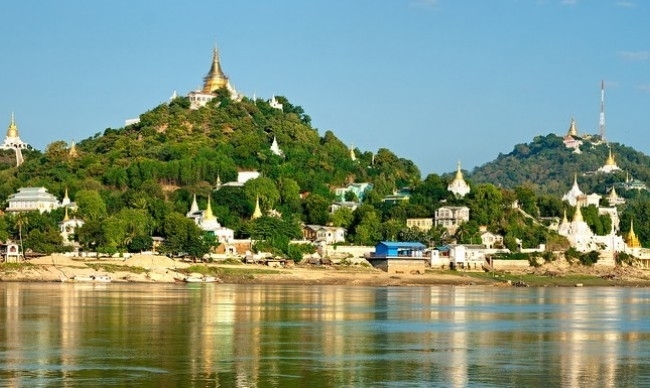 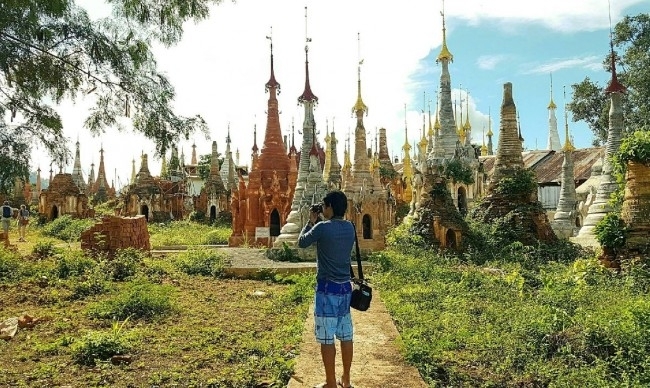 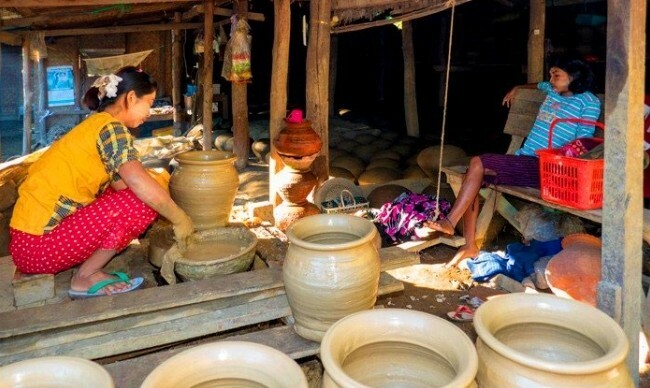 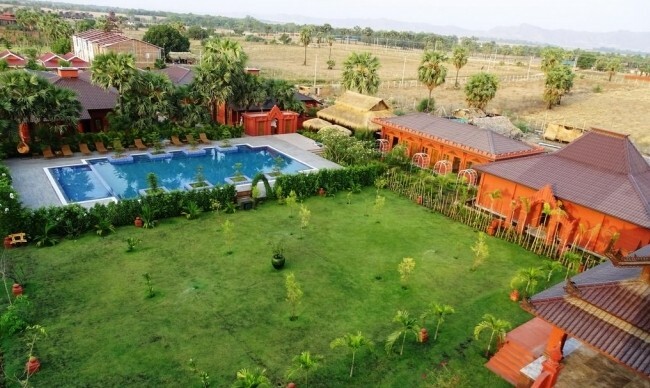 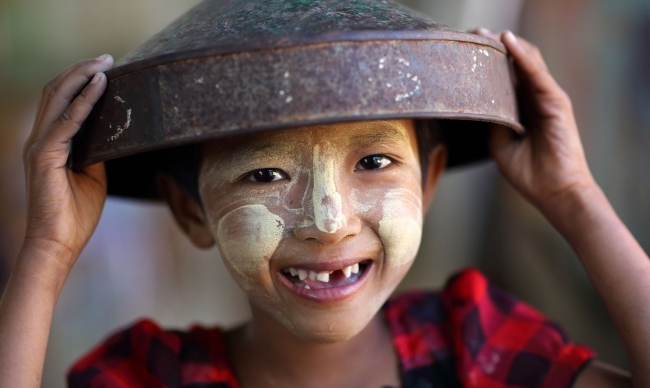 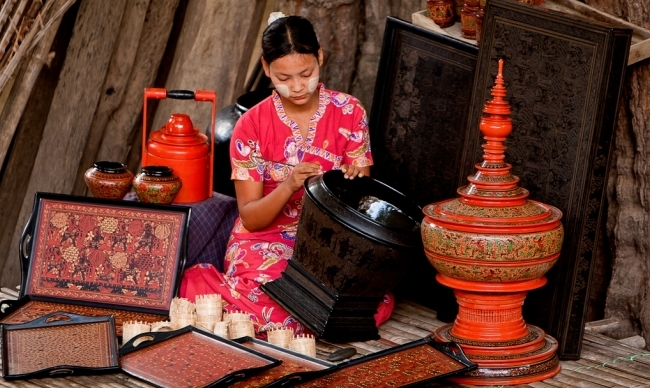 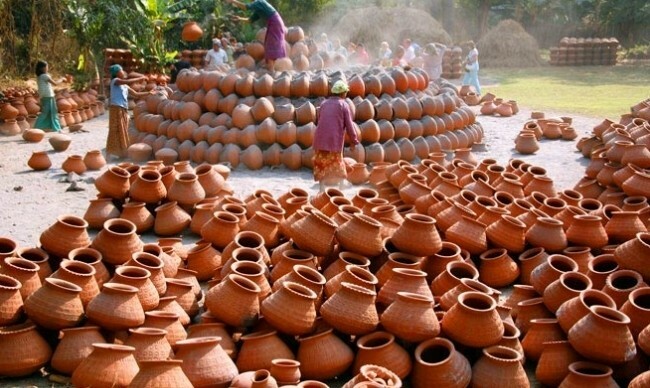 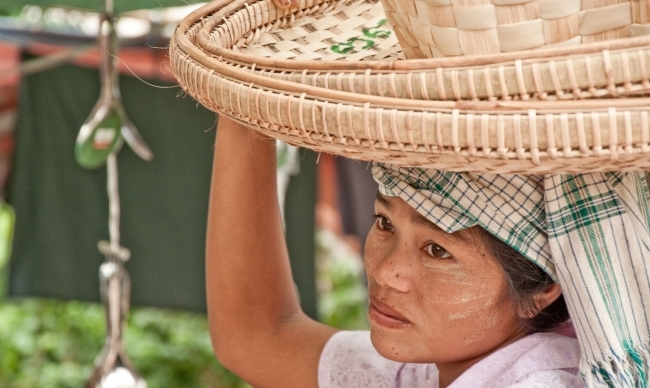 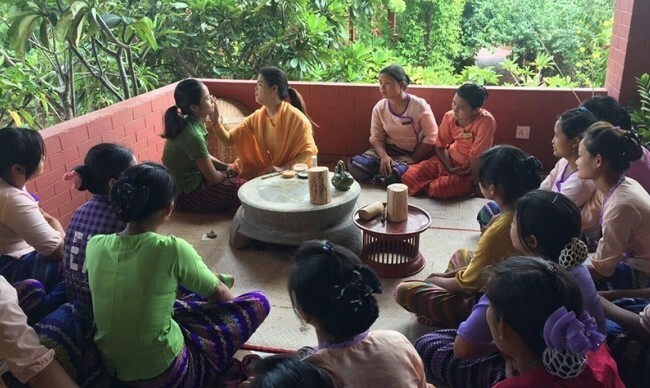 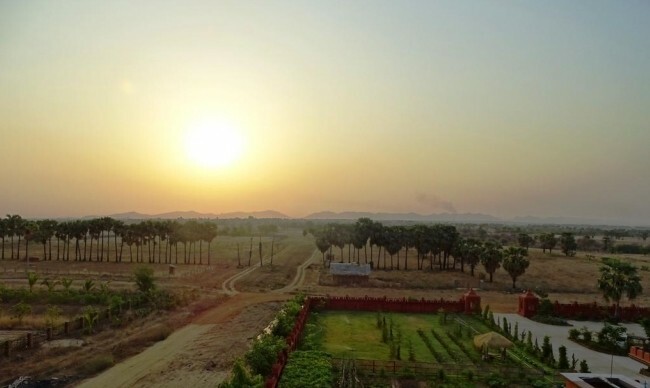 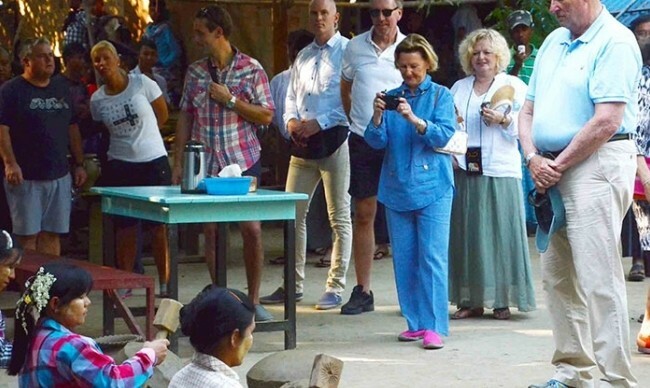 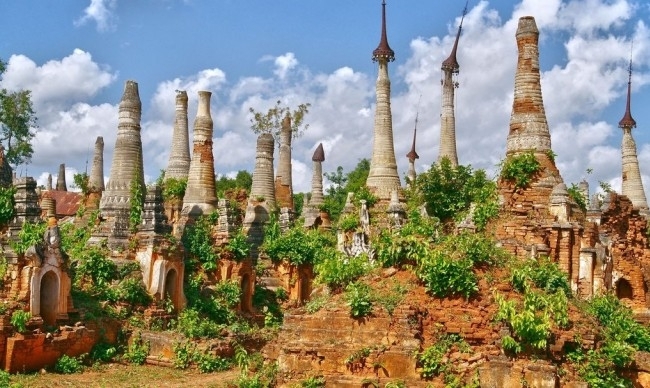 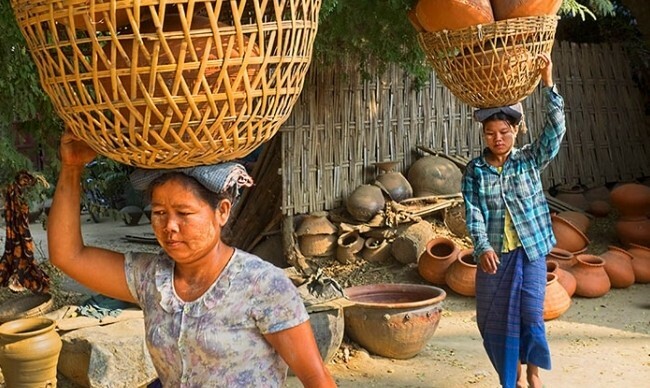 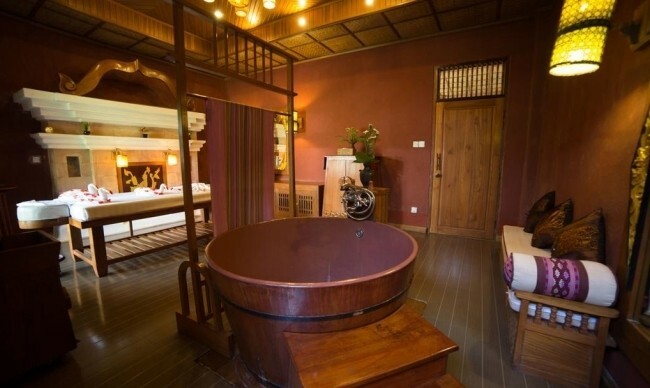 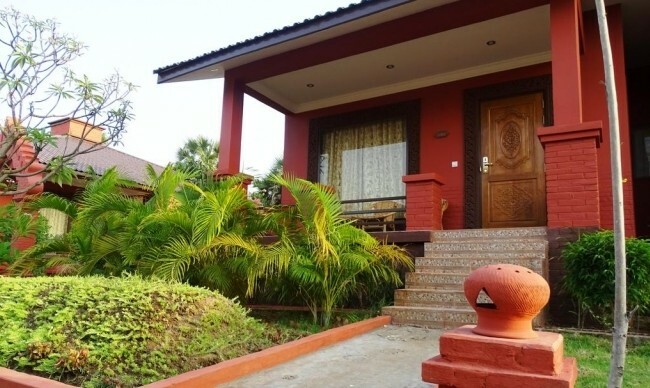 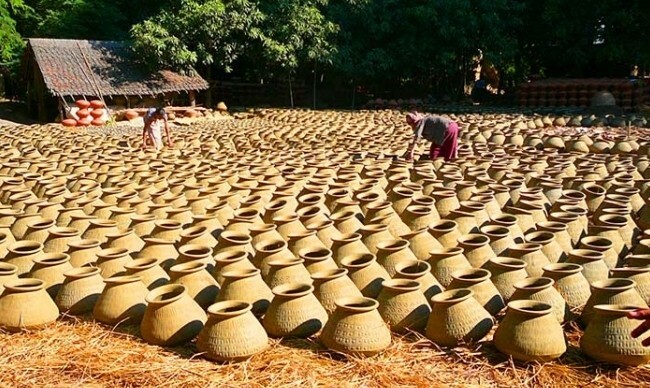 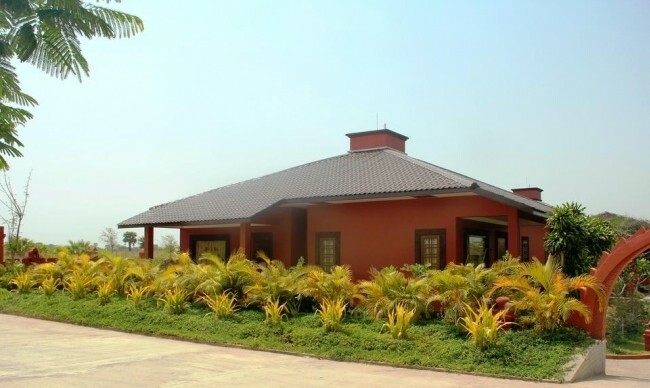 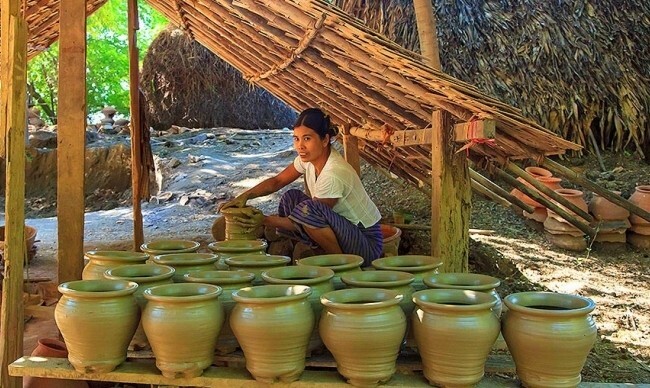 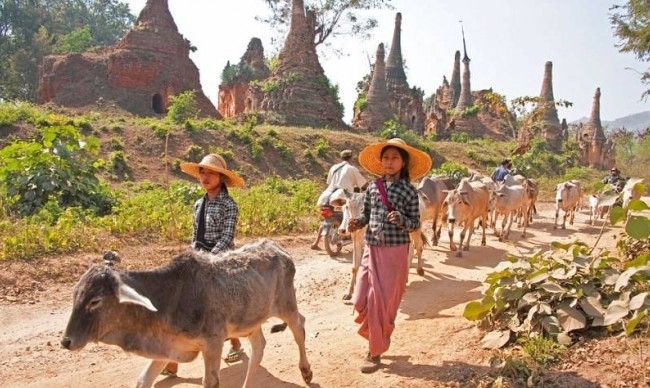 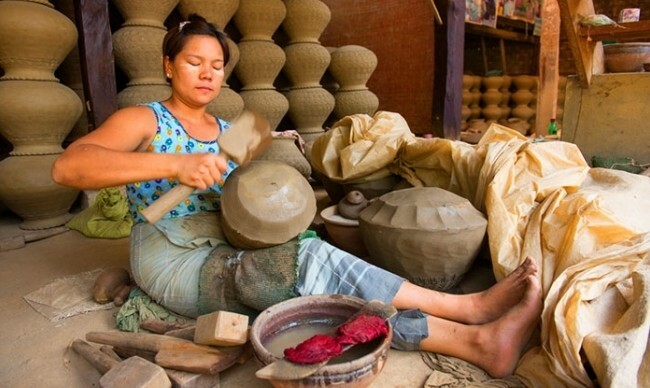 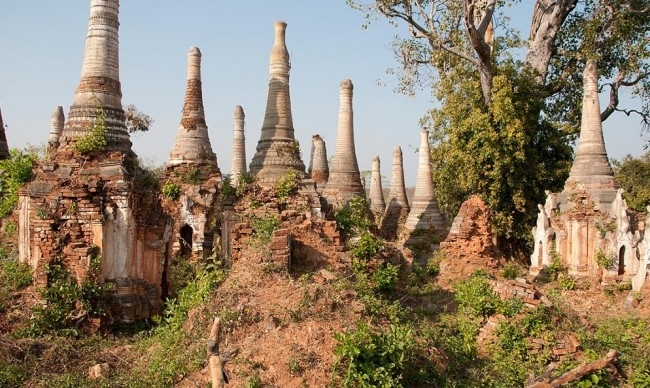 On the water route passing countless landscapes and typical Ayeyarwady villages, one that cannot be miss would say Yandabo village – best known as Burma's qualified pottery-making centre. 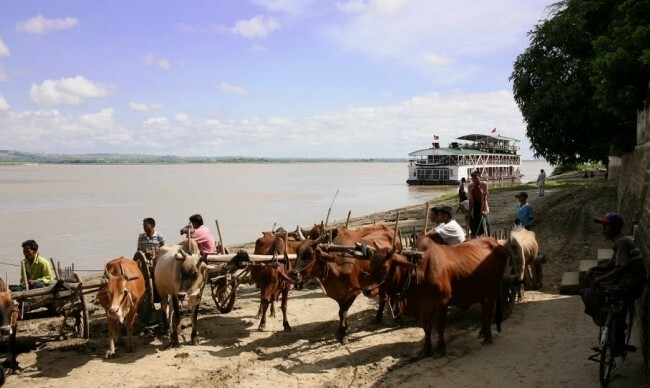 As up to now, the village is hardly accessed by car, only cruise guests have chance to visit this endearing place. 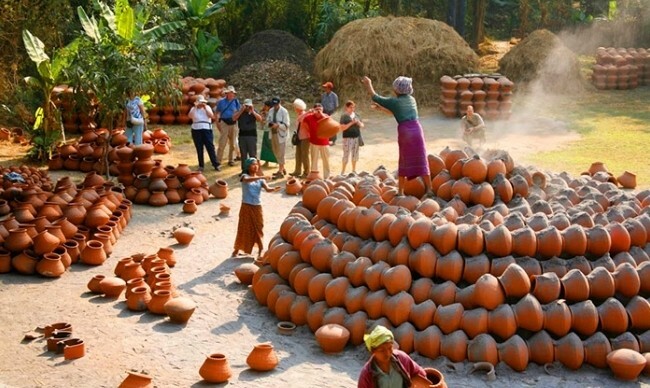 When visiting the village you will be able to see a lot of unglazed pottery made out of the river bank clay. 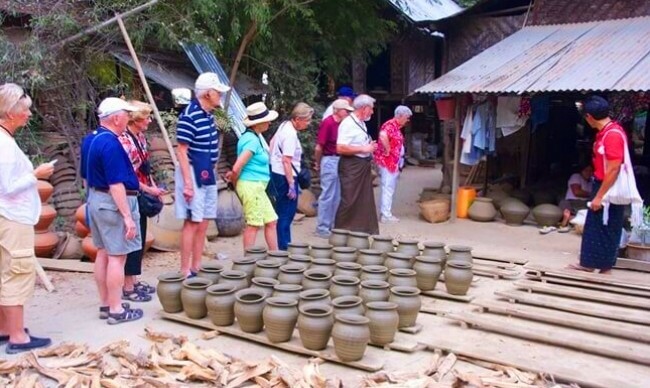 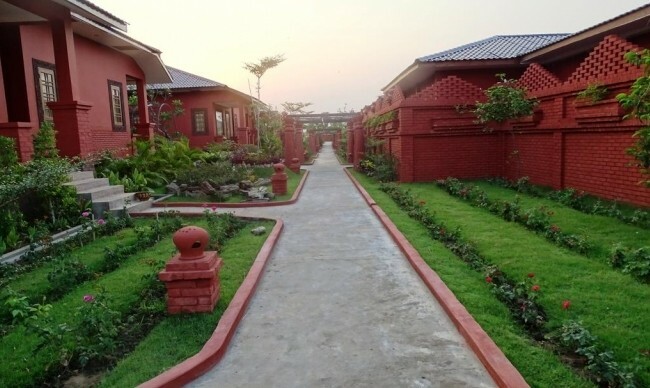 Taking a pleasant and interesting walk on dirty soil roads, you are to come across many cottages and welcoming villagers who are willing to share you their ups and downs in life and how they get on well with pottery making for so long. 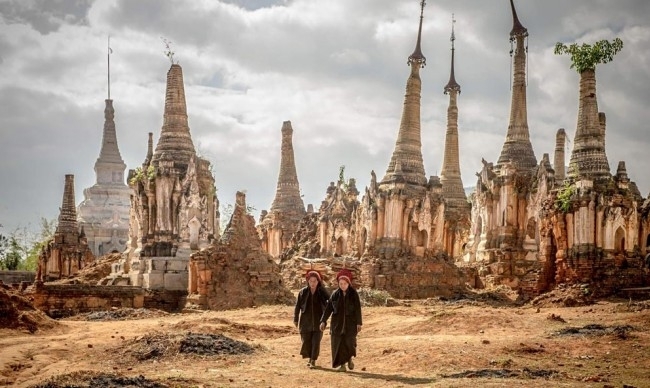 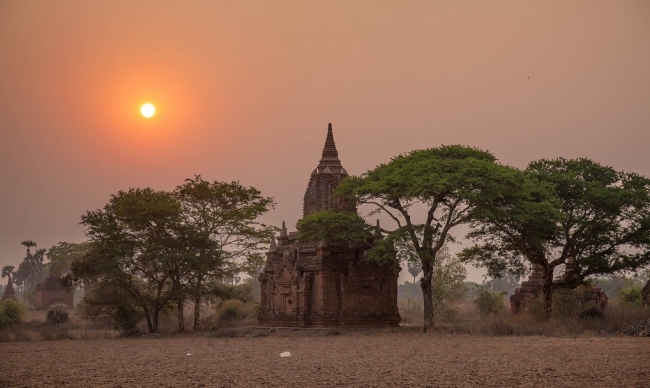 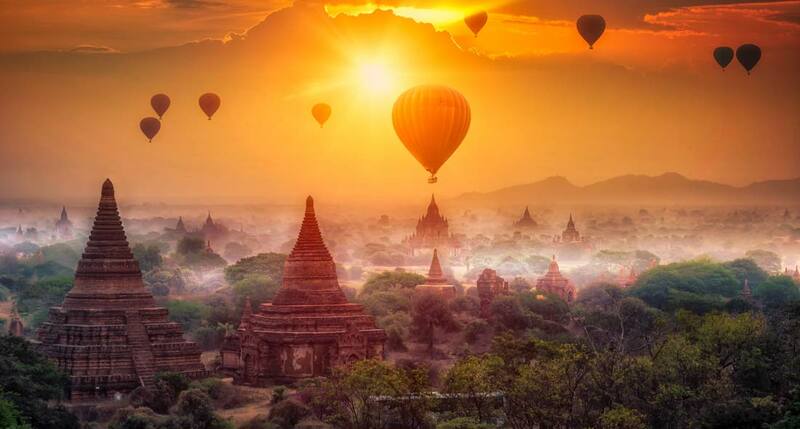 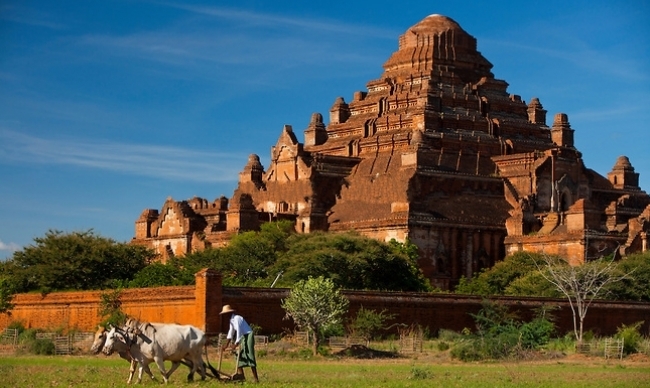 Bagan - among the most significant archaeological South East Asia sites is one of the densest concentrations of temples and pagodas with about 2,000 monuments remain in various states of repair. 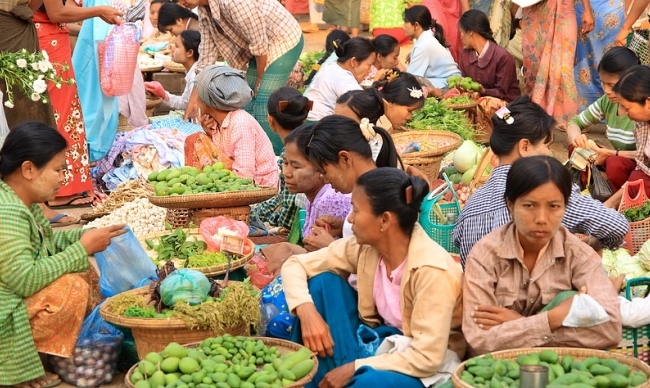 Once arriving in Bagan, grasp a terrific chance to see how local life is going through in Nyaung U market: the atmosphere in a Burmese market, regional products, fresh veggies, fine rice, unique local suncreen, etc. 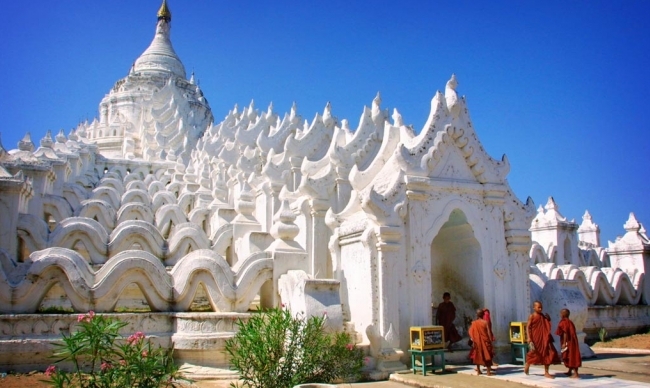 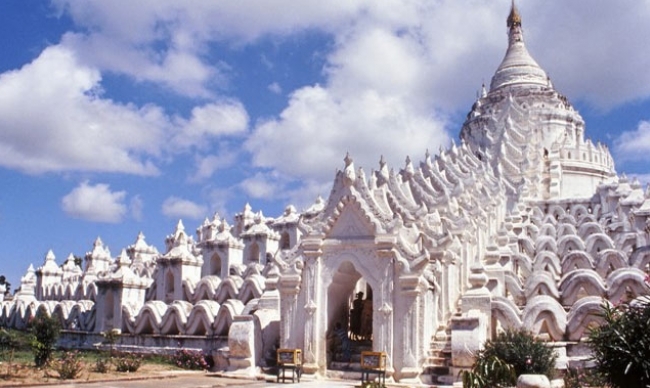 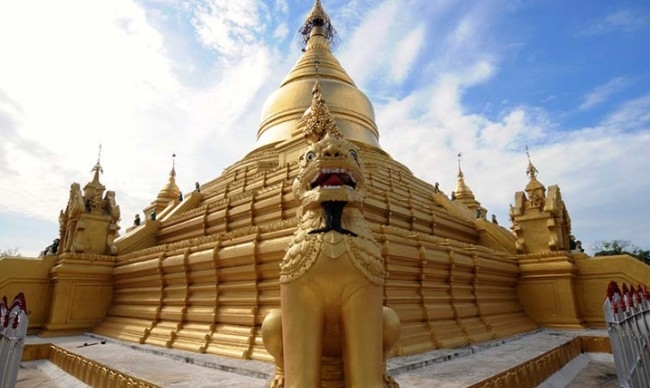 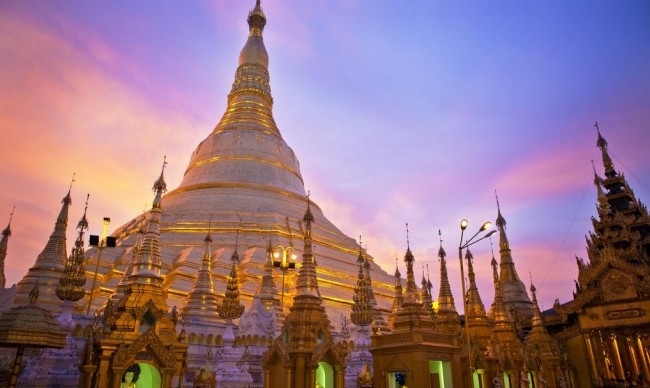 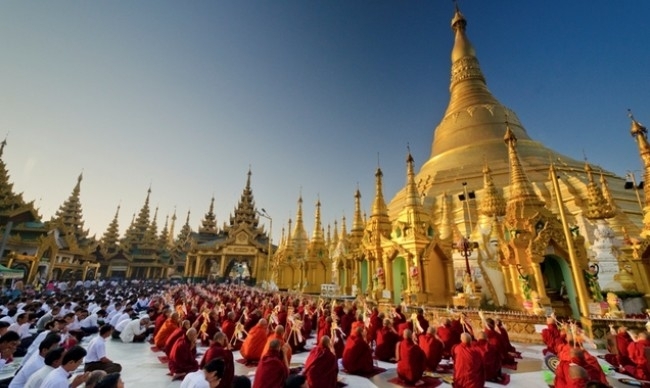 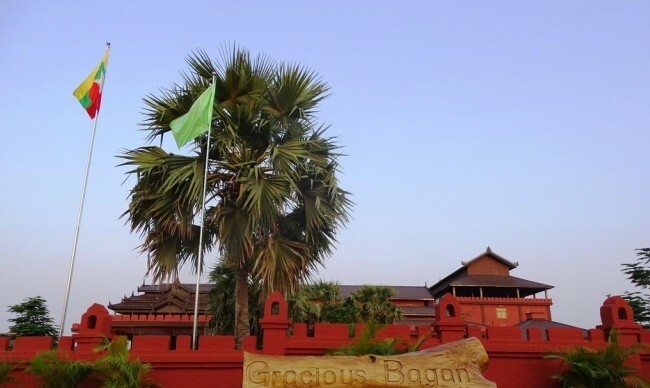 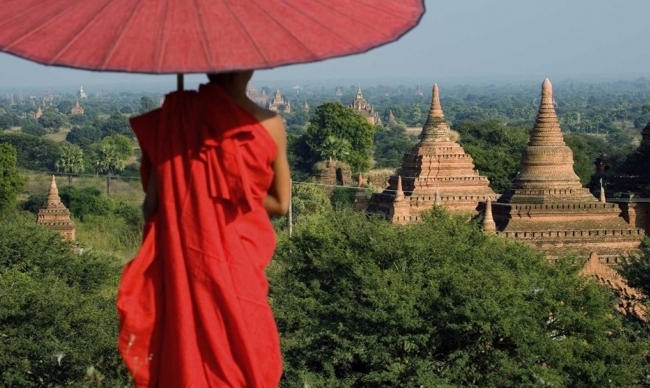 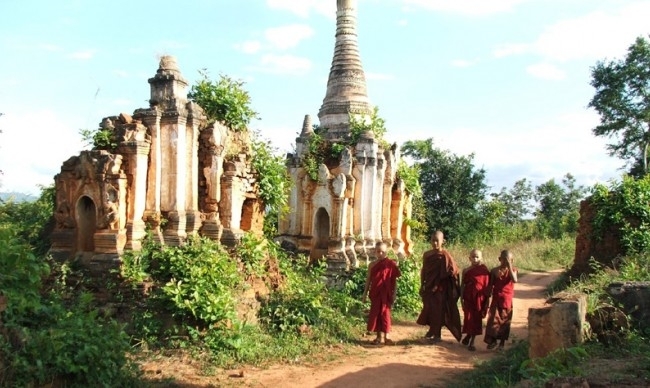 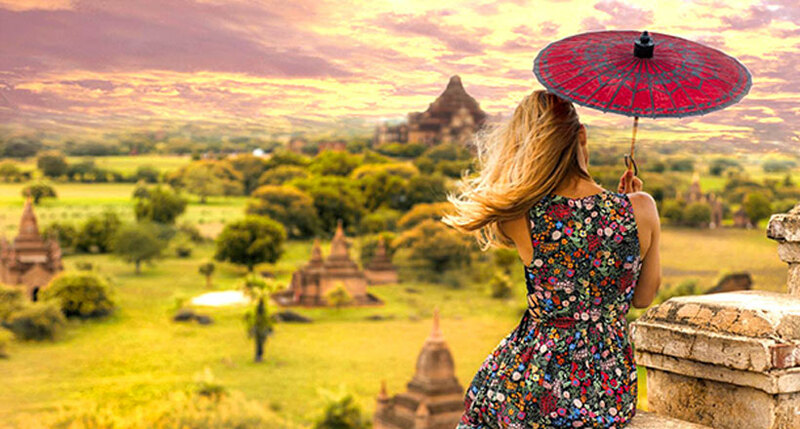 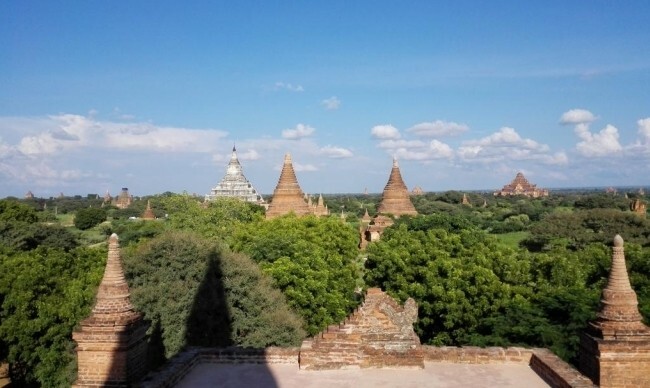 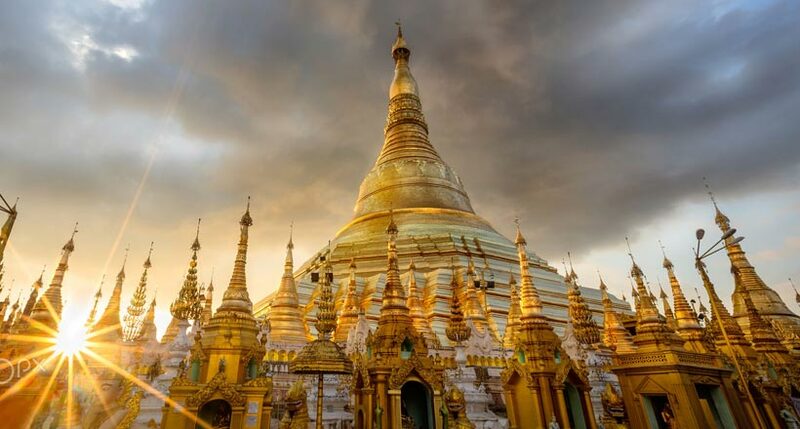 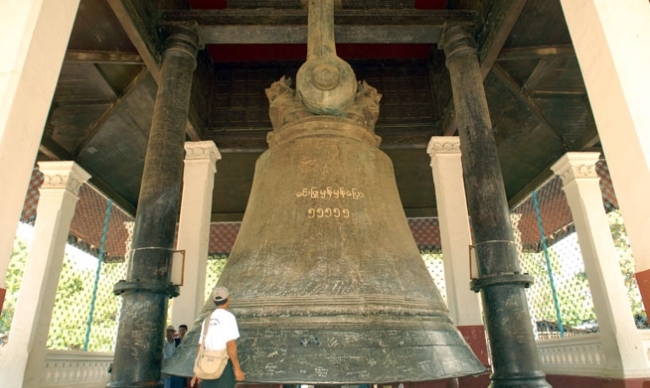 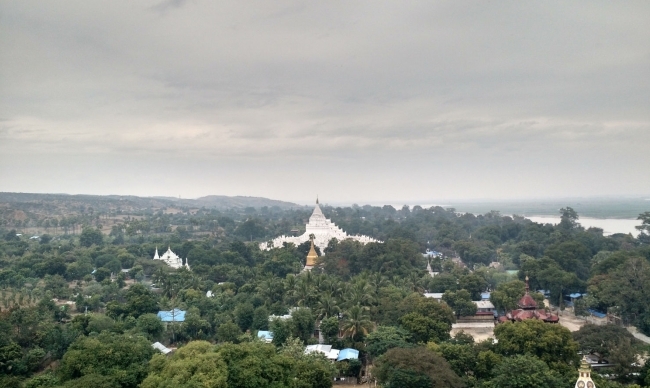 Continue the visit to important Buddhist constructions of Bagan: Shwezigon pagoda - the huge gold plated pagoda which is believed to enshrine a bone and tooth of Gautama Buddha, Ananda temple - a gorgeous white temple with coppery golden top - the finest and most beautiful temple in Bagan. 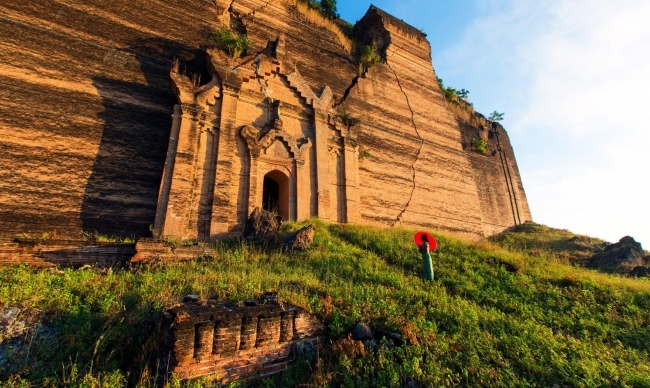 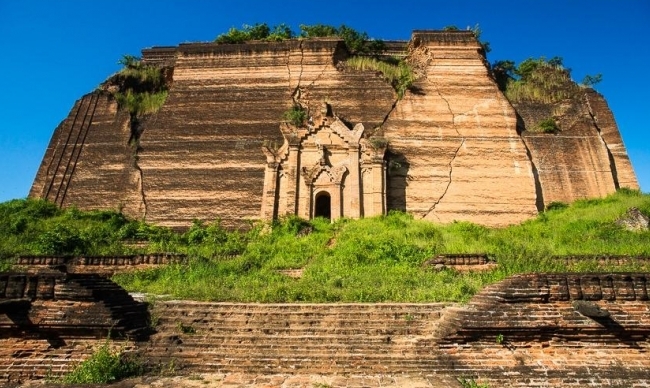 Moreover, the further exploration in the legendary Gubyaukgyi, Htilominlo and Sulamani Temples will truly be a step back in time between historical architecture, old murals, plaster carvings and glazed sandstone decorations. 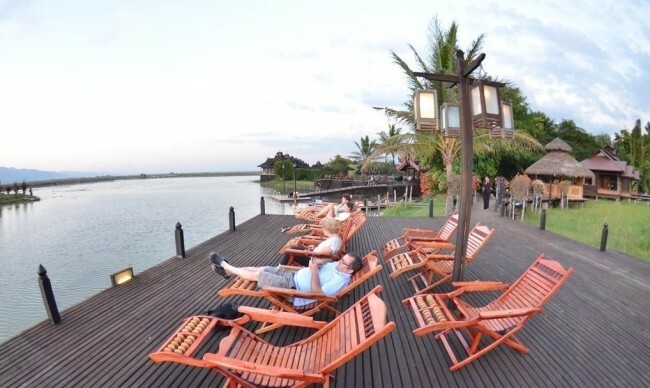 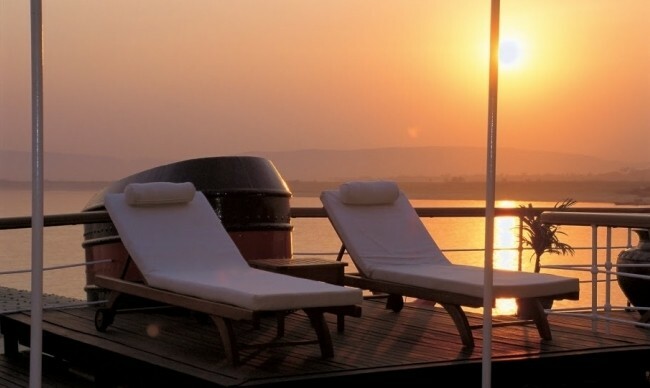 After a long day, soothe your soul in peace and enjoy the sunset along the Ayarwaddy River. 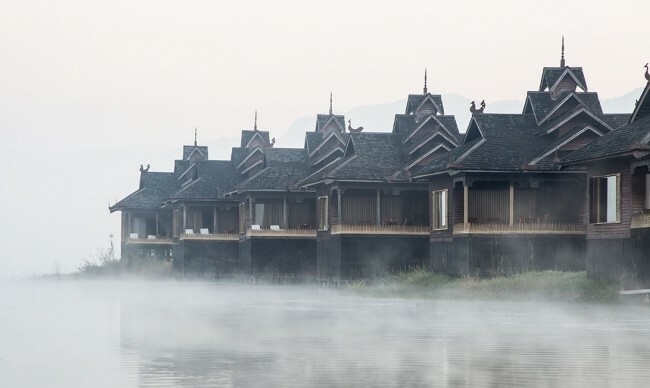 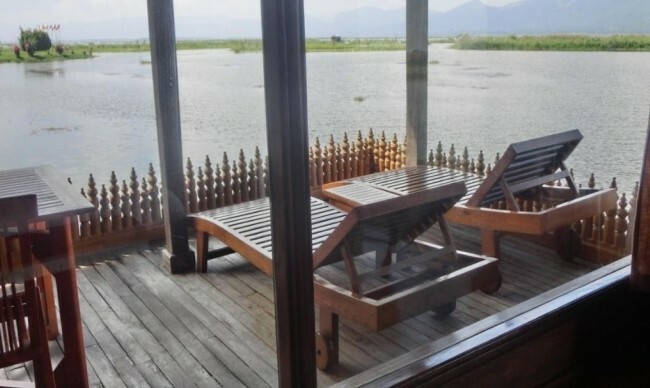 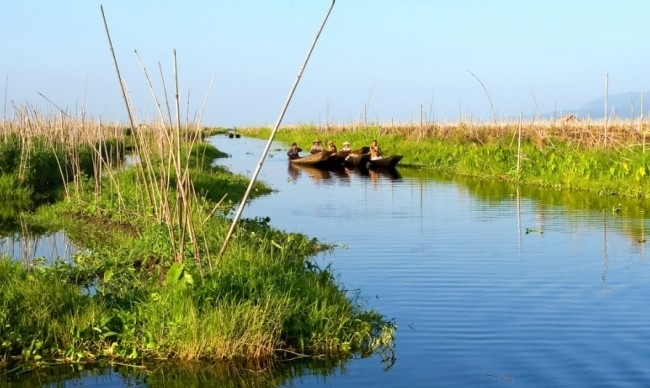 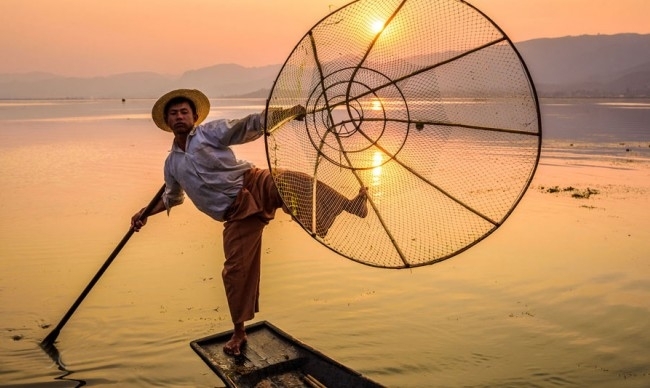 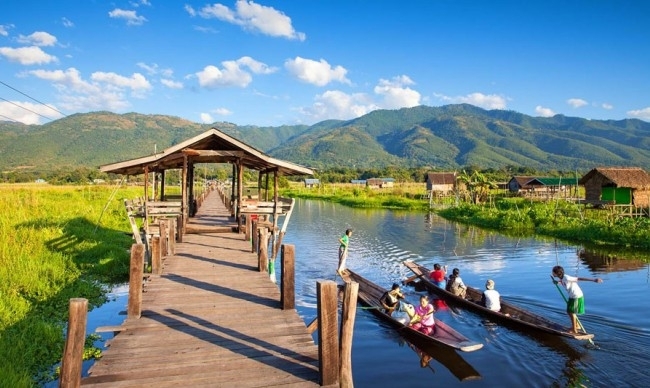 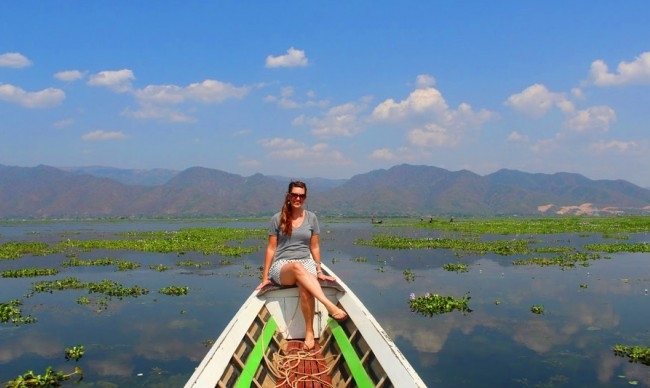 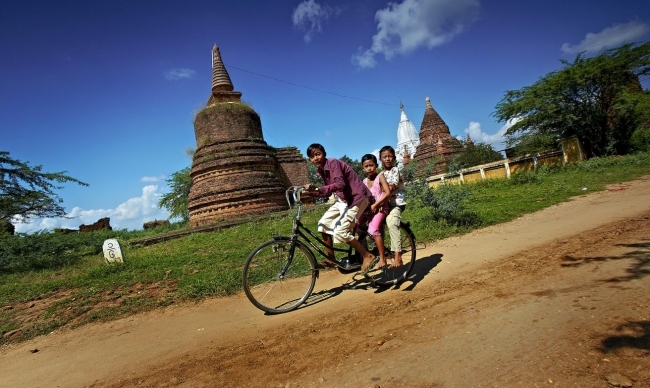 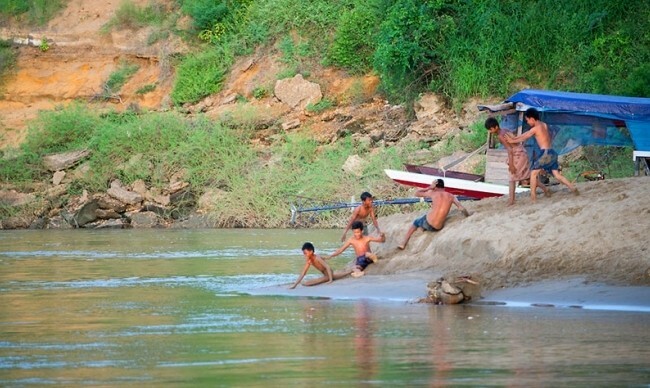 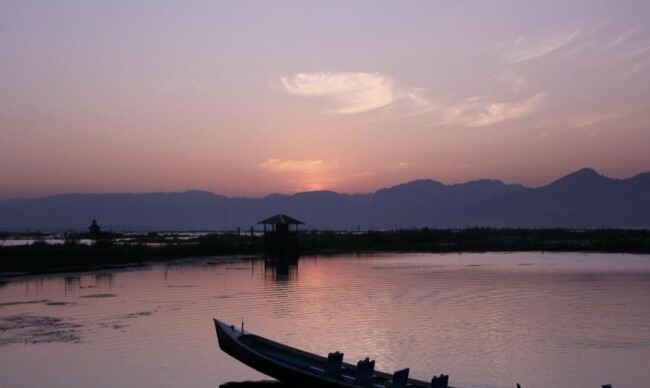 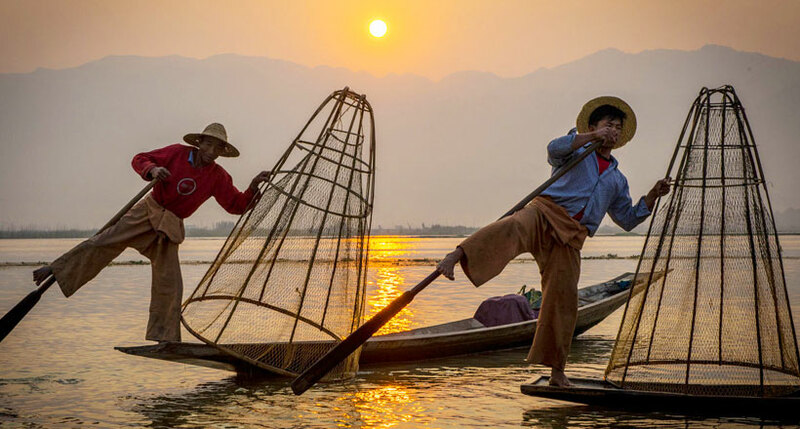 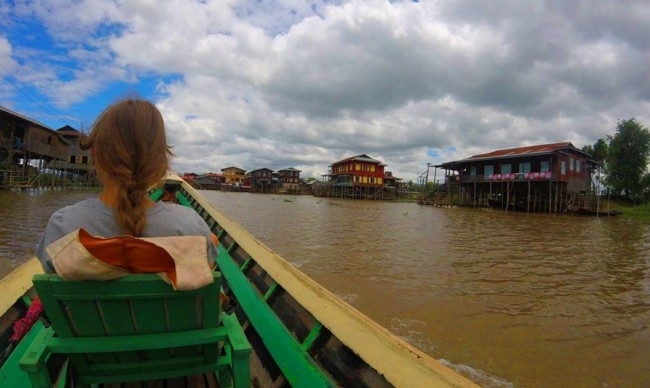 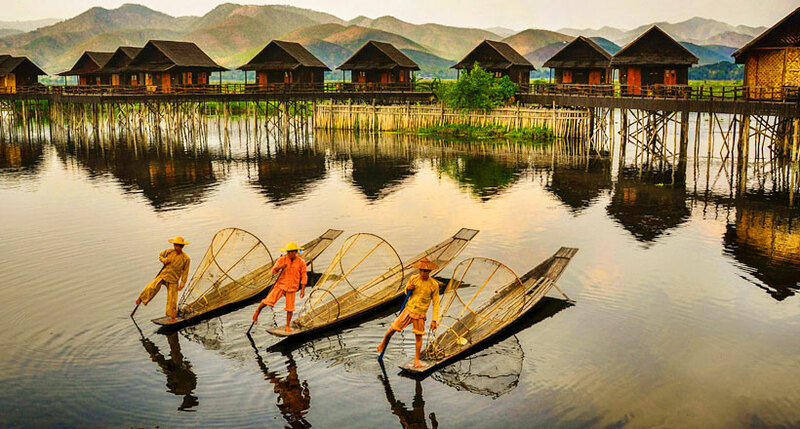 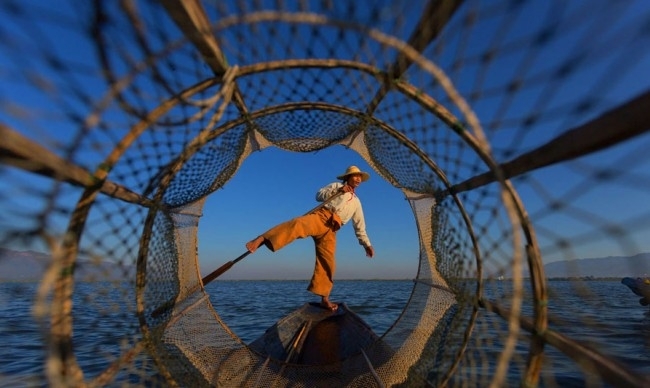 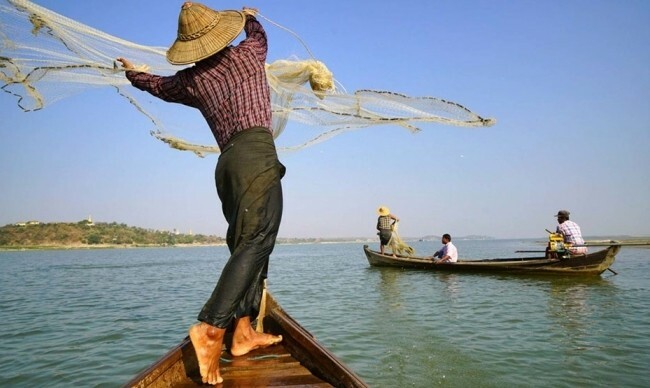 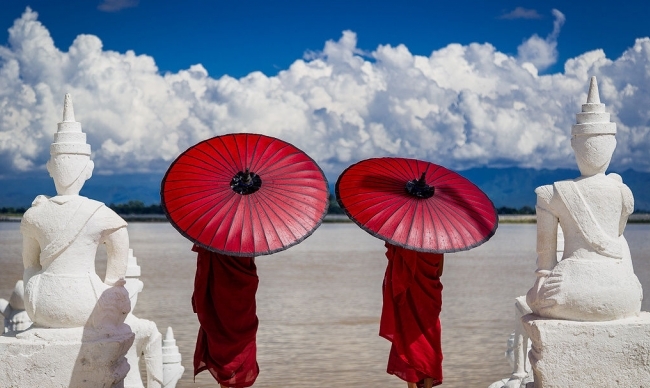 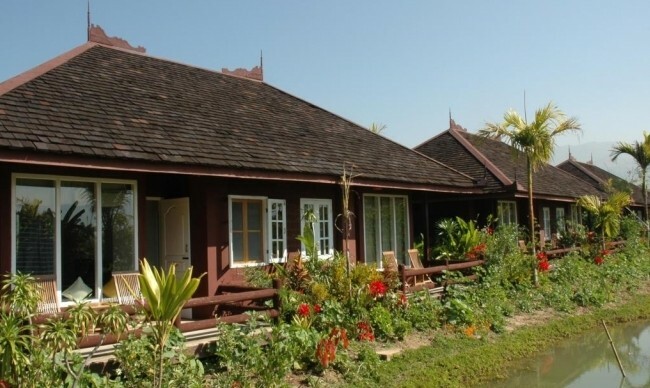 Upward the western of Shan state is the pictureque Inle Lake – the Venice of Myanmar. 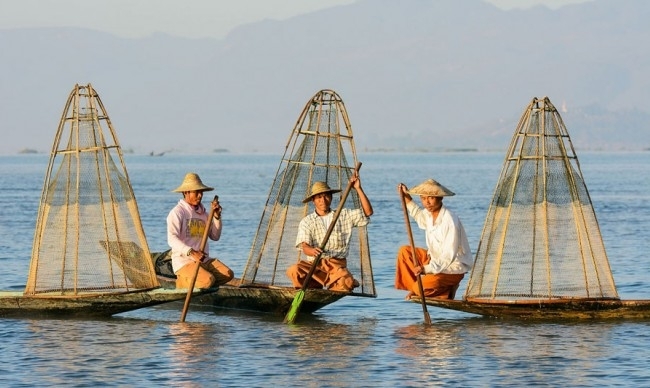 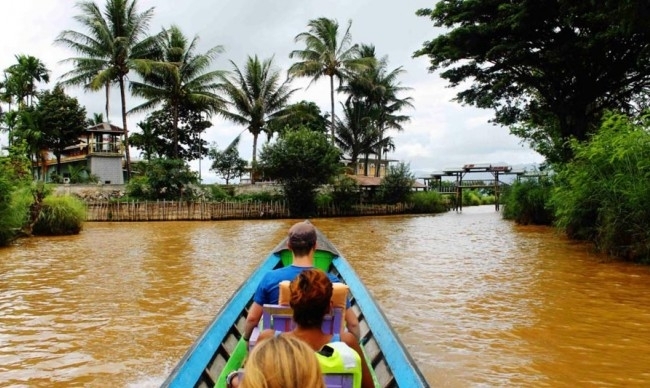 Stepping off Nyaung Shwe marina, you will take a motorized boat to navigate through stilt villages, floating garderns and meet locals who spend their entire lives on the water. 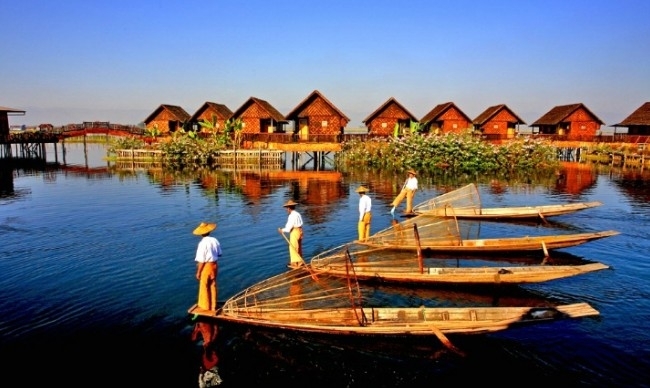 Passing Ywa Ma village and Kay Lar Village where Intha people built their unique houses with long straight wooden poles stretching into the lake bed, it is your tranquil time in relaxed atmostphere of thelocally significant Phaung Daw Oo Pagoda and get to unfold the interesting story of the five Buddhas inside. 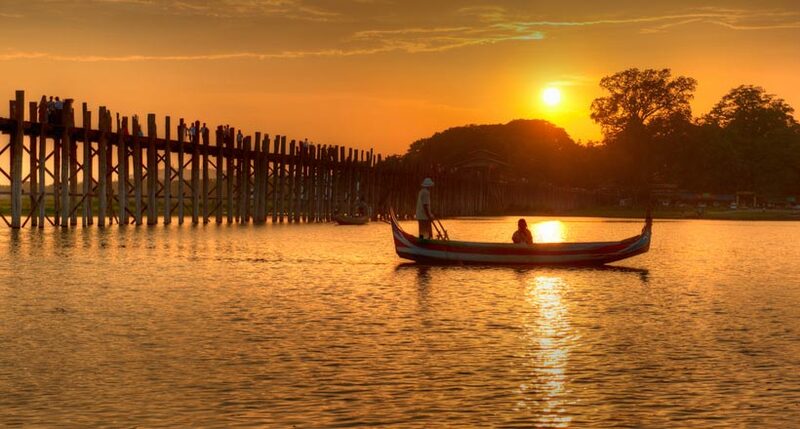 As the dawn is coming and the warm light turns the still surface of the lake a golden colour, just pause for a while and cherish true value of unforgetable moment. 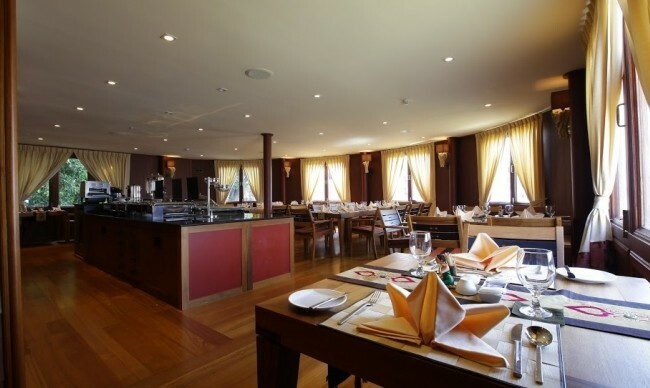 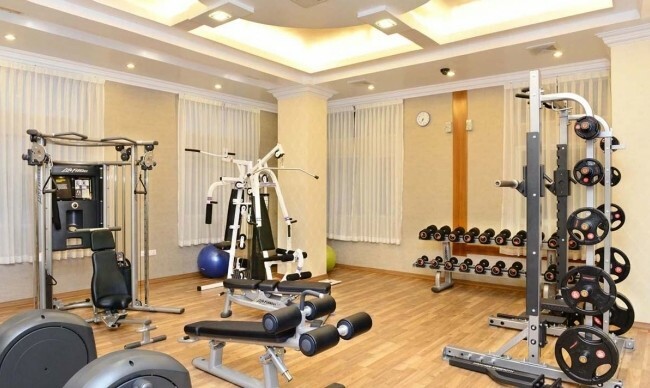 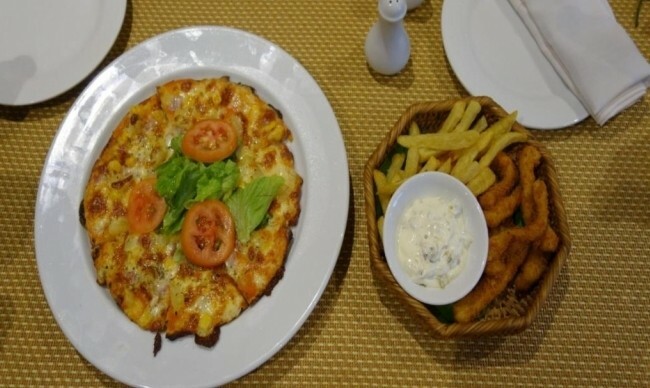 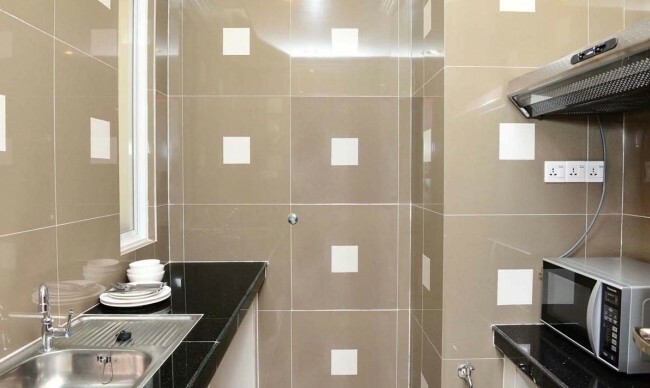 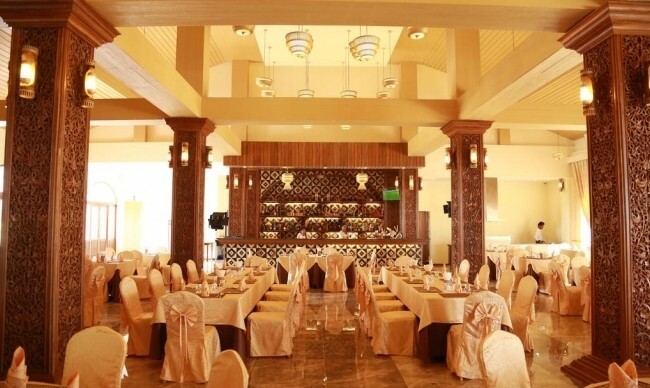 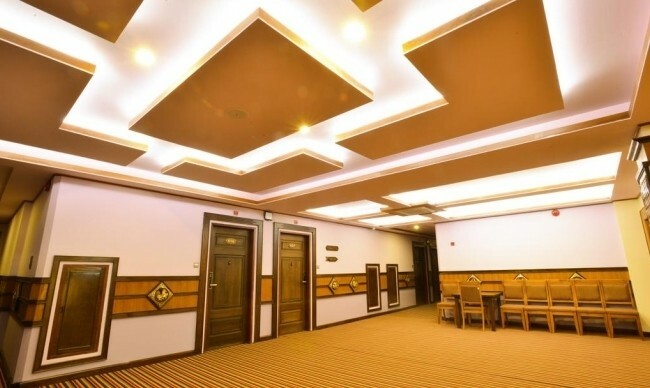 We will send you the details & best offers quickly! 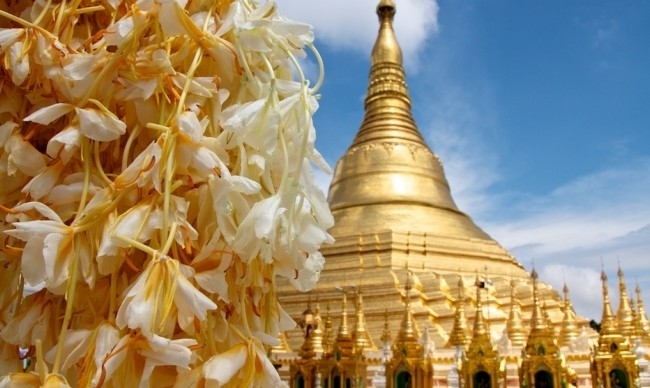 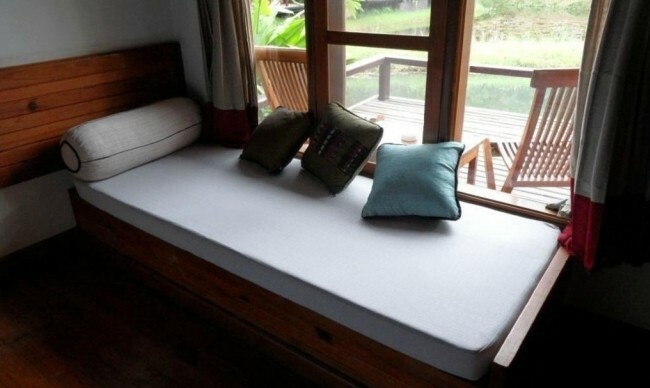 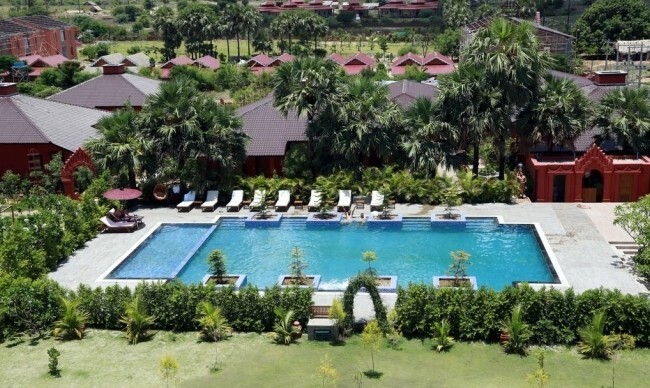 All Contents of this website are © 2010 - 2018 Myanmar Holidays™ team - a part of HTG - Happy Travel Group.